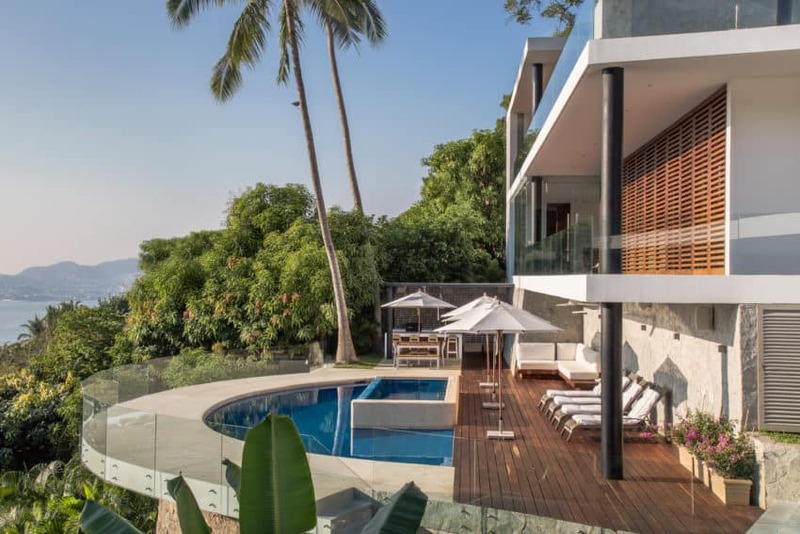 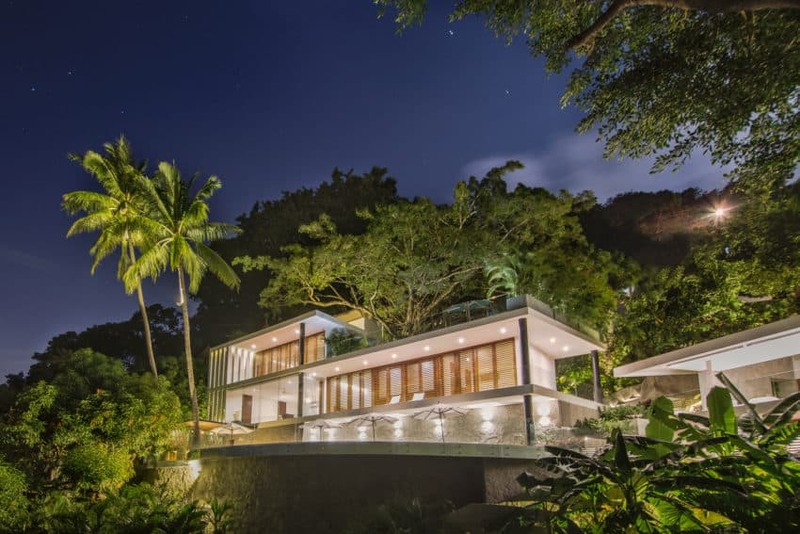 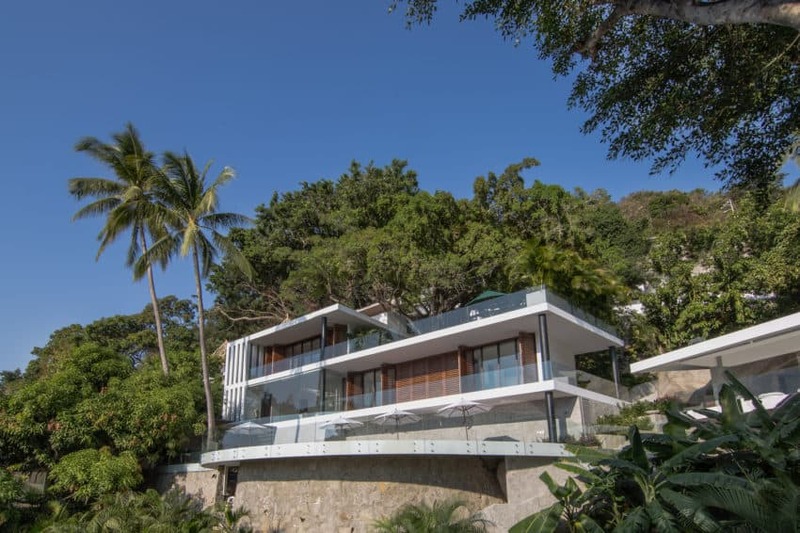 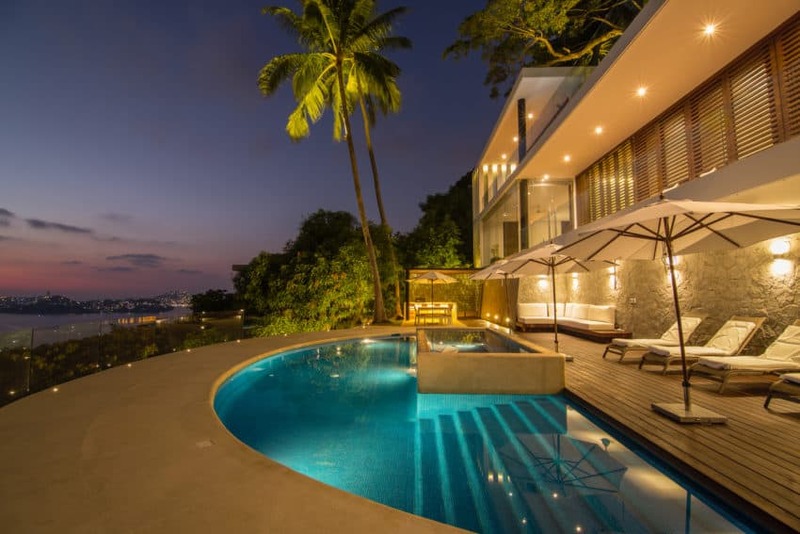 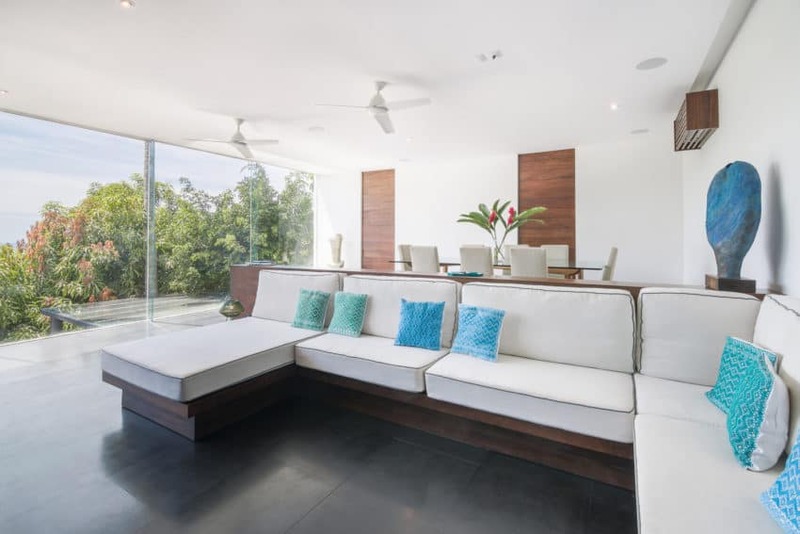 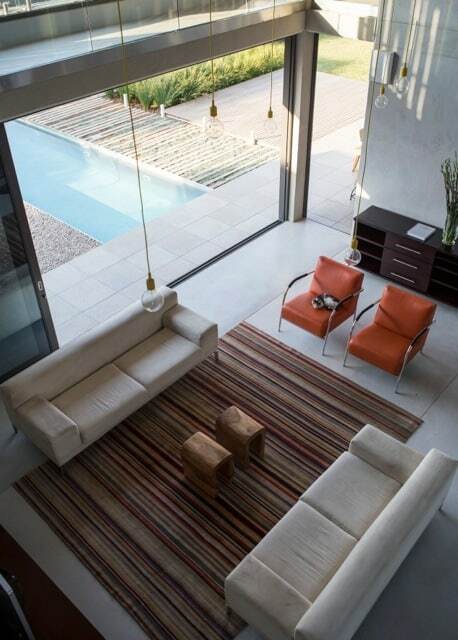 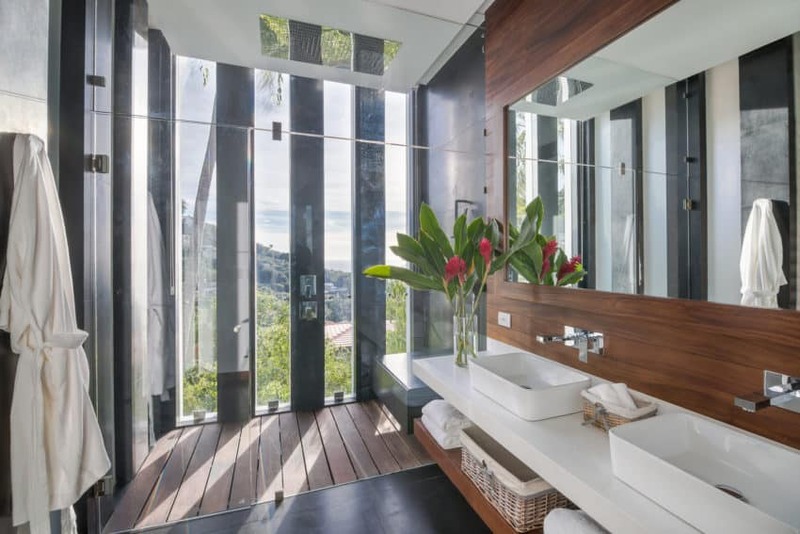 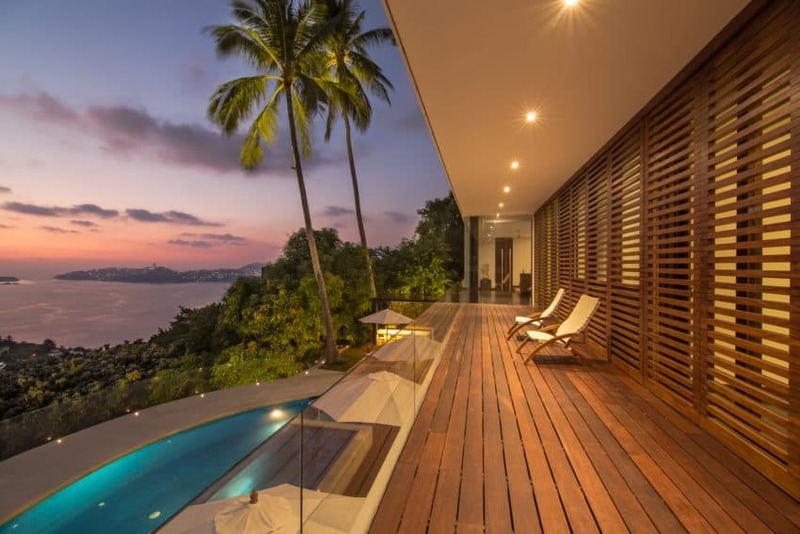 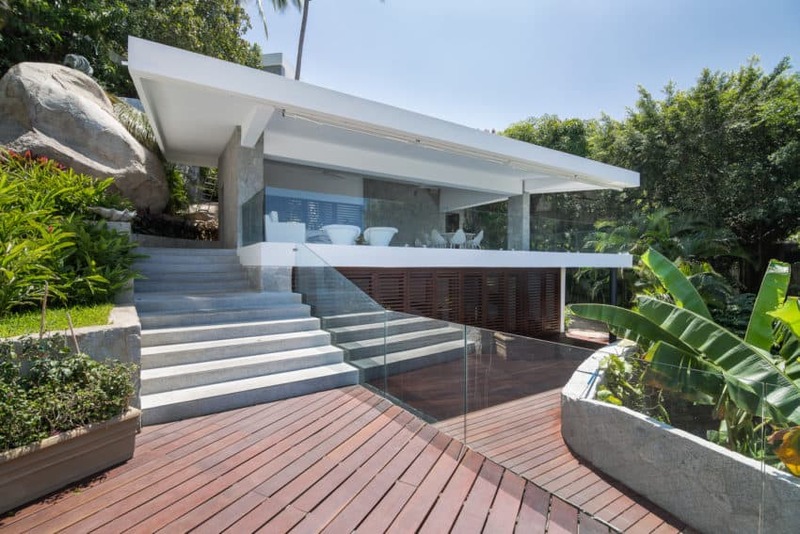 This spectacular home is located in an exclusive area overlooking the bay of Acapulco, Mexico. 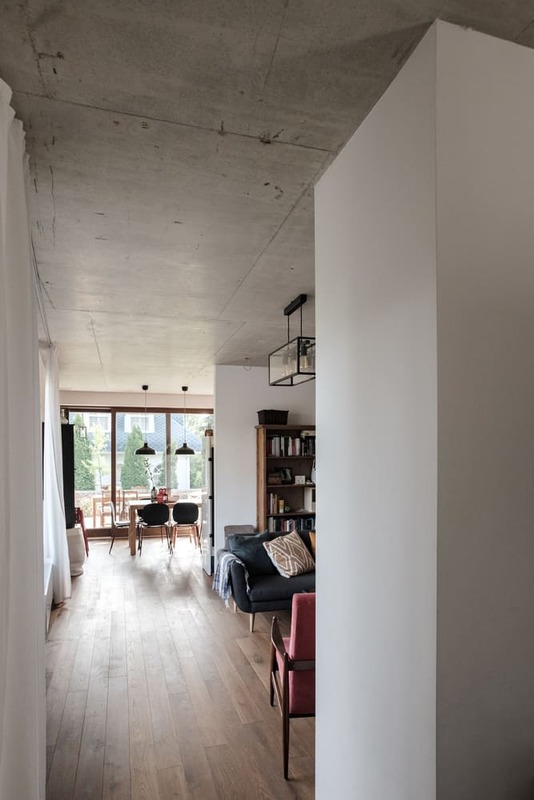 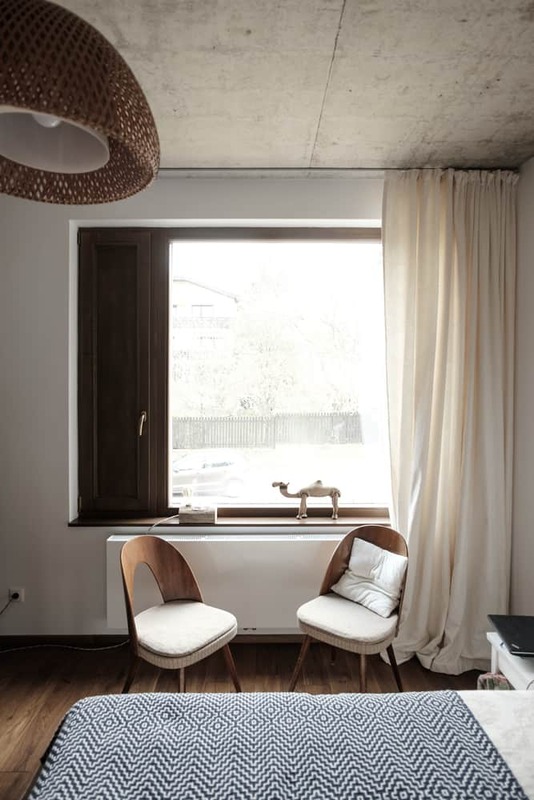 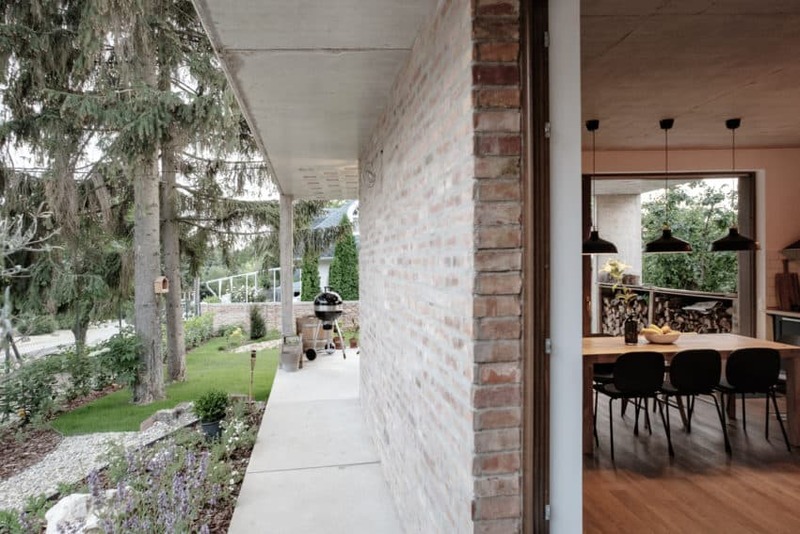 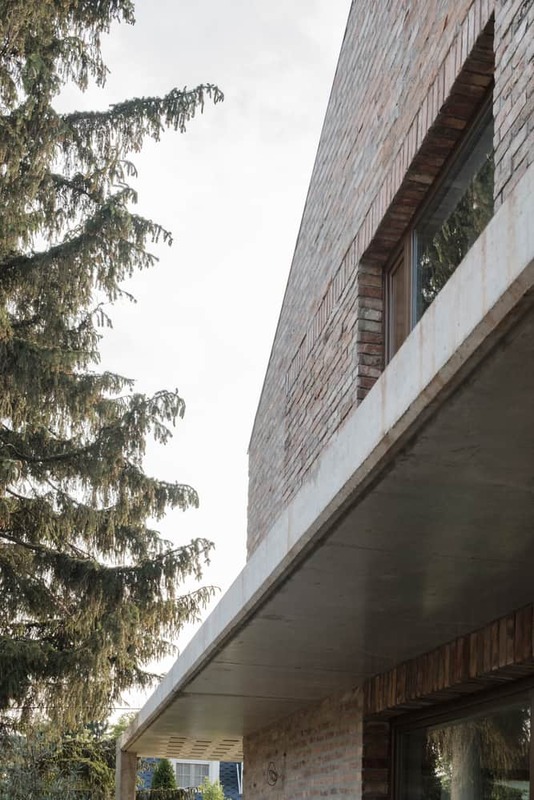 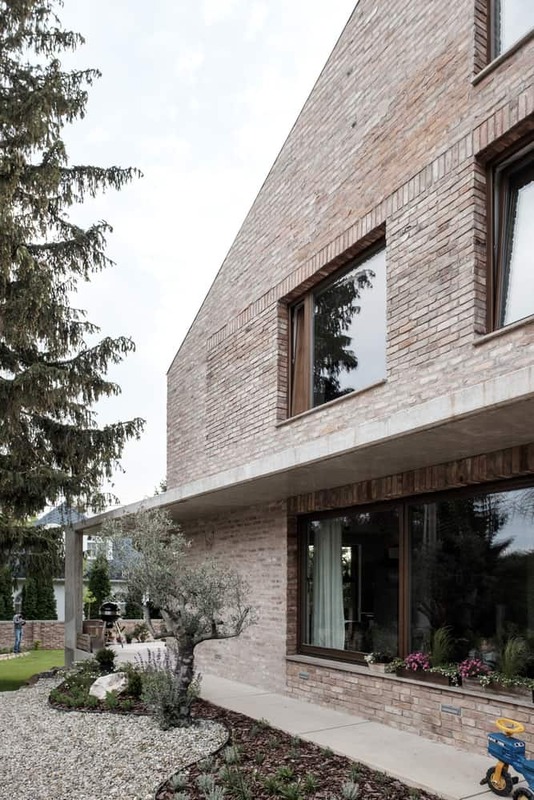 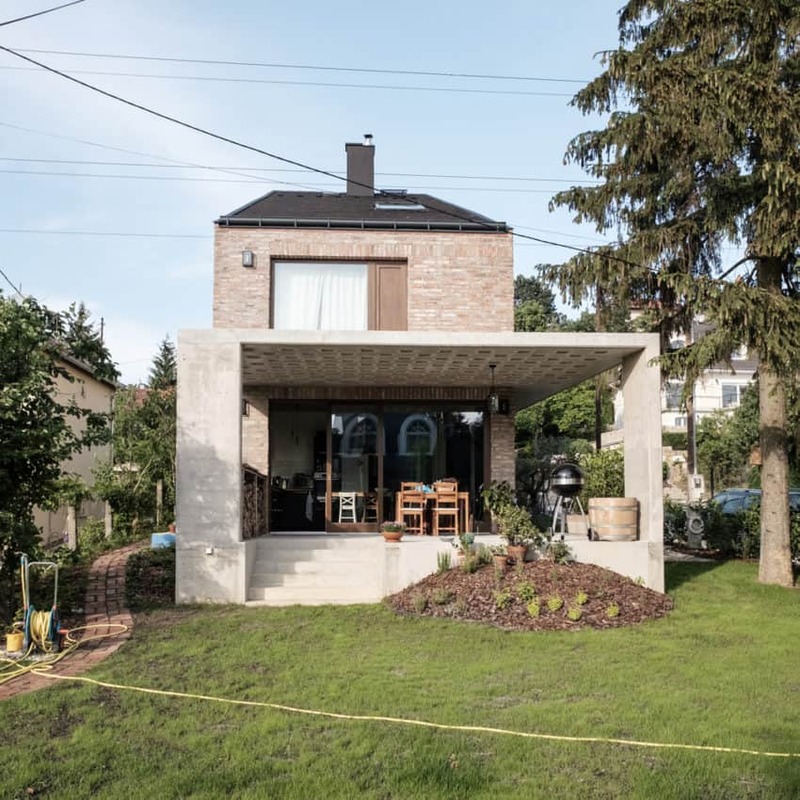 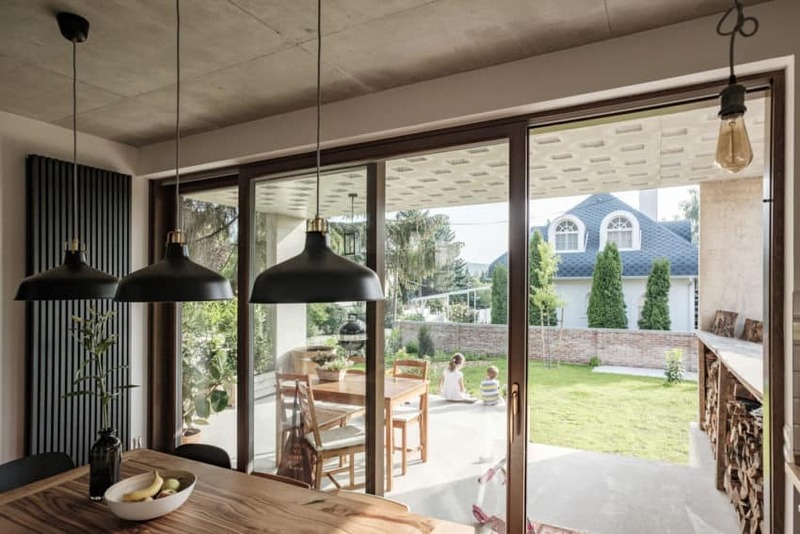 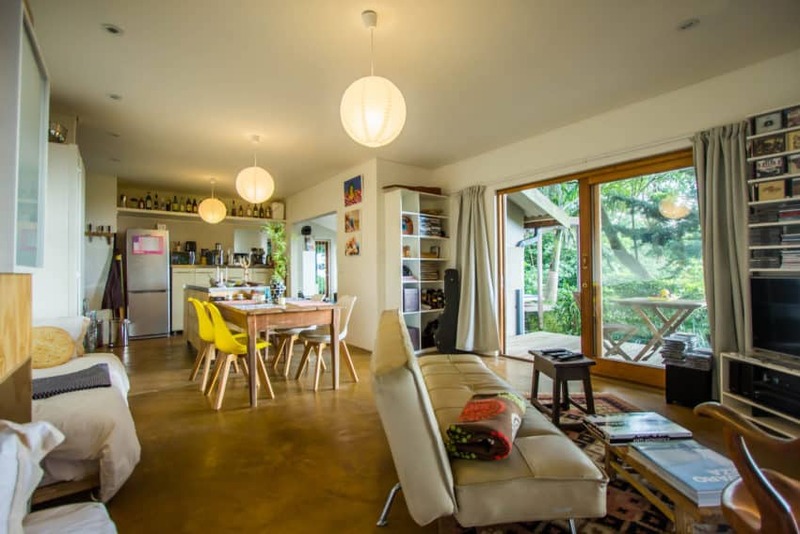 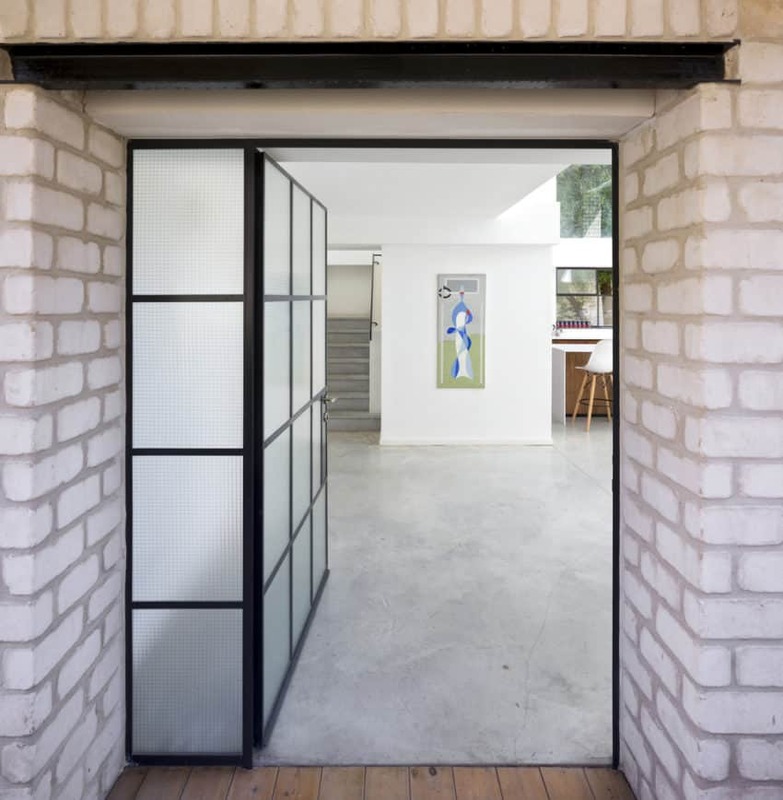 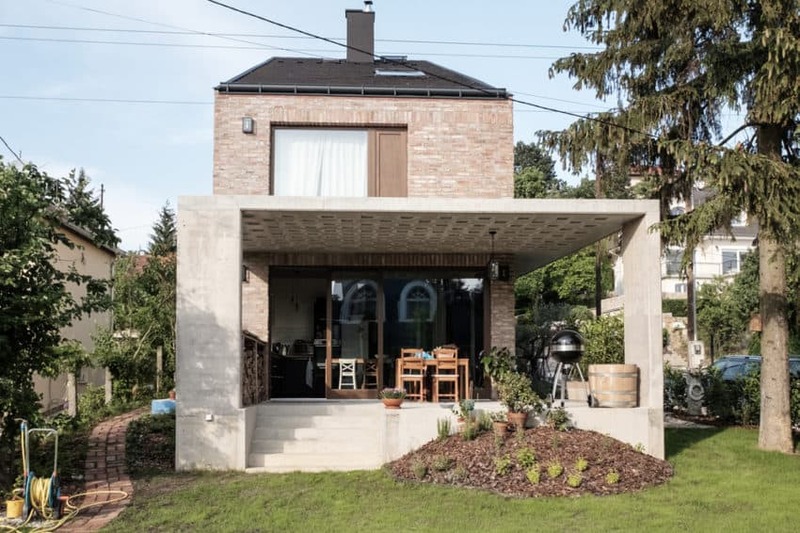 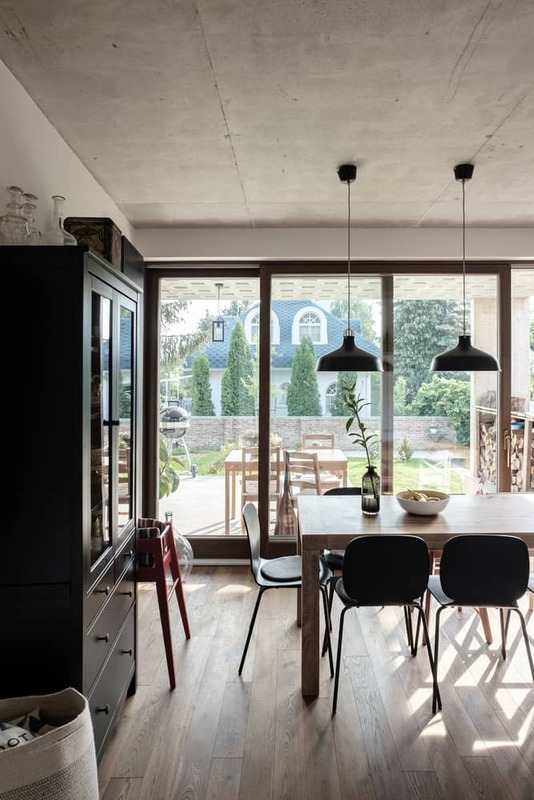 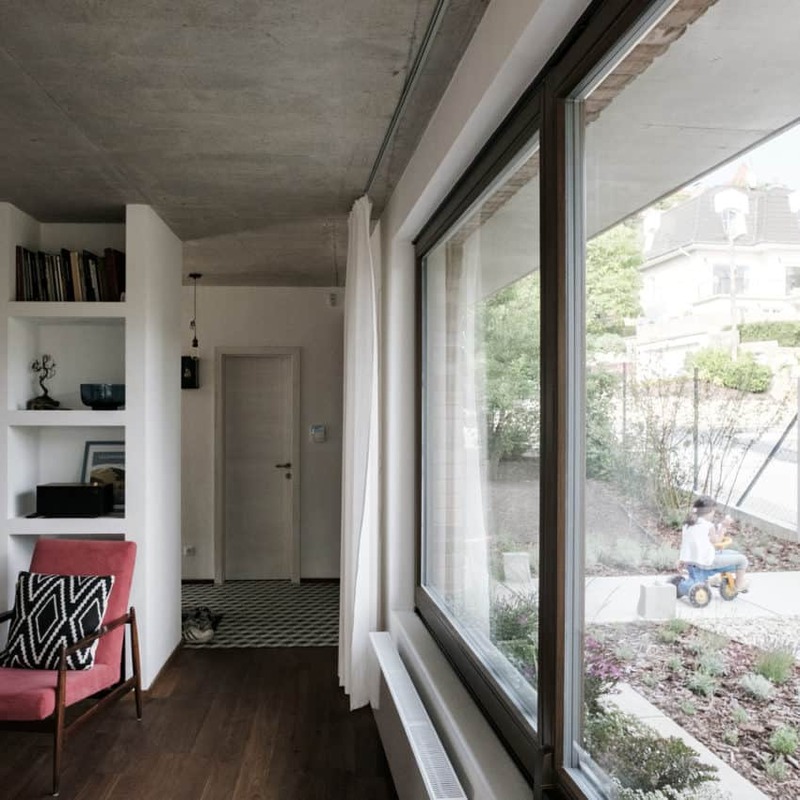 It consists of a renovation and extension, done in 2016, of a house with an area of 1050 square meters, built in the 1960s. 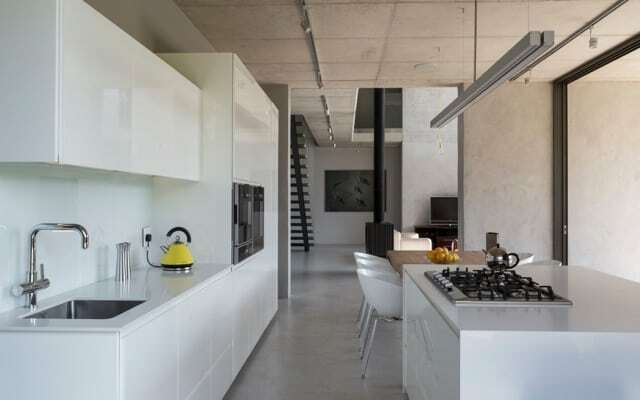 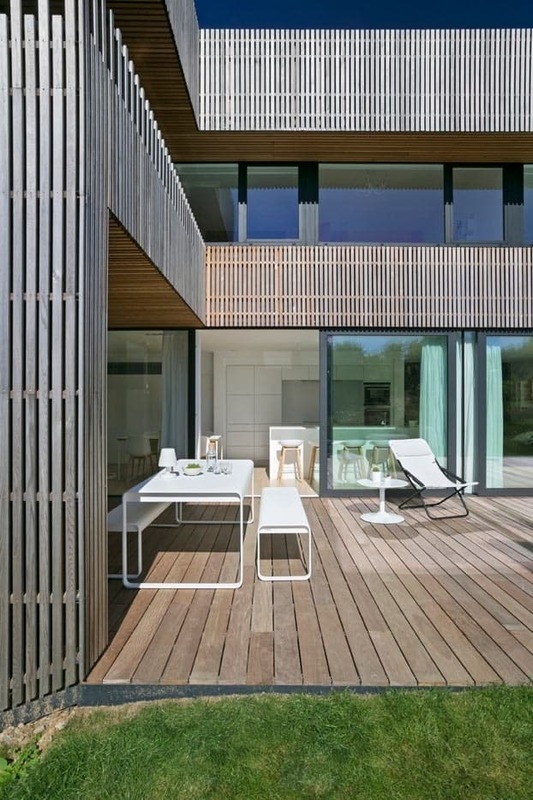 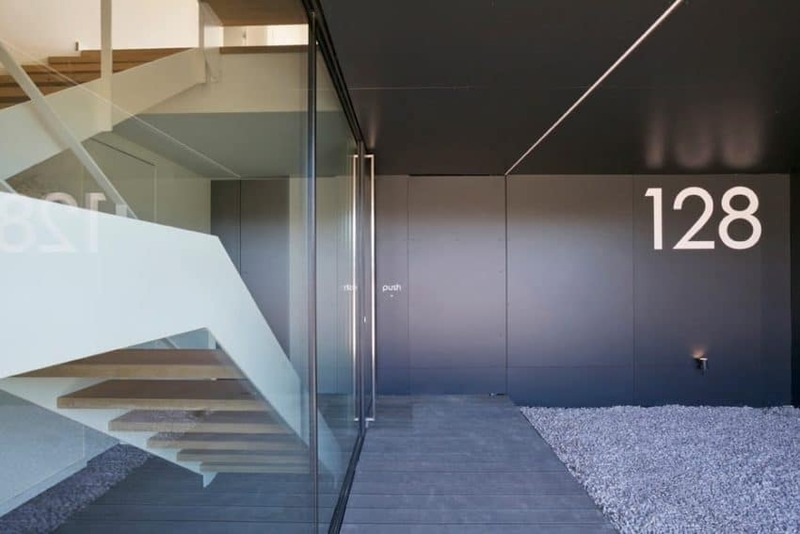 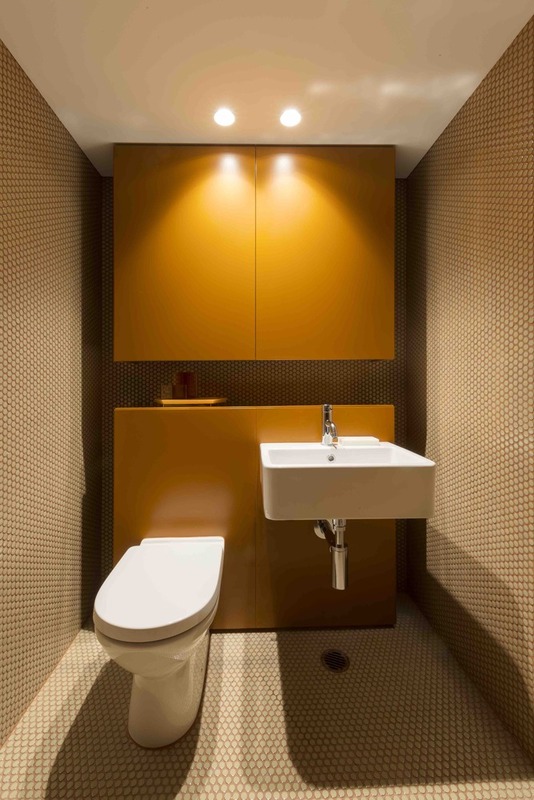 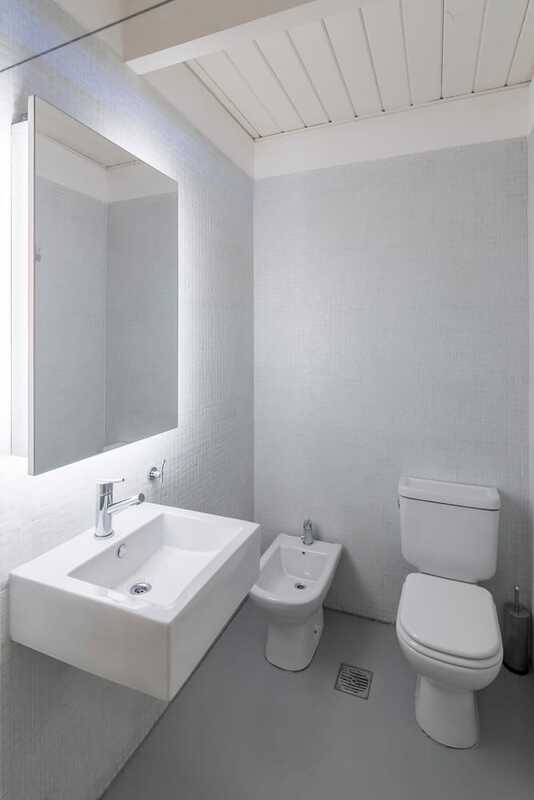 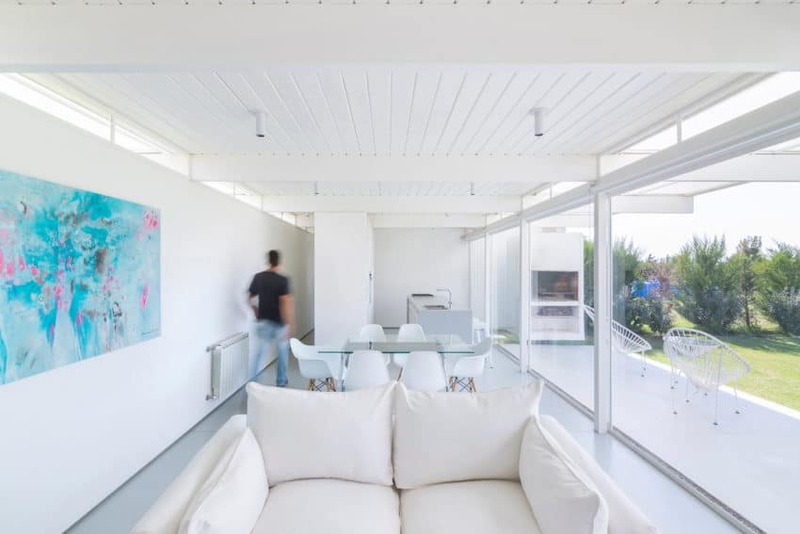 The renovation project was carried out by architectural firm DIANA ARNAU in conjunction with HGR Arquitectos. 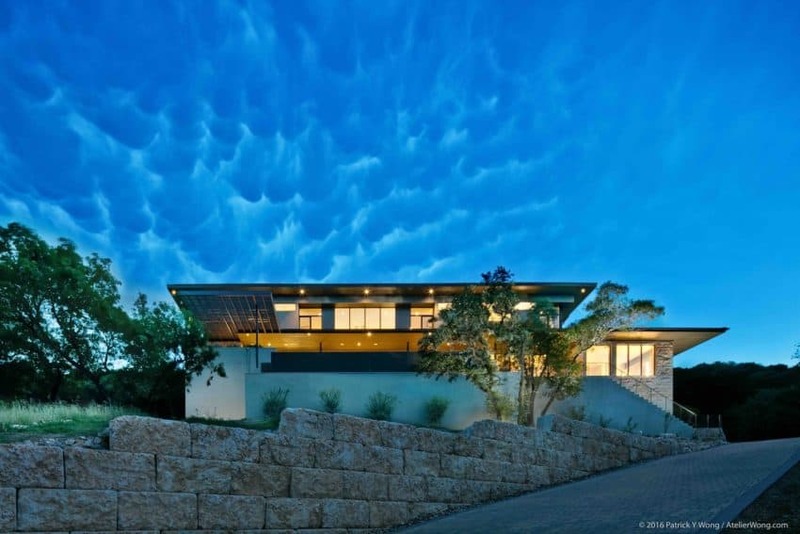 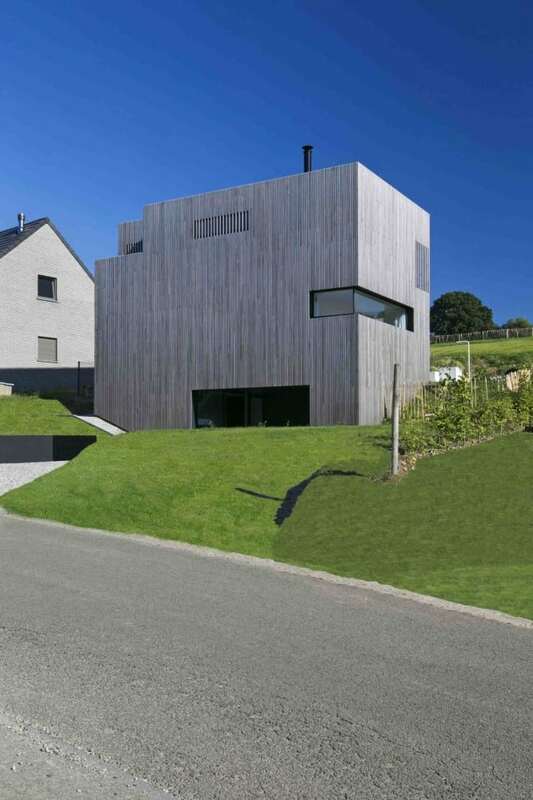 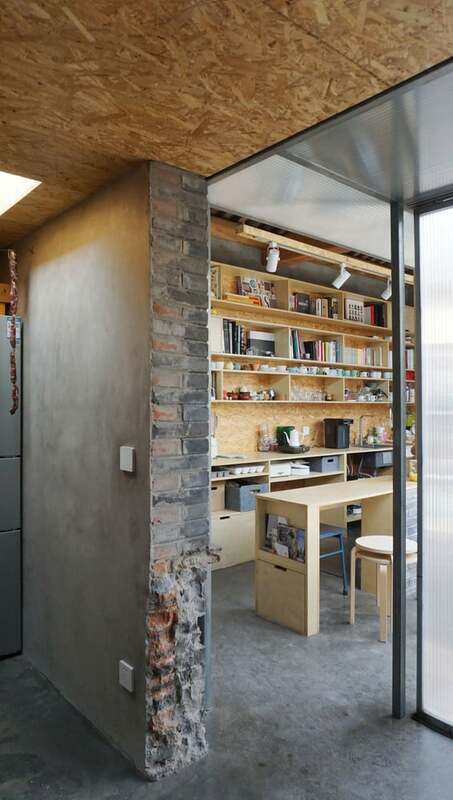 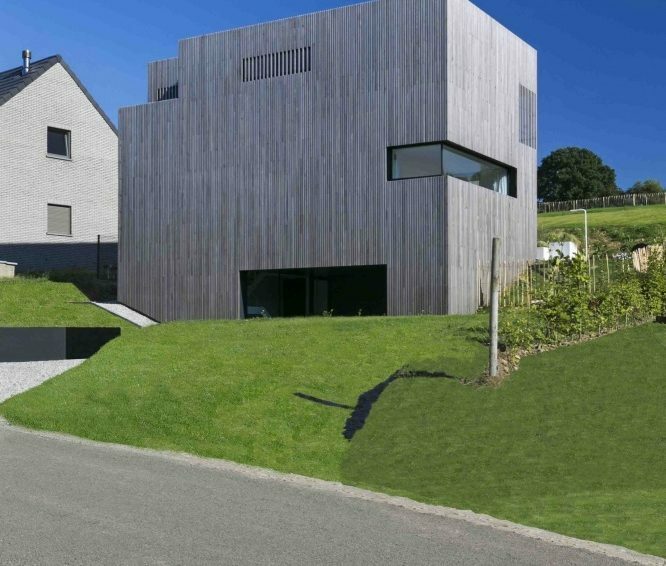 The house is located on a rocky and sloping land of 1210 square meters. 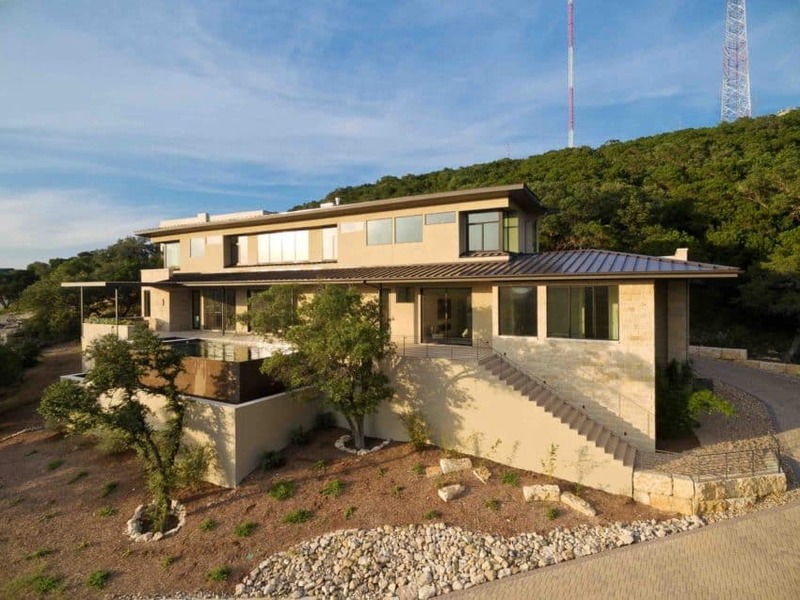 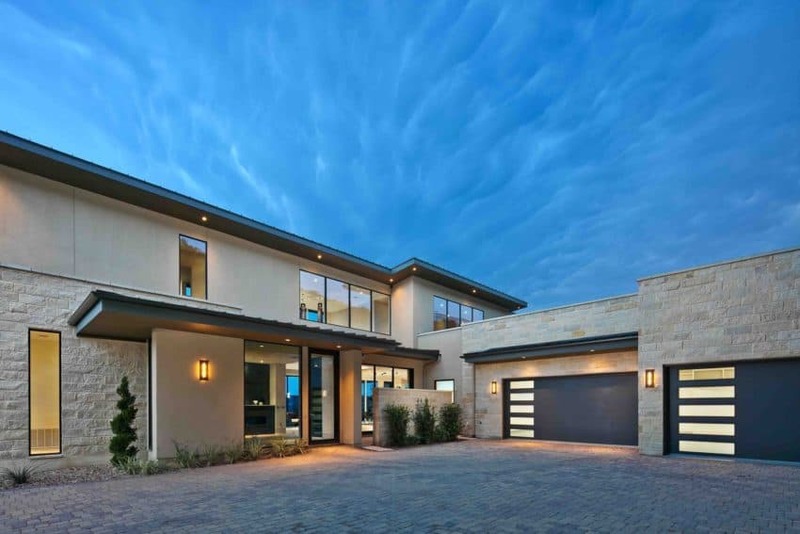 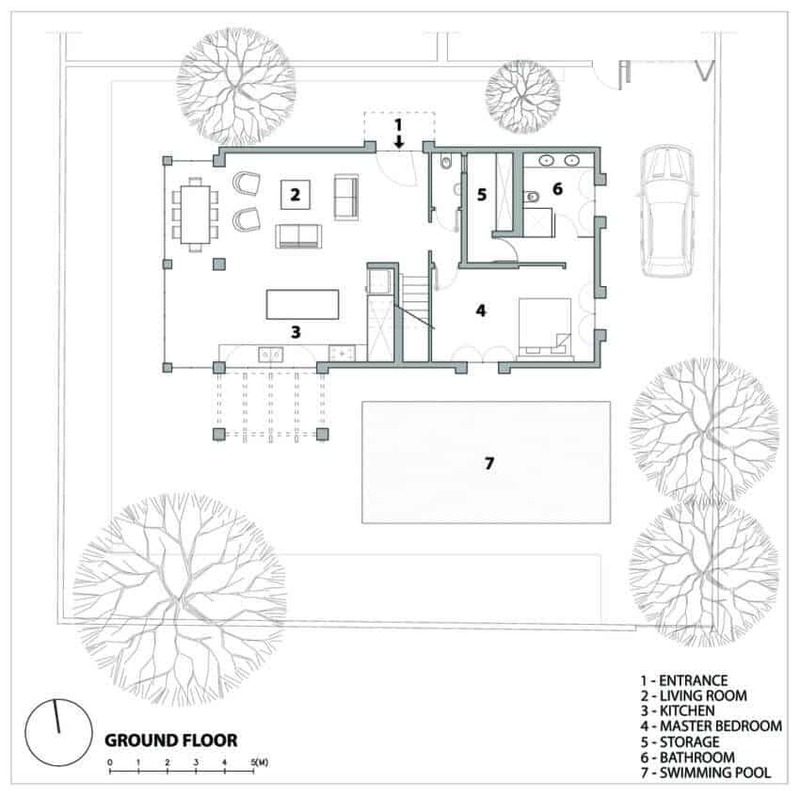 It has 5 bedrooms, each with closets, bathrooms, and a terrace, a family room, kitchen, living room, pool, outdoor bar, and parking for 3 cars. 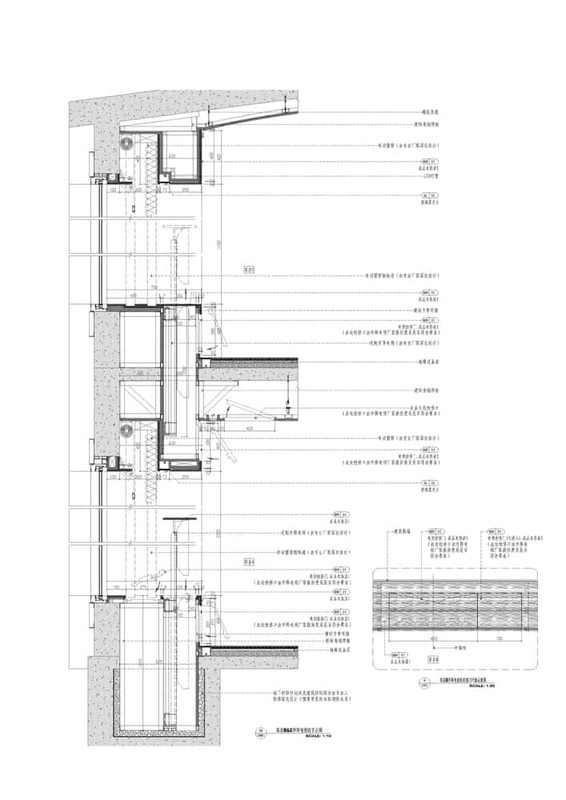 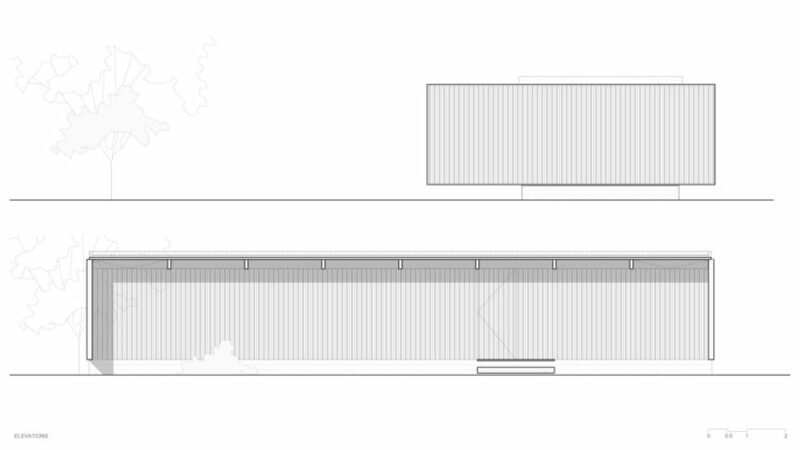 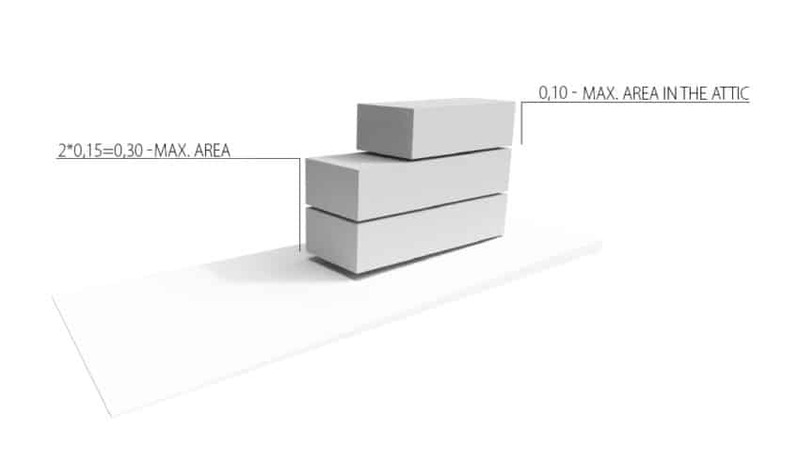 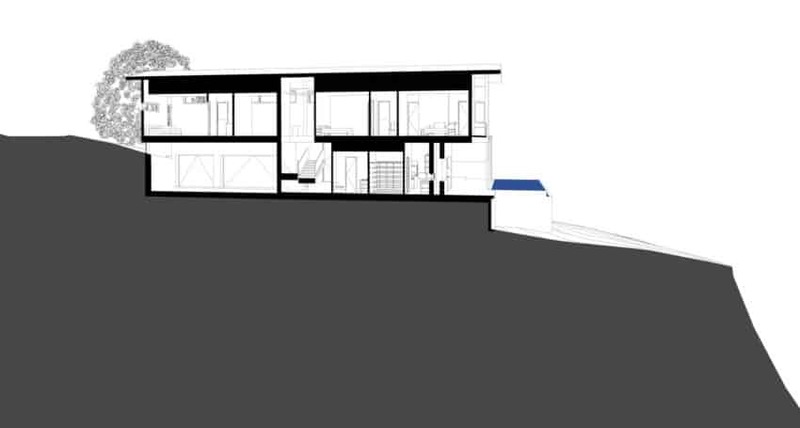 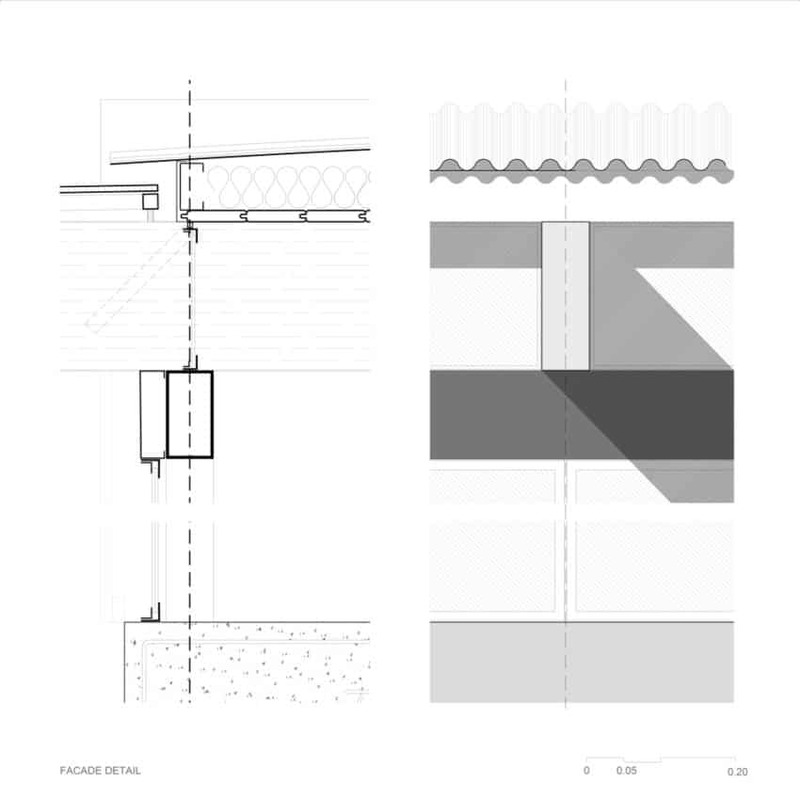 This gives the structure a total area of 1050 m2, divided into 3 levels to adjust to the topography. 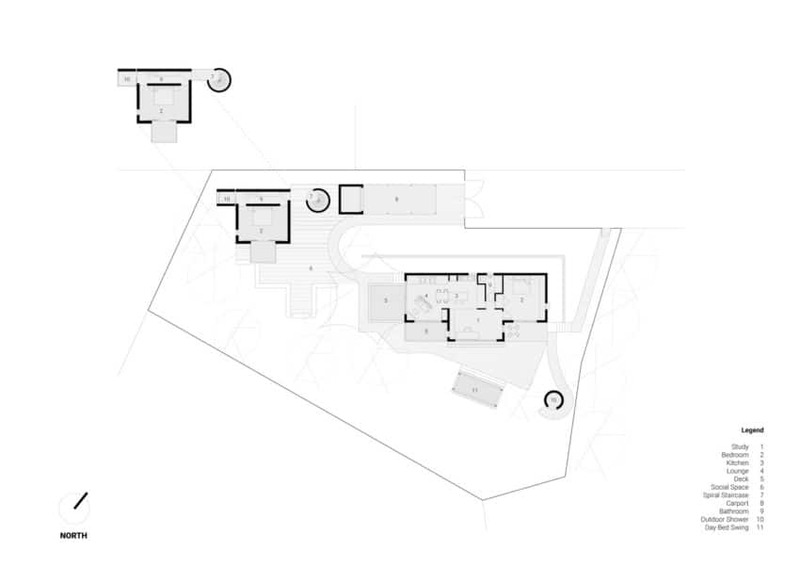 The project consists of 3 volumes. 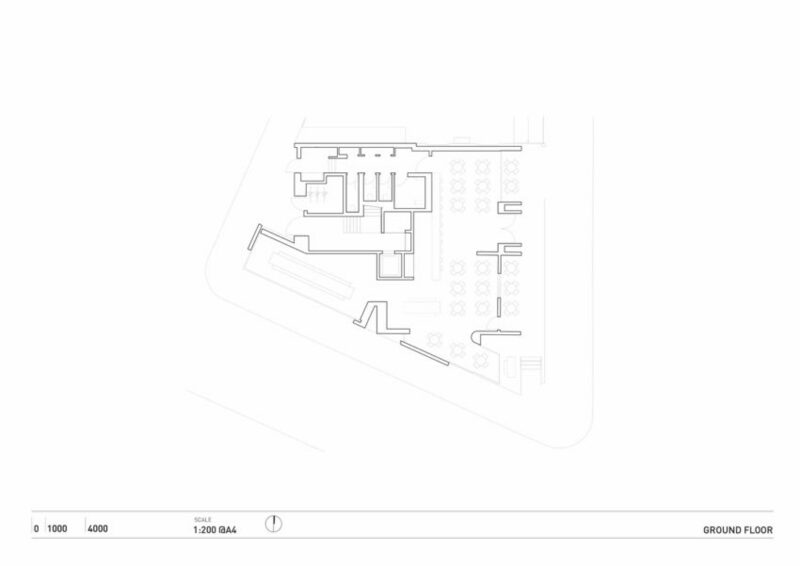 The first top volume is access and parking. 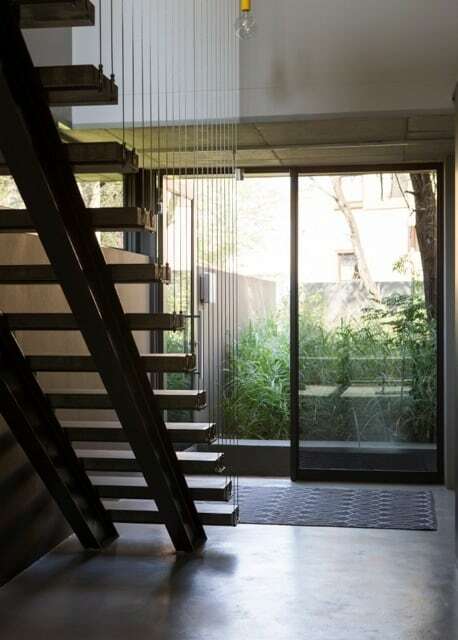 When you go down the stairs, you reach the second volume, with 2 levels. 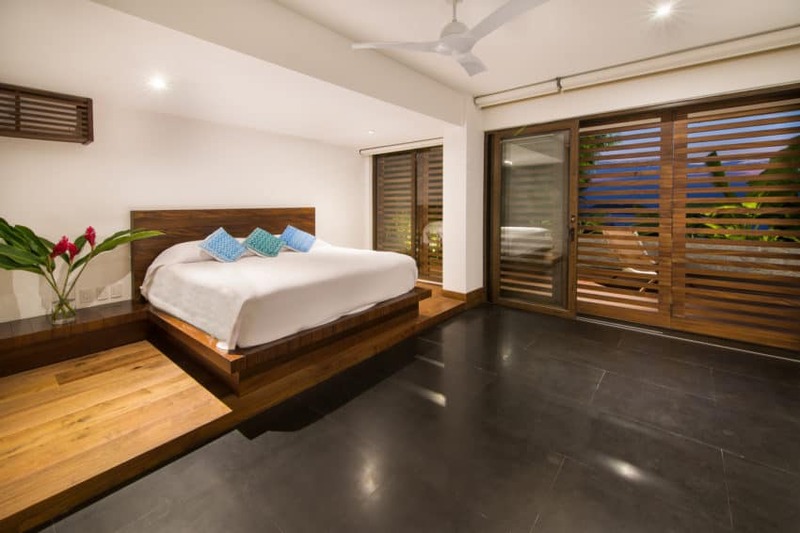 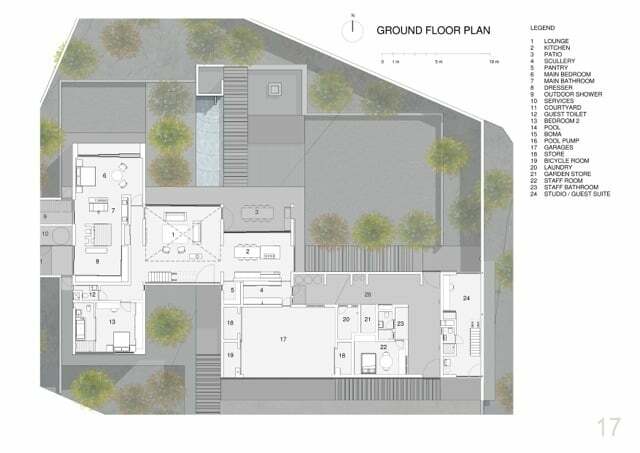 On the upper level and through a private terrace you have the master bedroom, whereas the lower level has 2 bedrooms which you enter through a roof terrace. 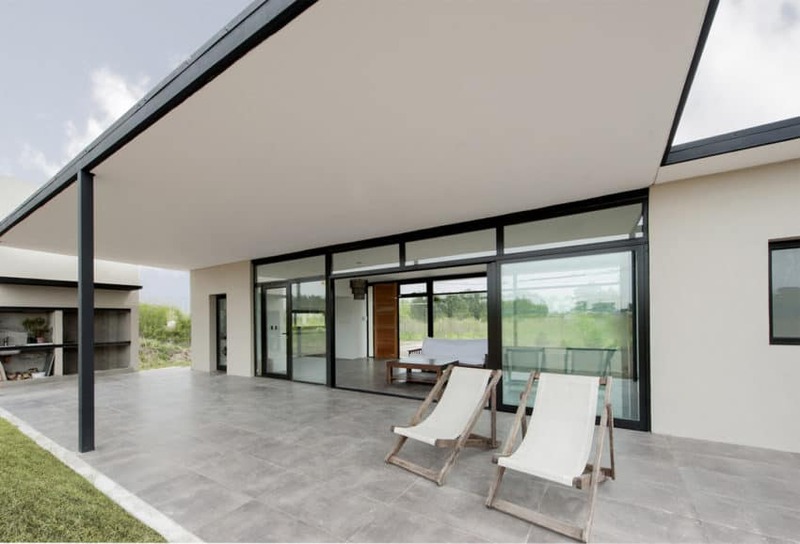 At the end of the terrace you reach the family room, a more enclosed space with a TV, dining table, kitchen, and bathroom. 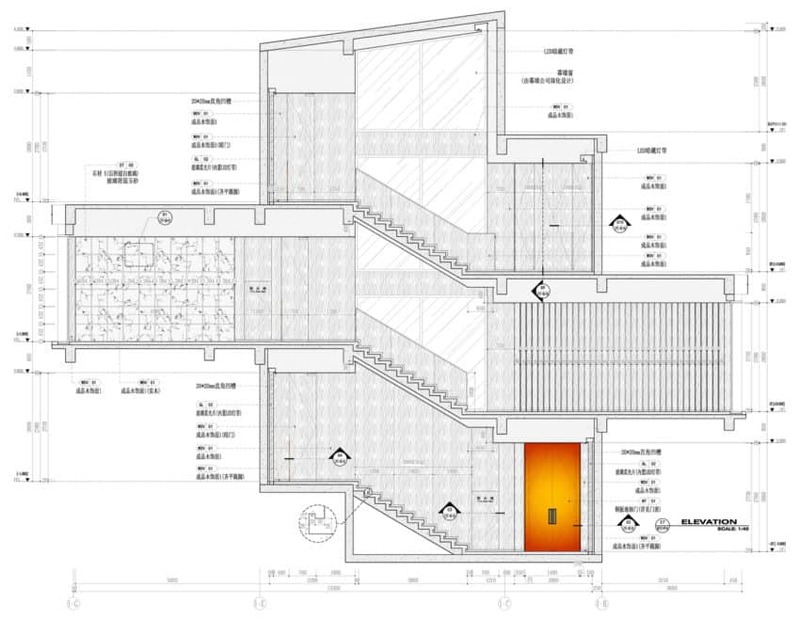 Descending half a level, you find the third volume. 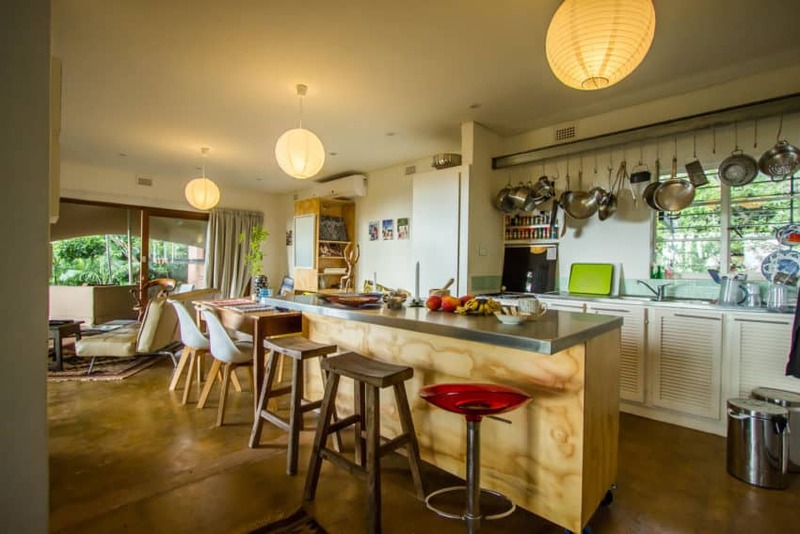 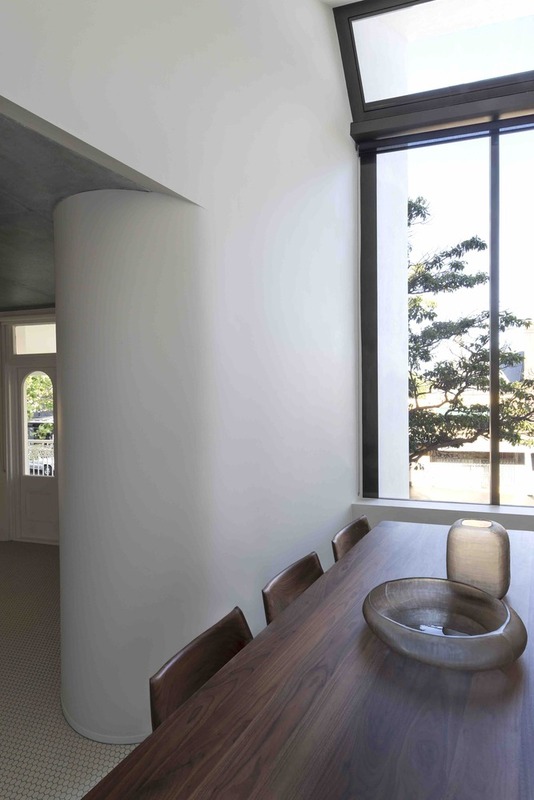 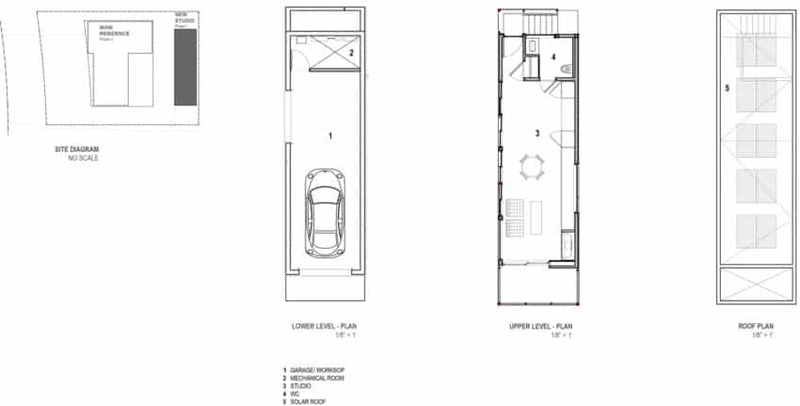 On the top floor you have the main living room – dining room space, which is completely open, and the kitchen. 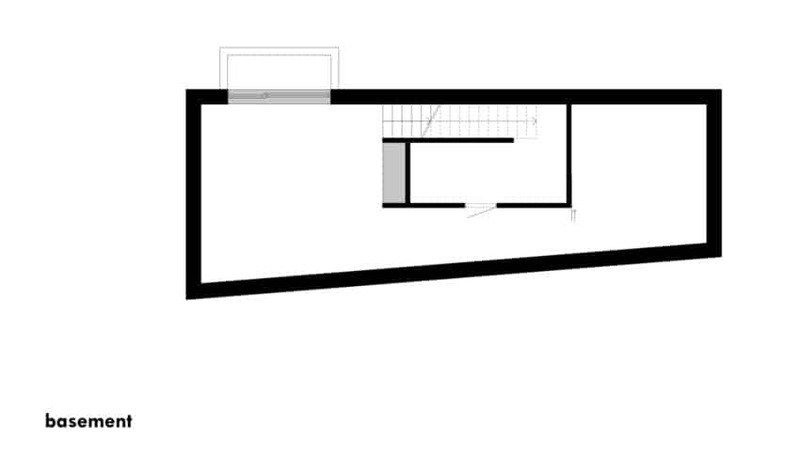 Under this space there are 2 more rooms with their respective terraces and private garden. 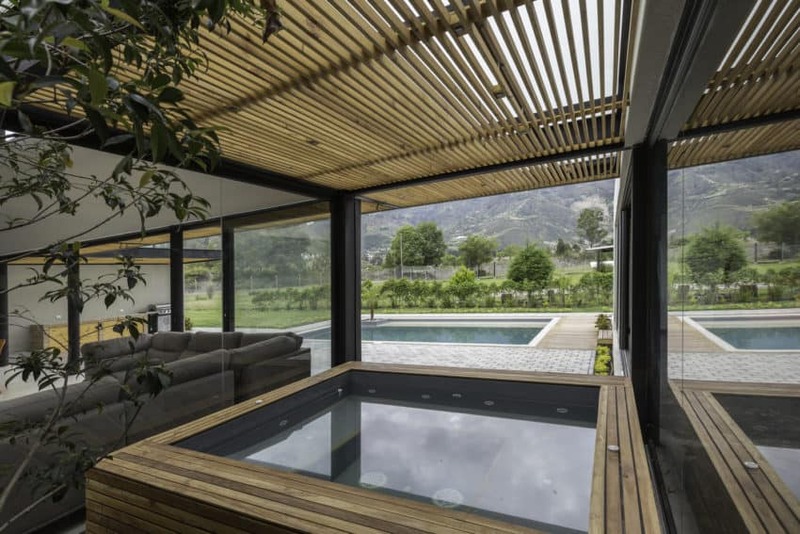 The pool area, which has a jacuzzi and a bar, articulates these two volumes. 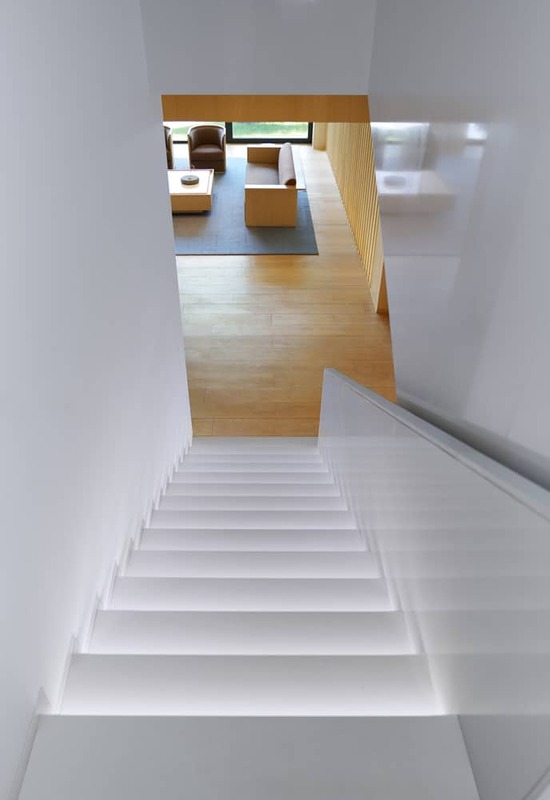 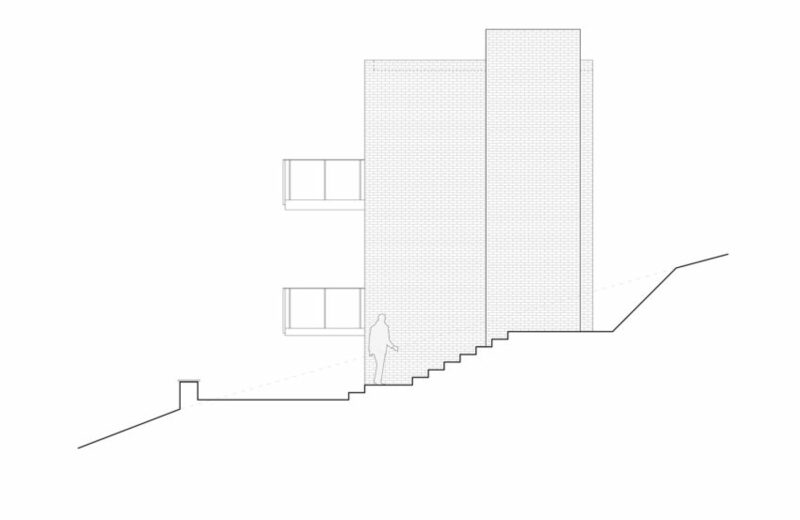 All spaces are connected by stairs that adapt to the terrain. 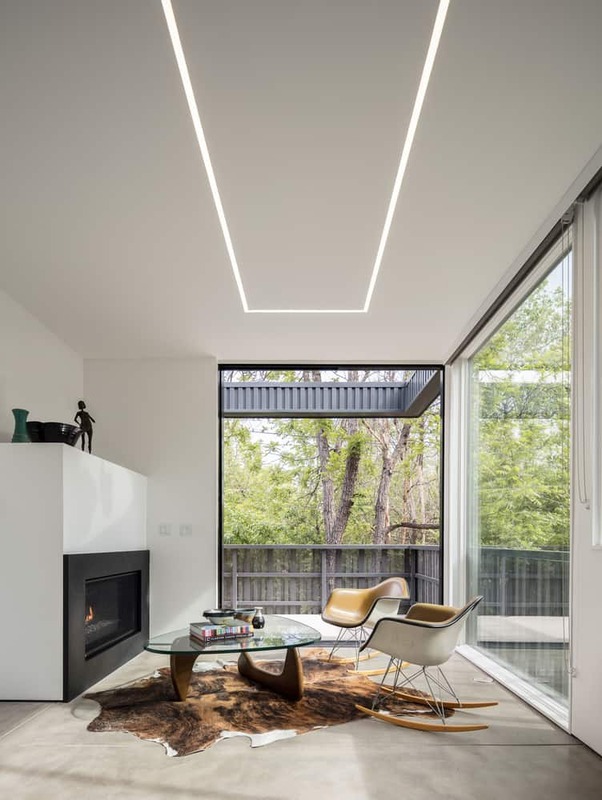 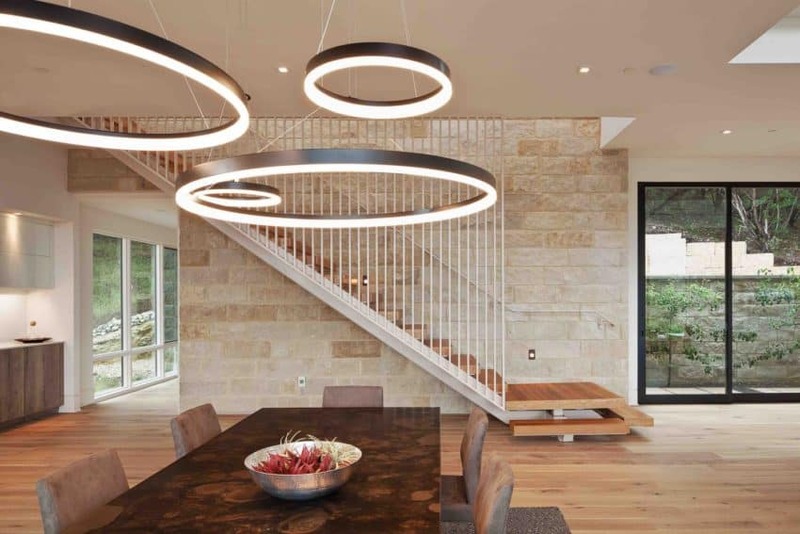 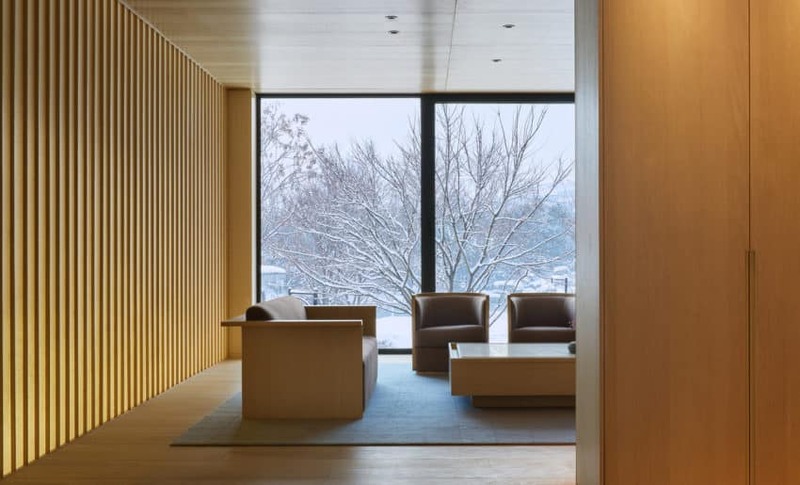 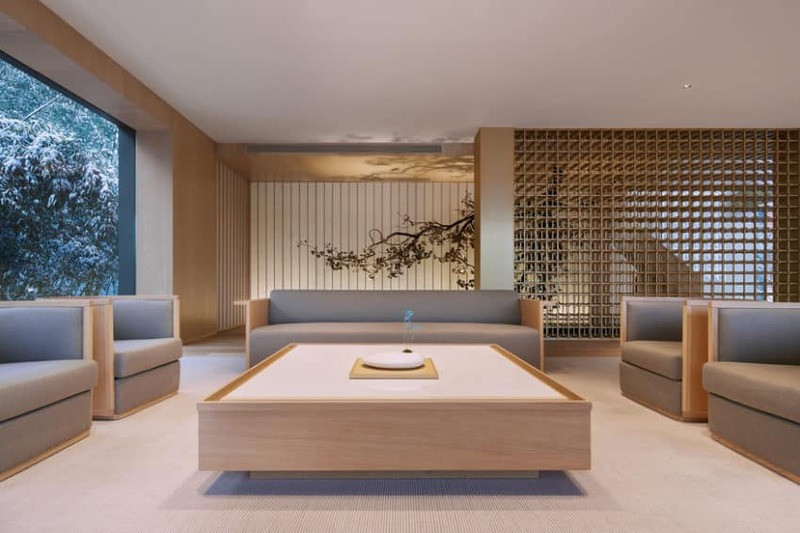 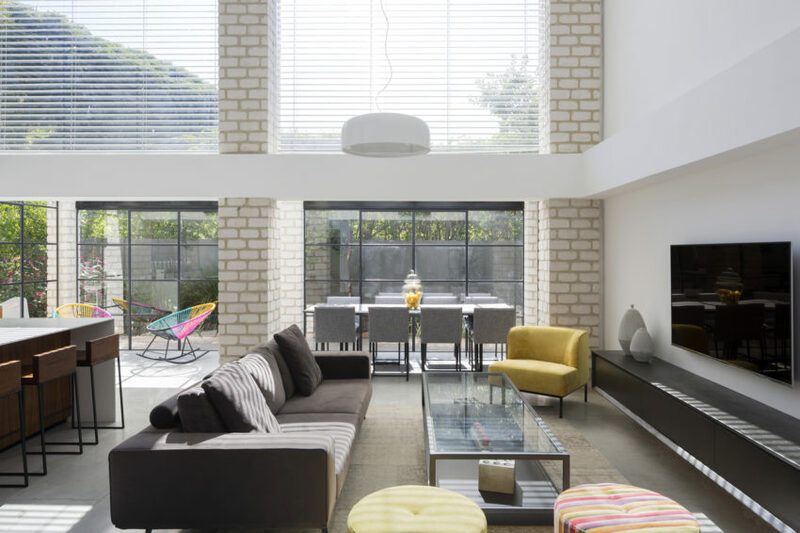 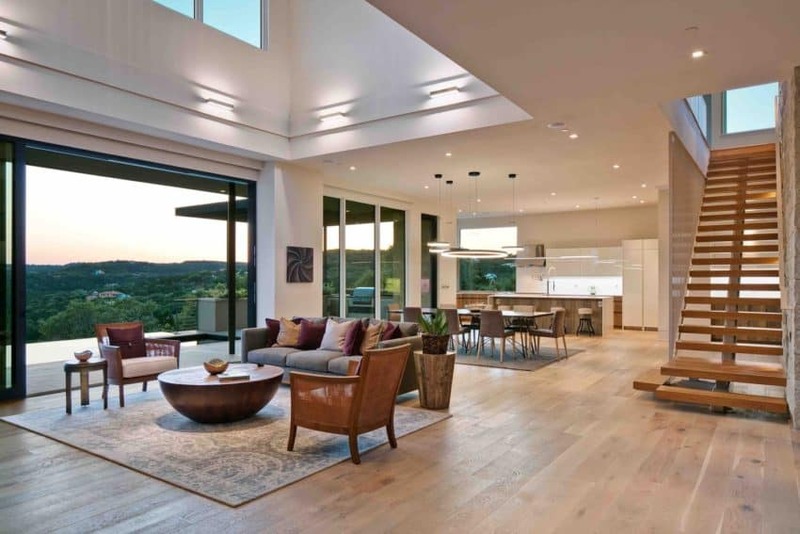 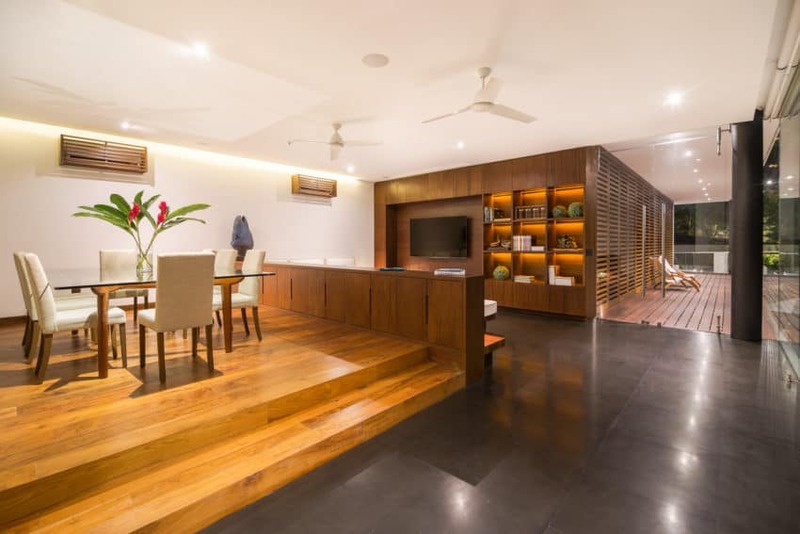 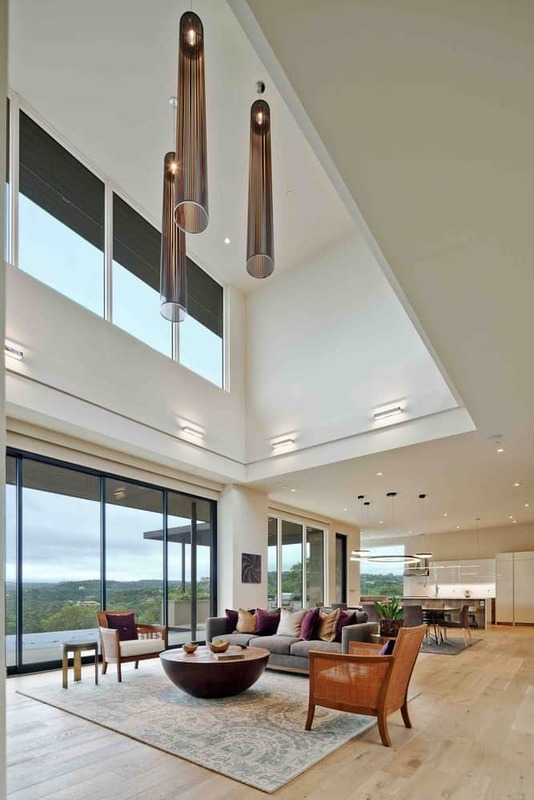 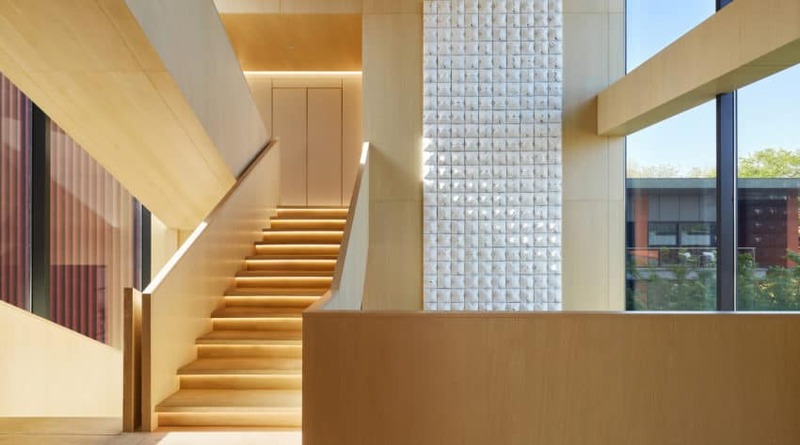 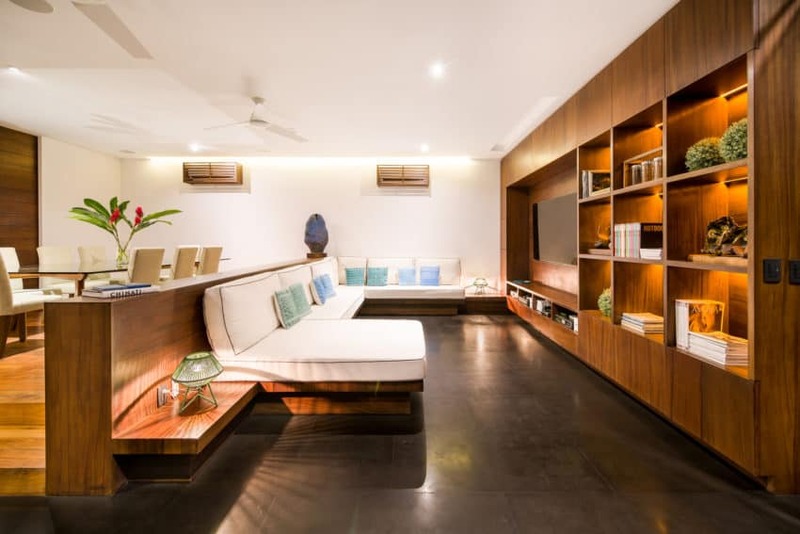 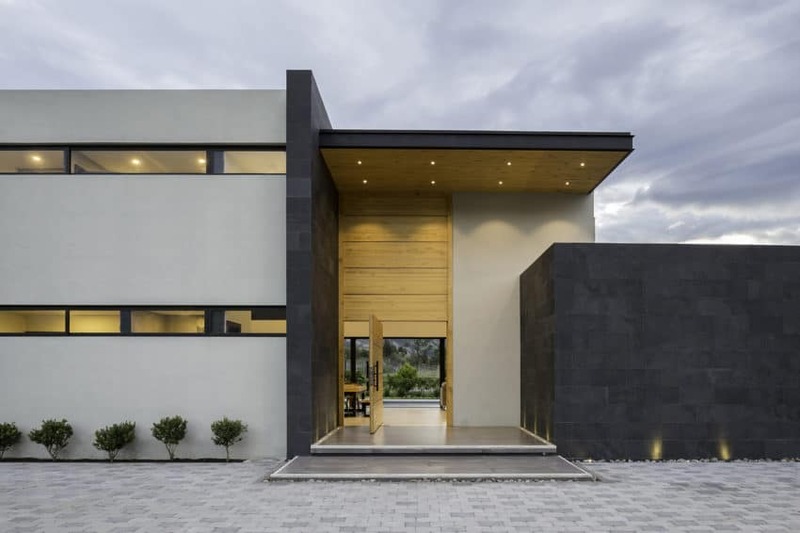 With definite lines and style, which result in a design that is undoubtedly elegant, this magnificent house makes us fall in love with each one of its spaces, all of which are wide and open. 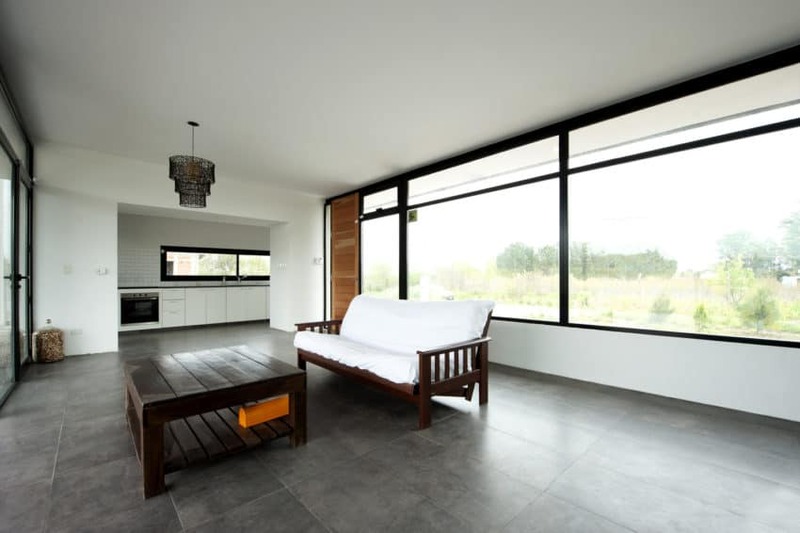 The property covers a total of 2000 square meters. 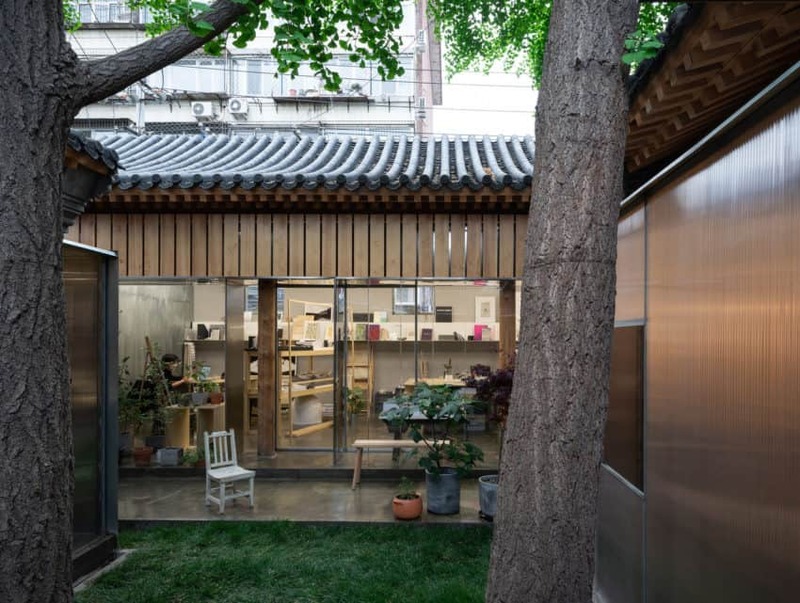 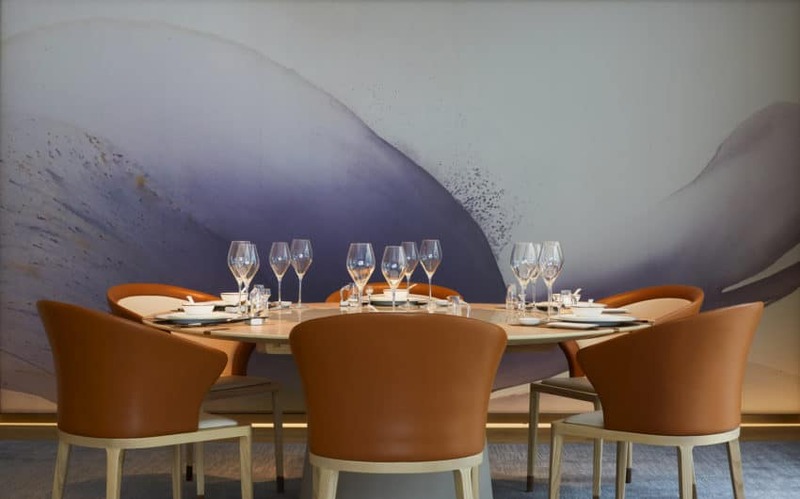 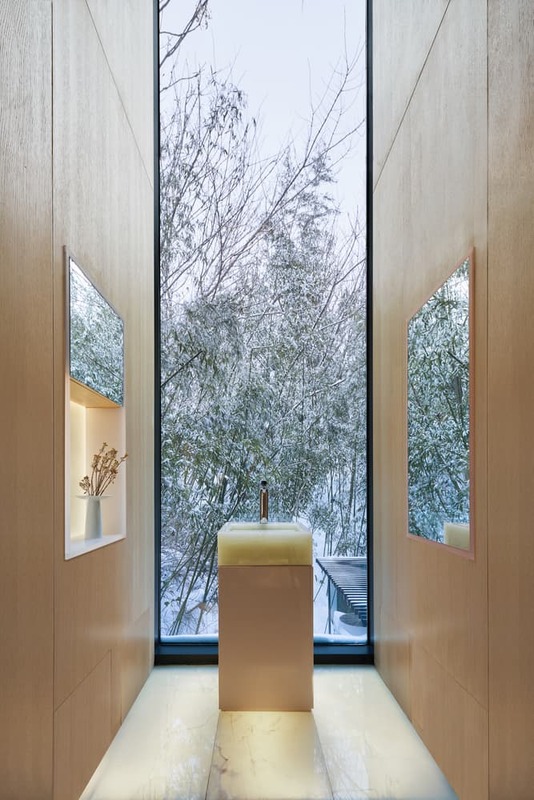 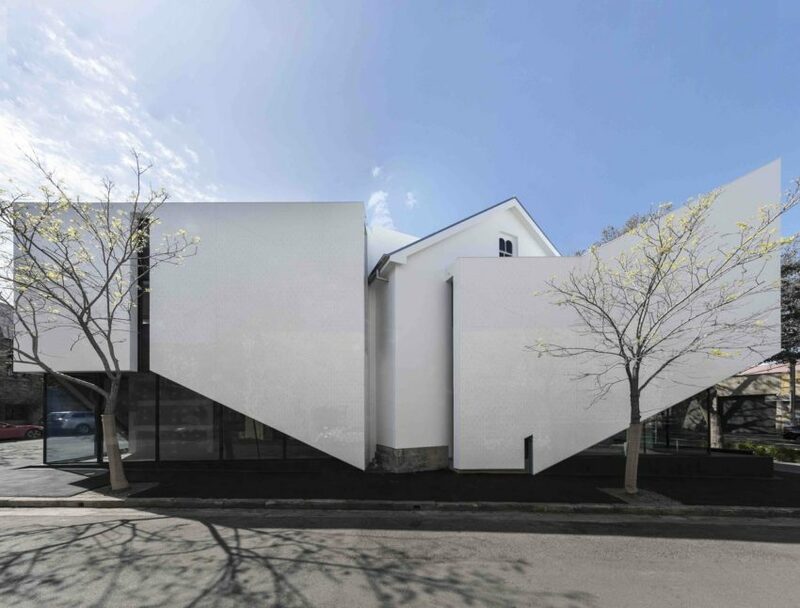 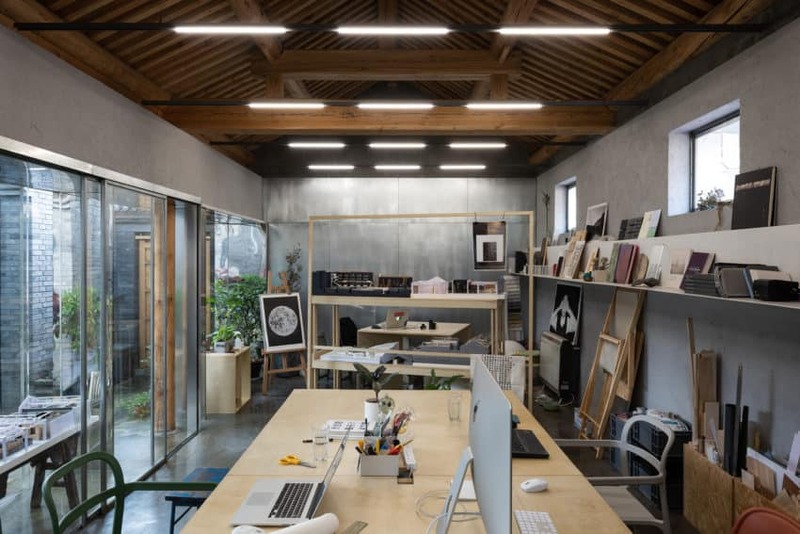 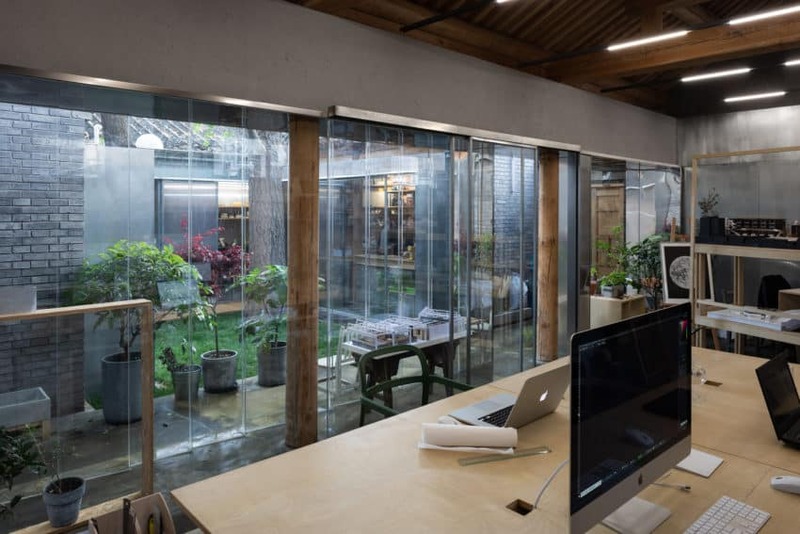 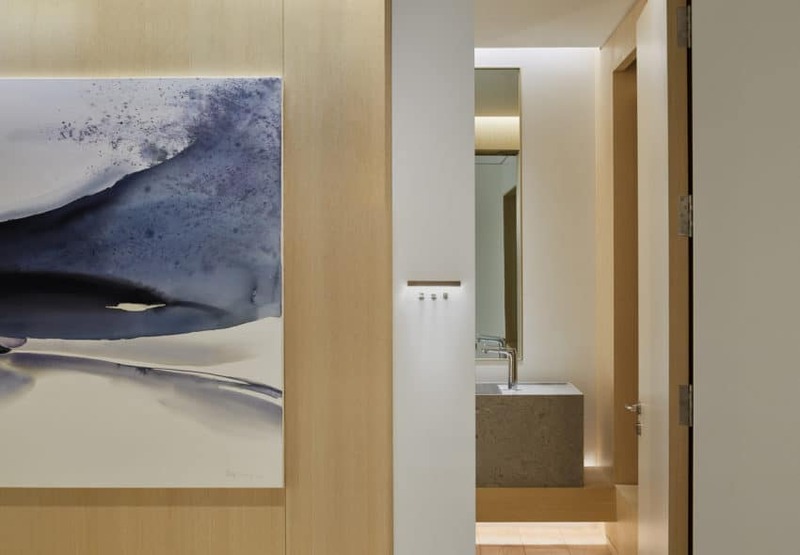 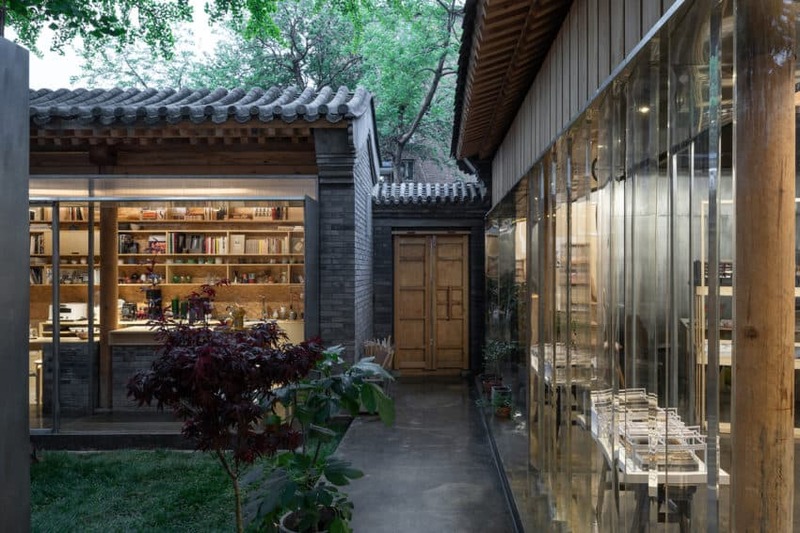 It possesses a minimalist style in which everything flows naturally and harmoniously, designed by Shanghai Hip-Pop Design Team under the direction of its professionals Tianwen Sun Xindi Cao, Dong Liu, Dejie Zhang, and Youfei Wang. 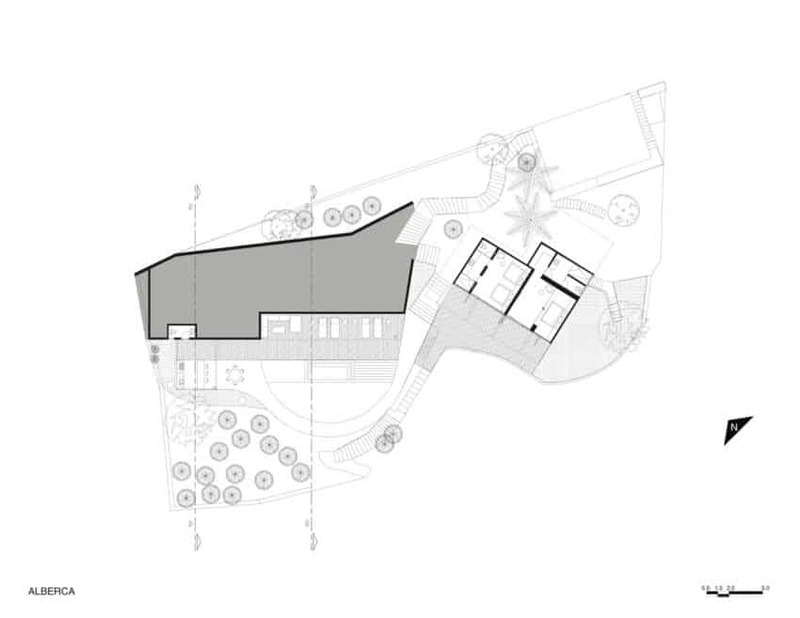 This project’s design adopted the strategy to clearly differentiate the relationship with the landscape of the living spaces, on the one hand, and the areas of night and service, on the other. 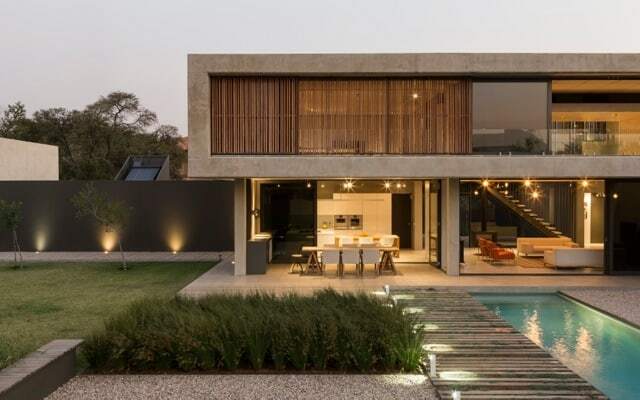 It was carried out by the architectural firm Unoencinco Arquitectura in the year 2016 in the city of Buenos Aires, Argentina. 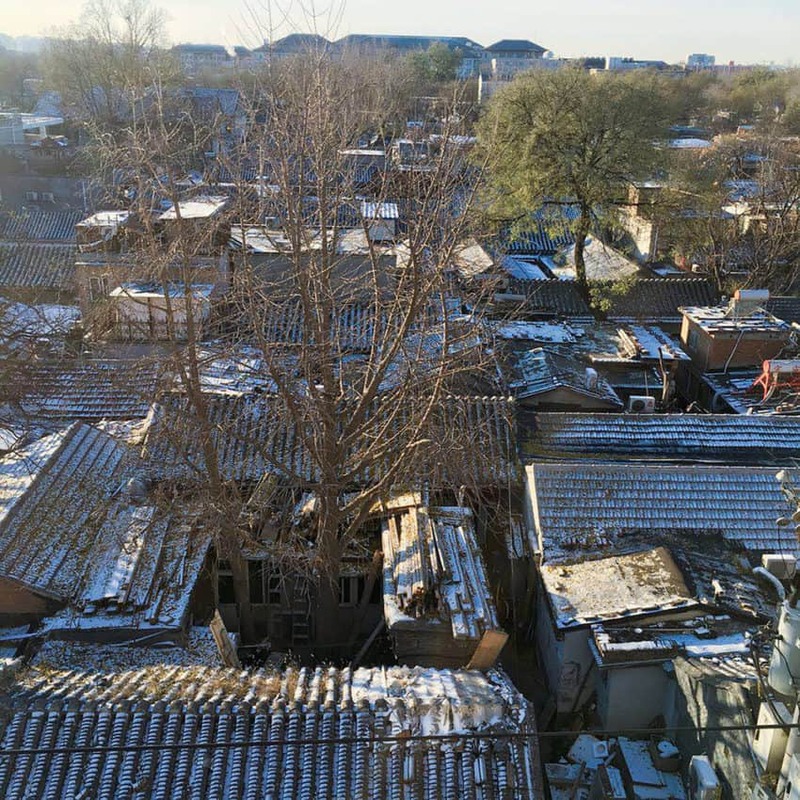 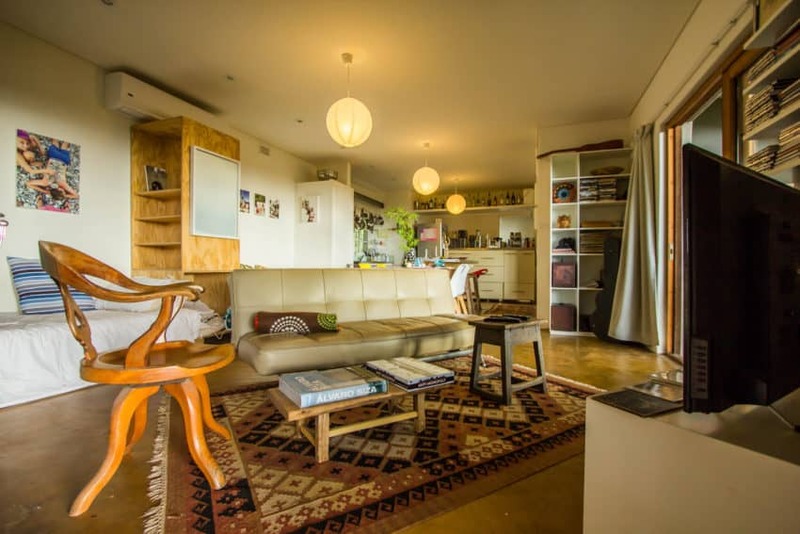 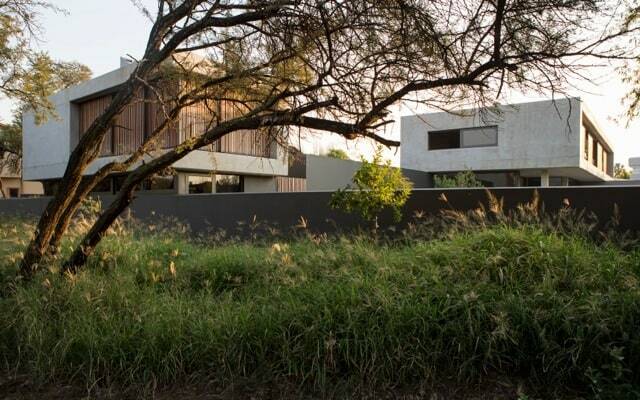 Located in the “El Ocho” neighborhood, in a land of incipient consolidation, it occupies approximately half a hectare that presents a style typical of Pampa in Argentina. 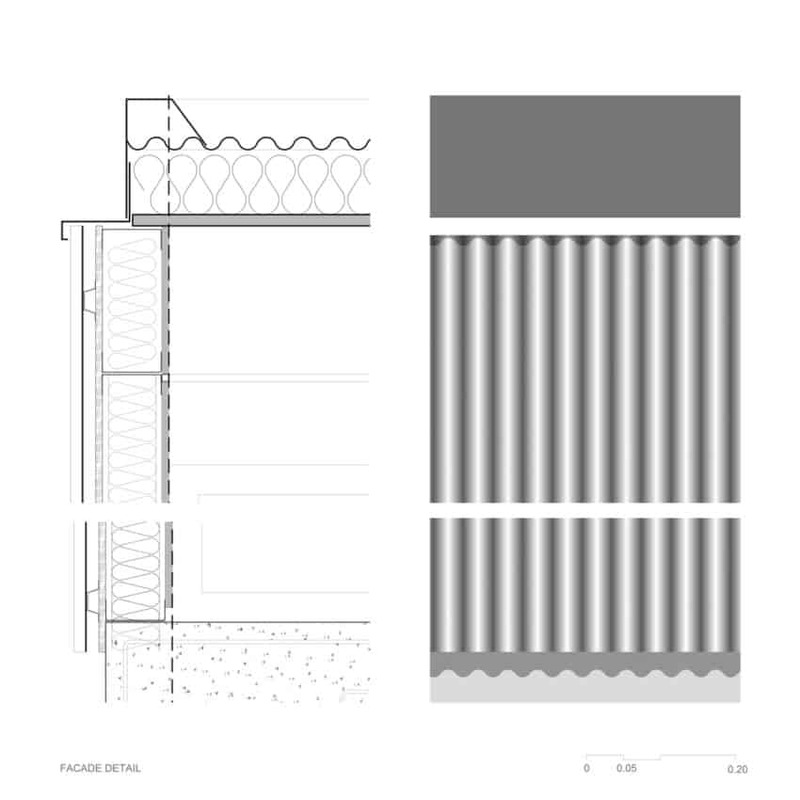 Under a covered plan, two “boxes” were measured and placed, divided up with an alternating pattern of vertical and horizontal openings to the exterior. 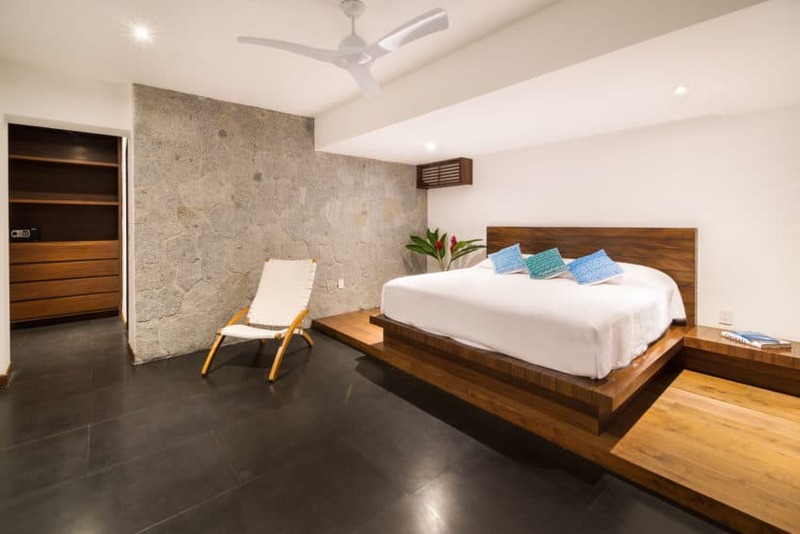 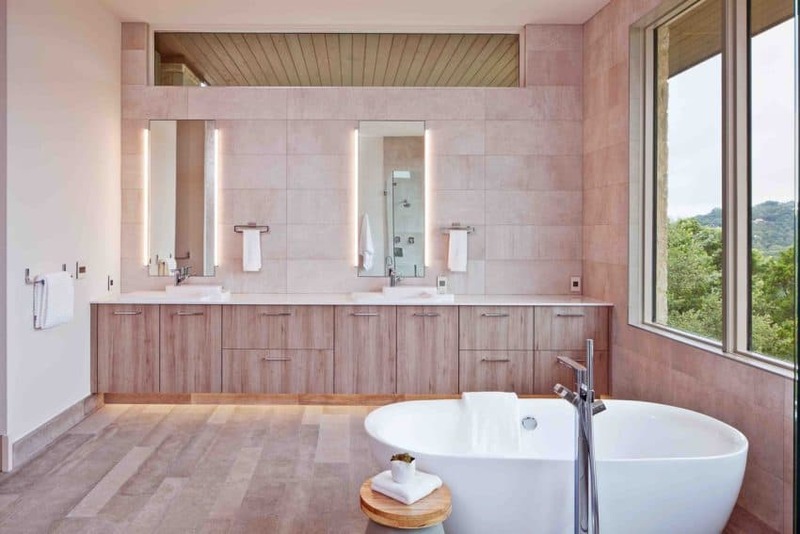 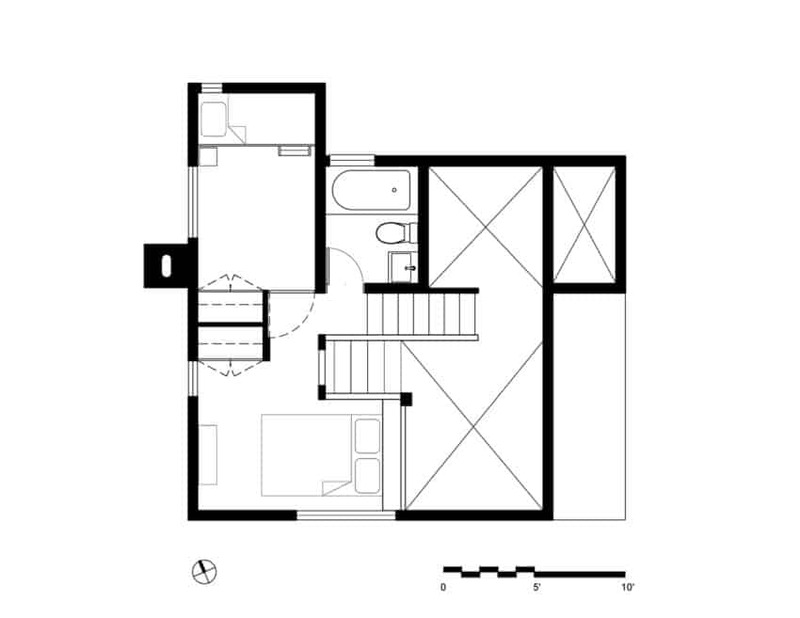 These areas included everything from the restrooms to the bedrooms, as well as the structural support. 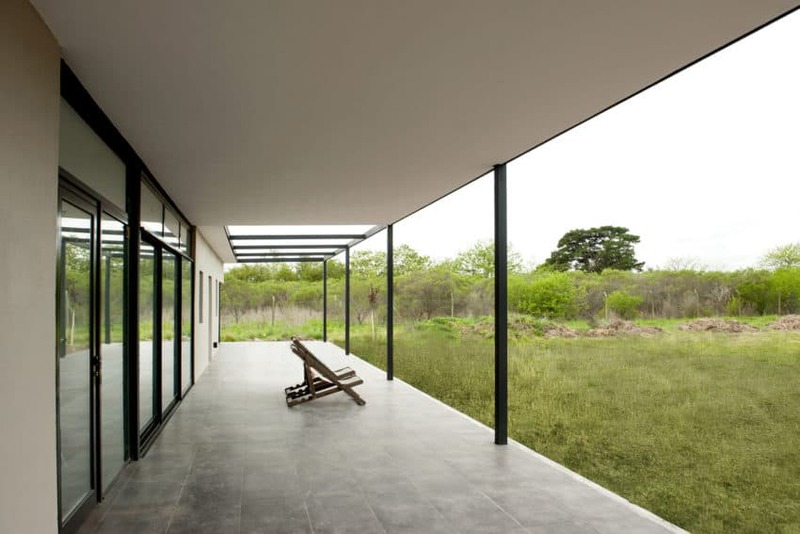 In the small space between them, the living room is fully immersed with the landscape, allowing us to enjoy it in all its splendor. 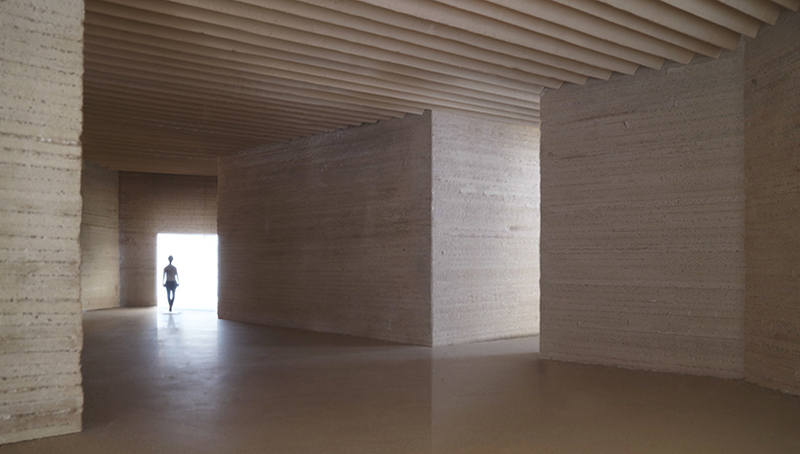 A gallery that takes a full edge with its full / empty shades acts like bellows that expands outwards. 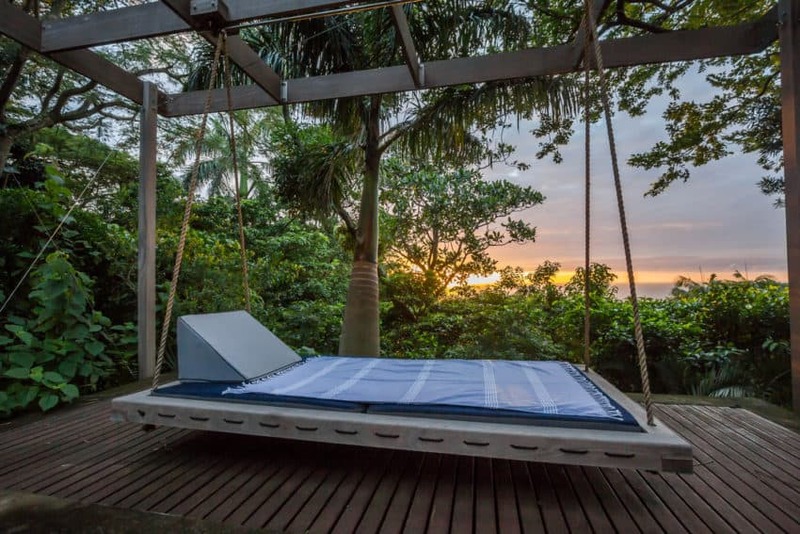 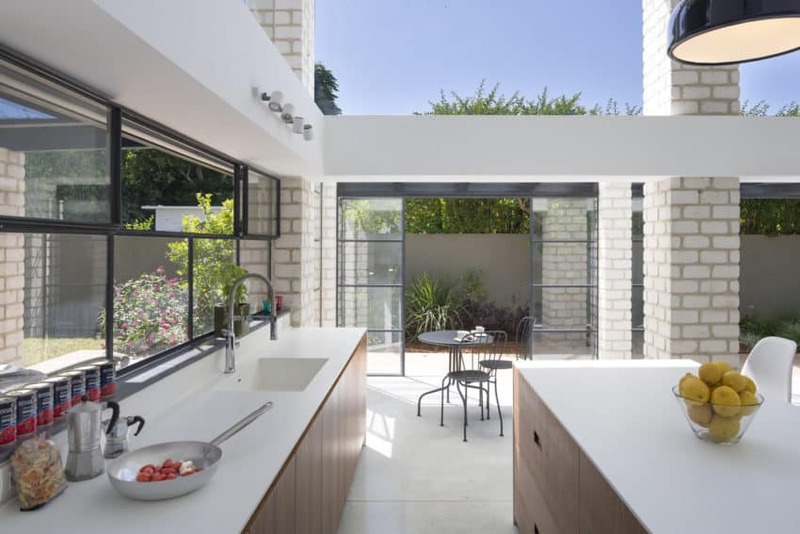 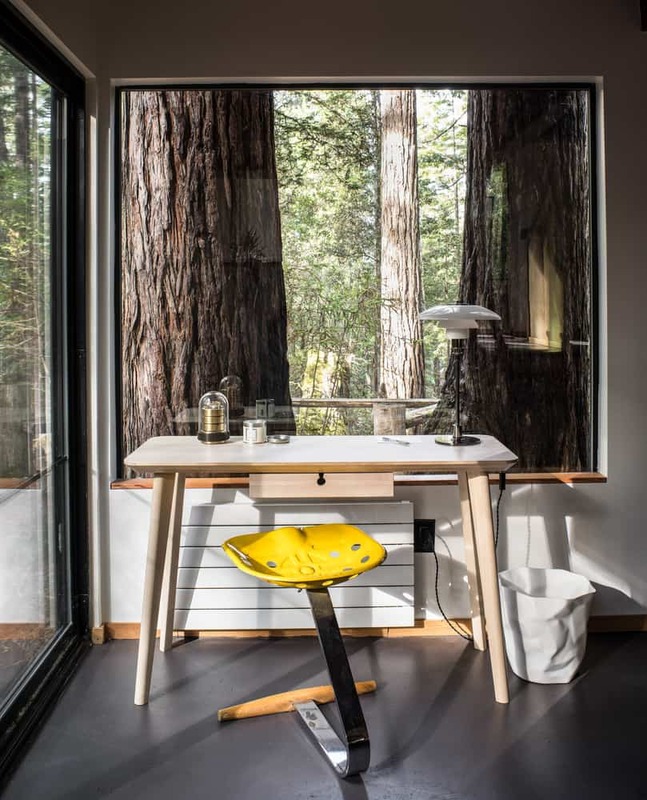 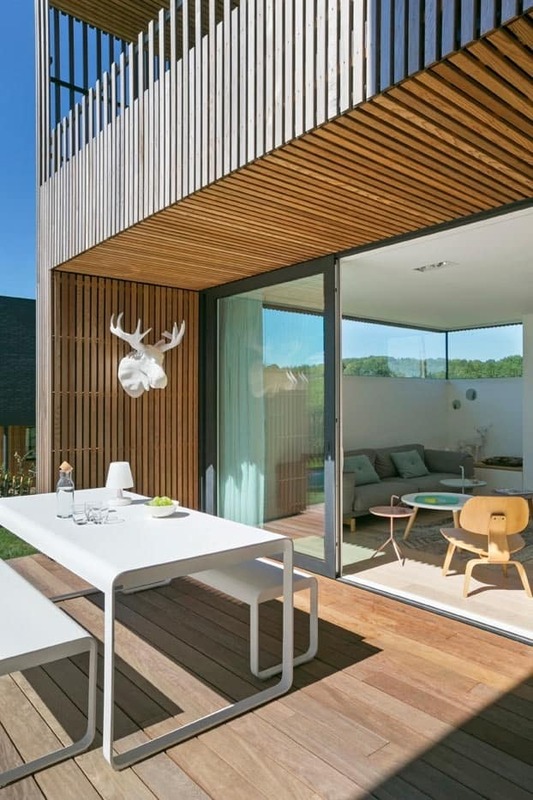 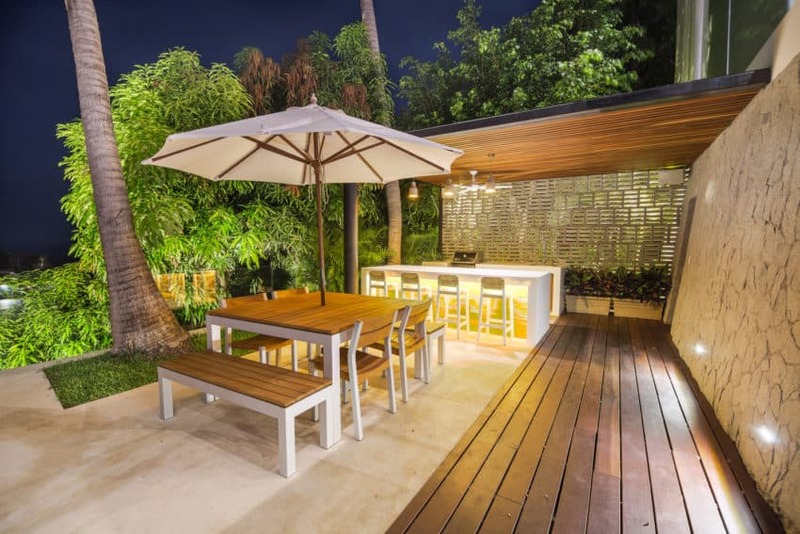 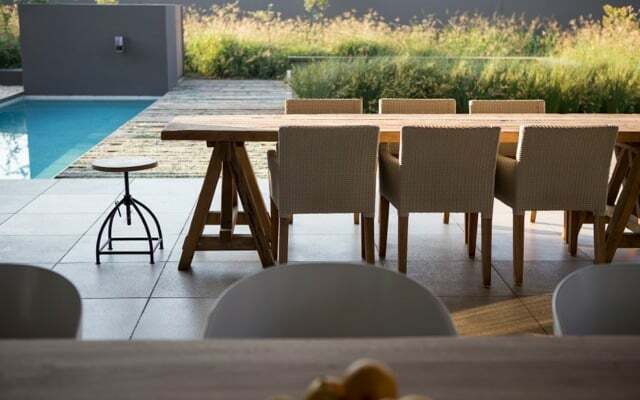 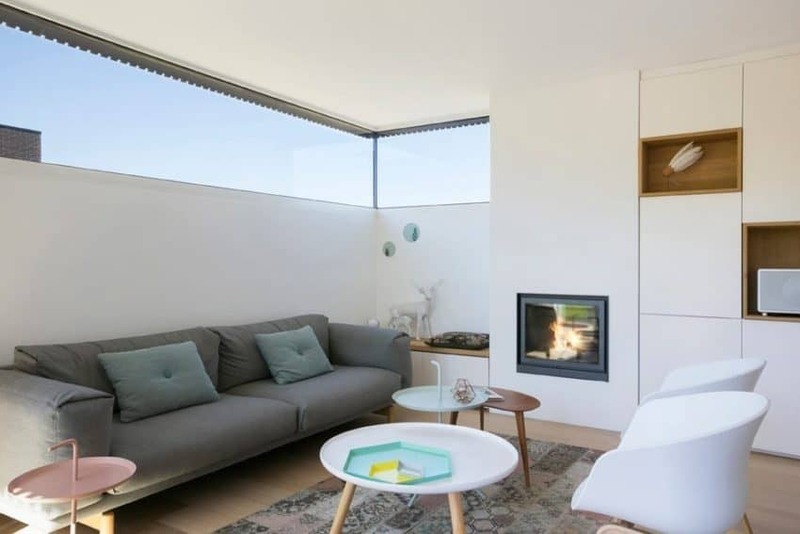 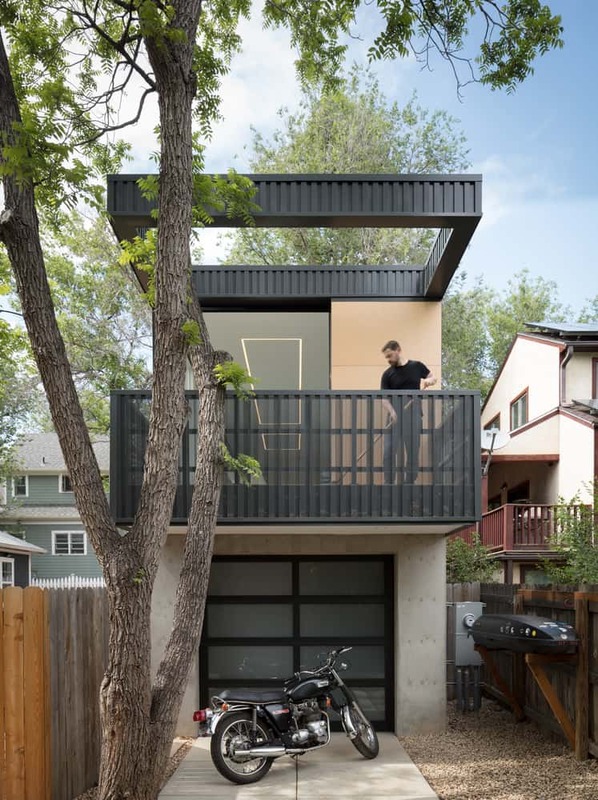 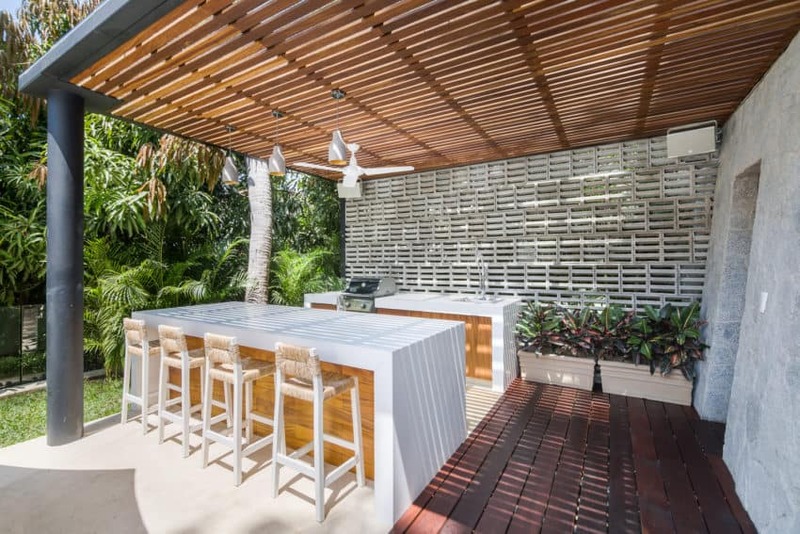 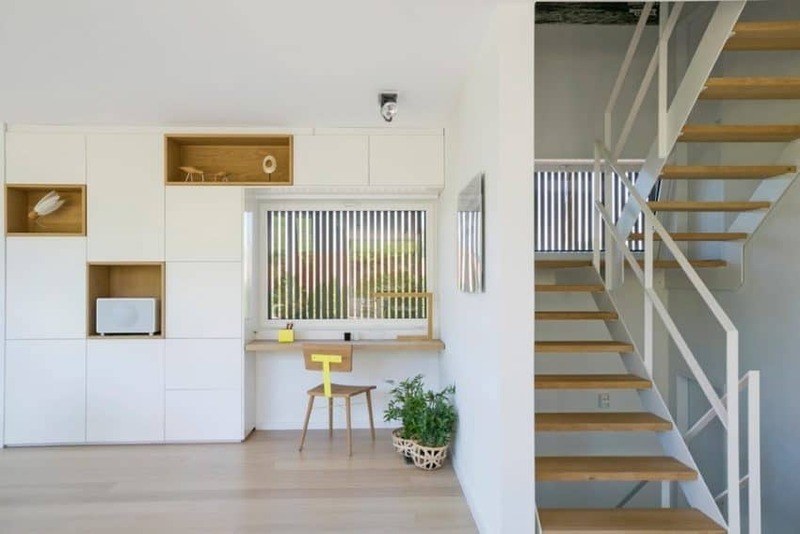 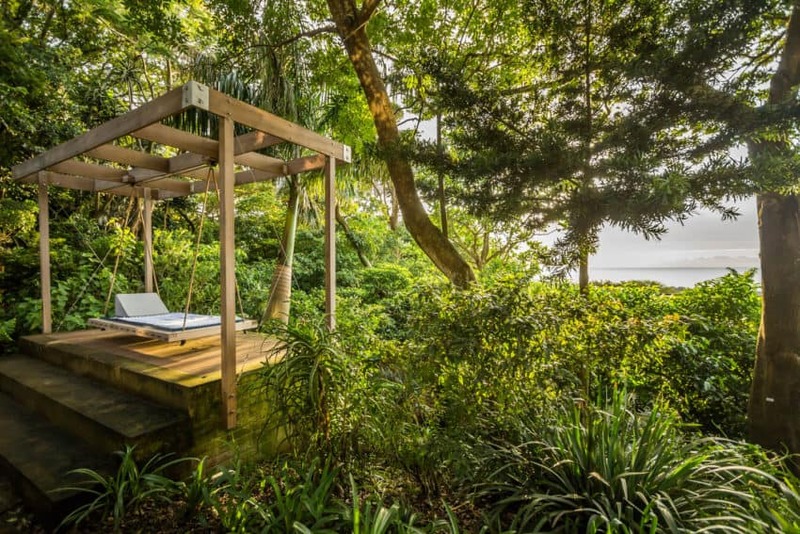 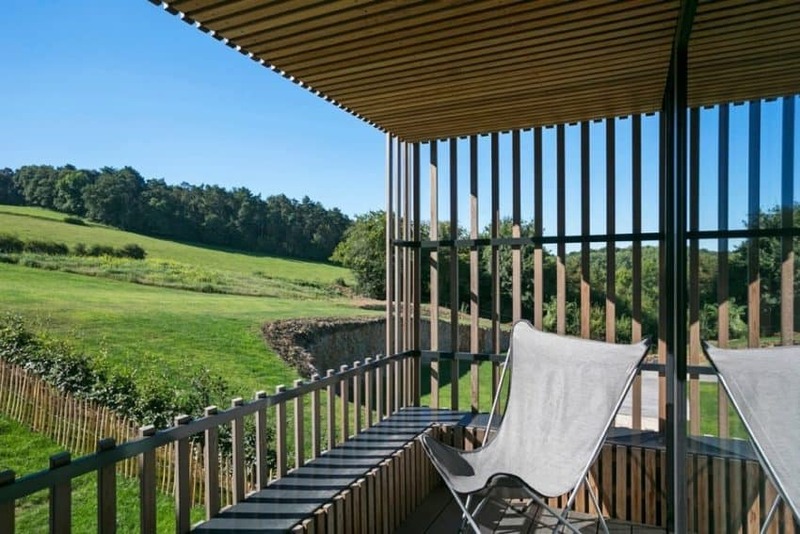 The space that has an area of 136 square meters has a large terrace that connects directly with the nature that surrounds it. 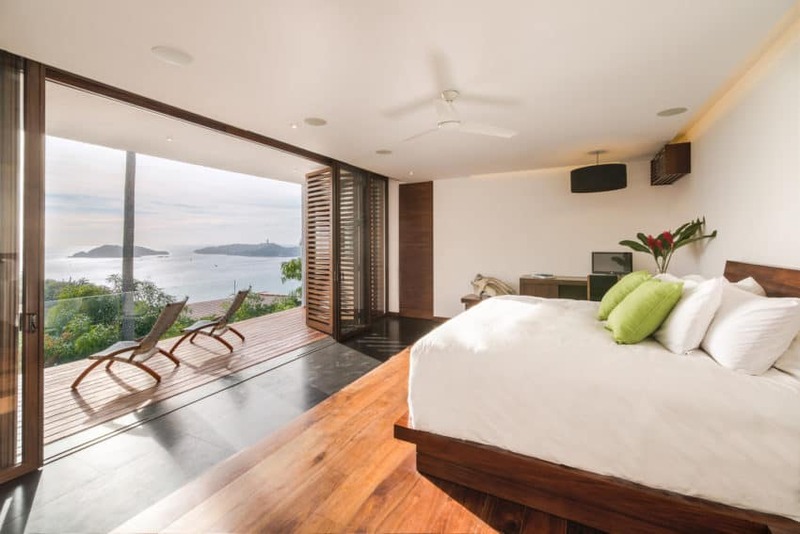 Not a single detail will be missed whilst staying here. 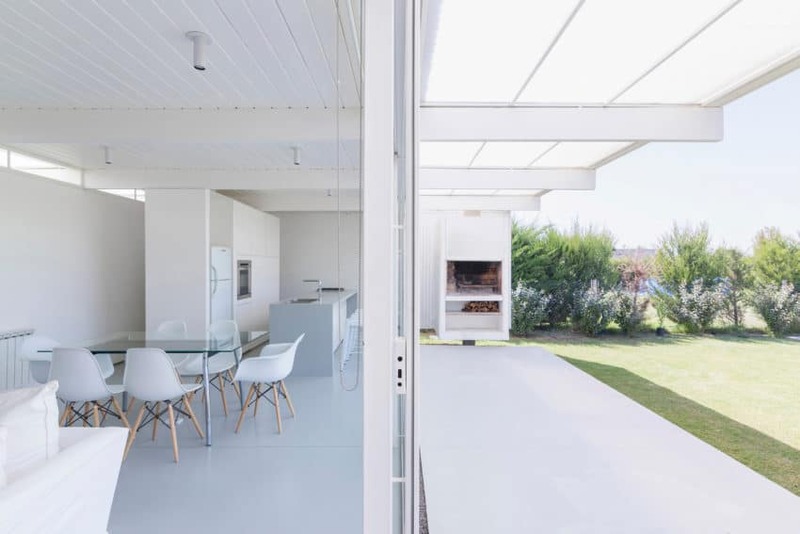 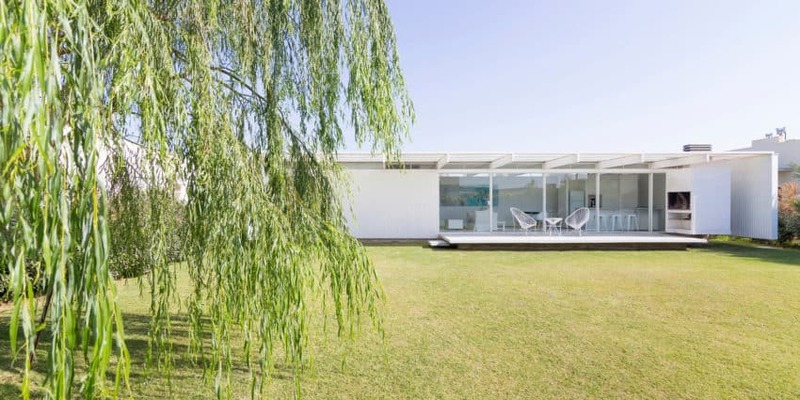 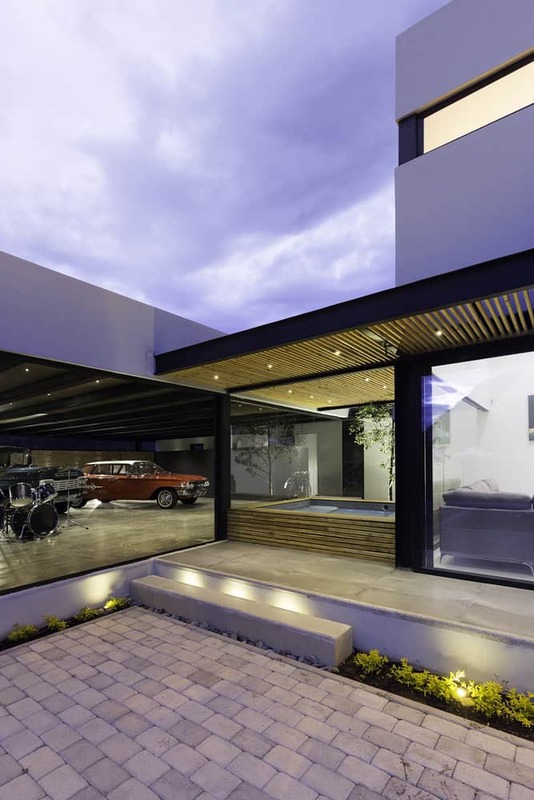 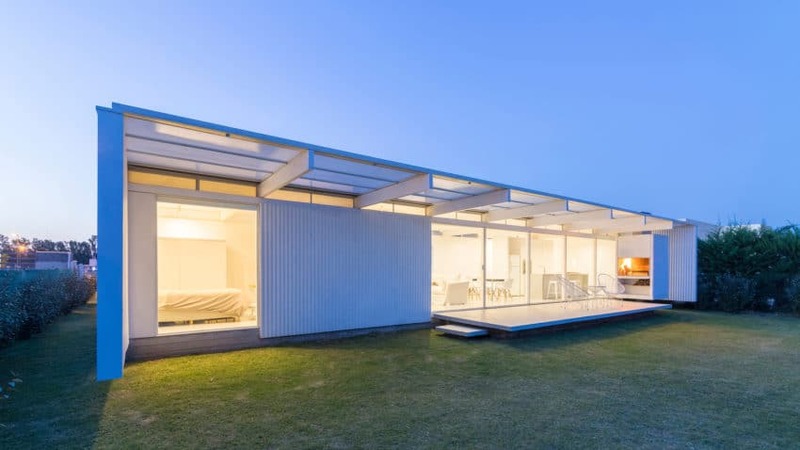 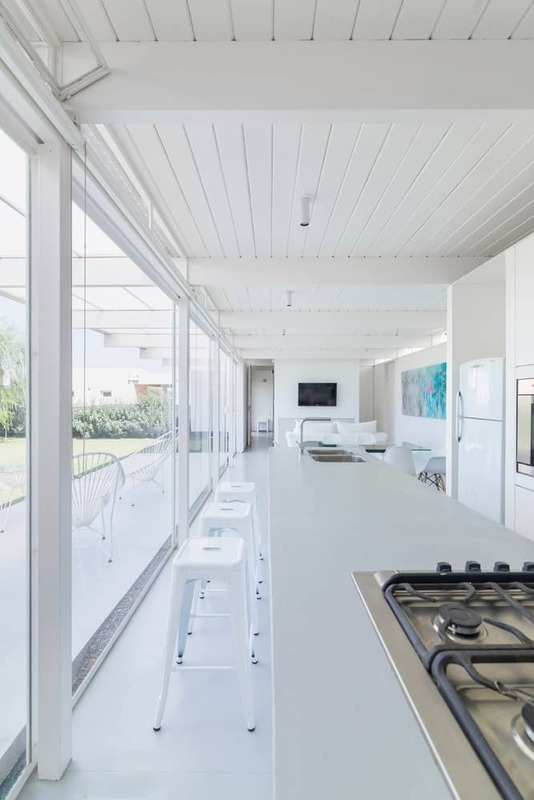 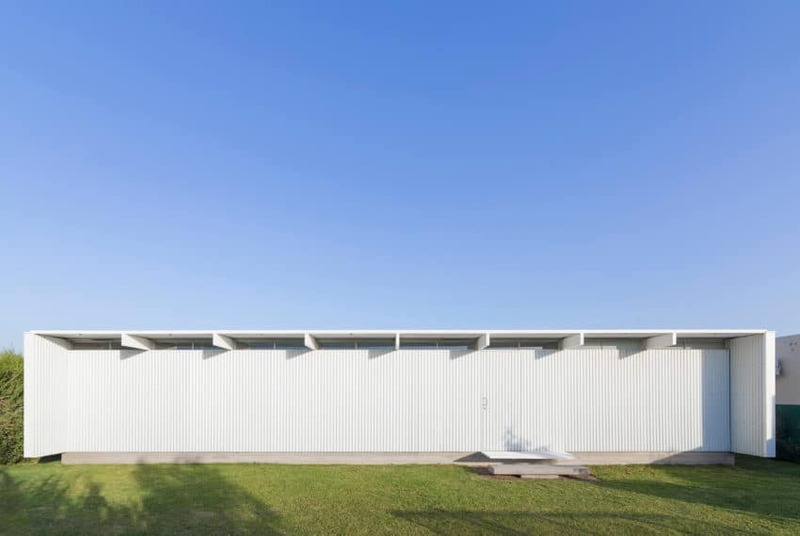 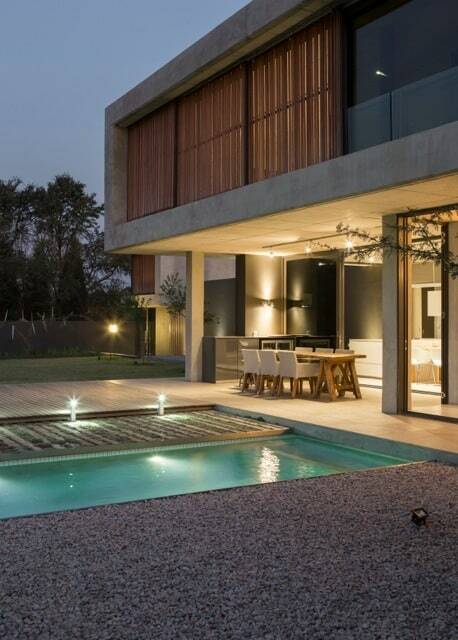 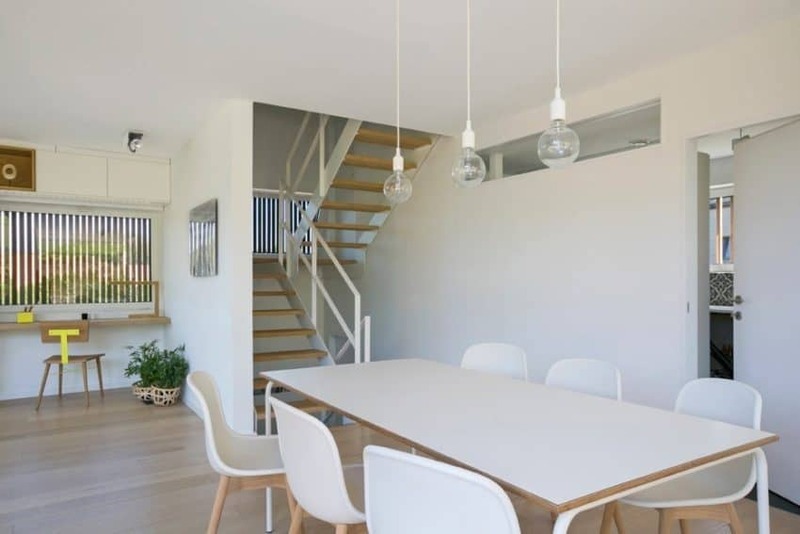 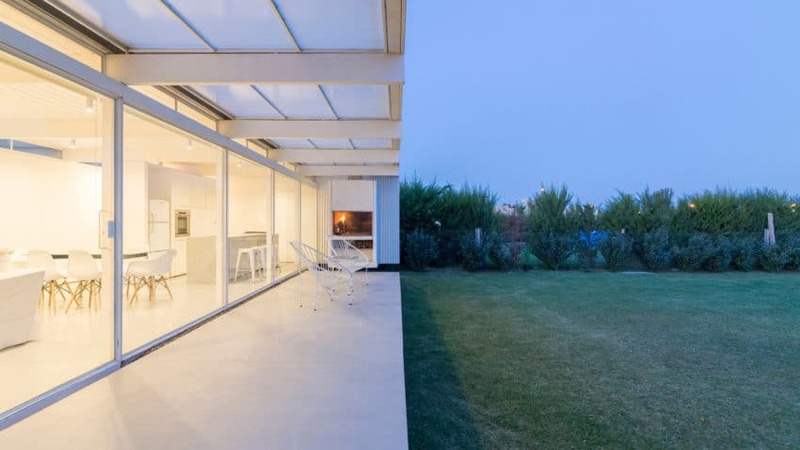 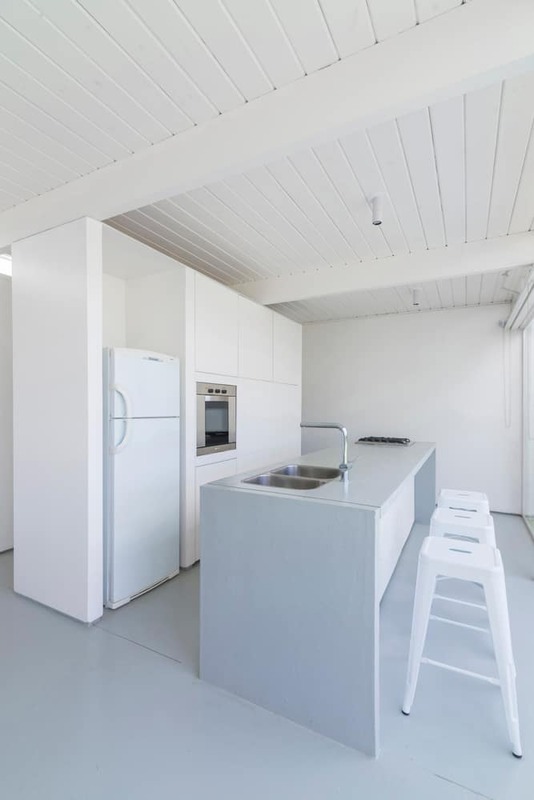 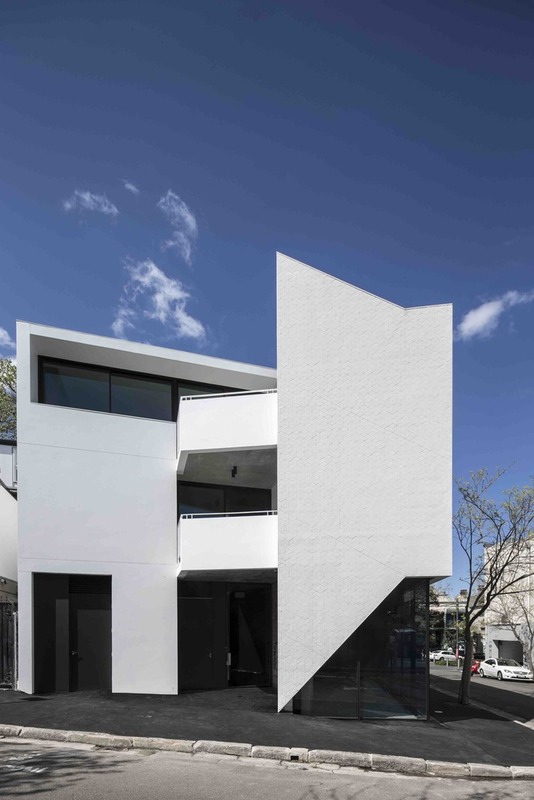 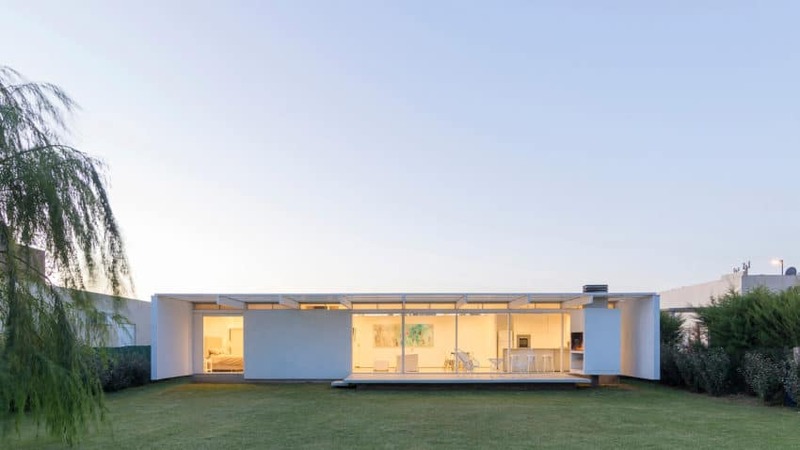 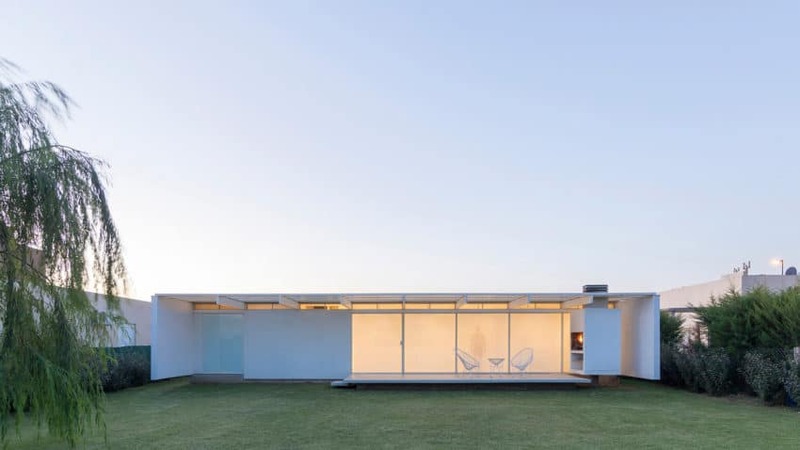 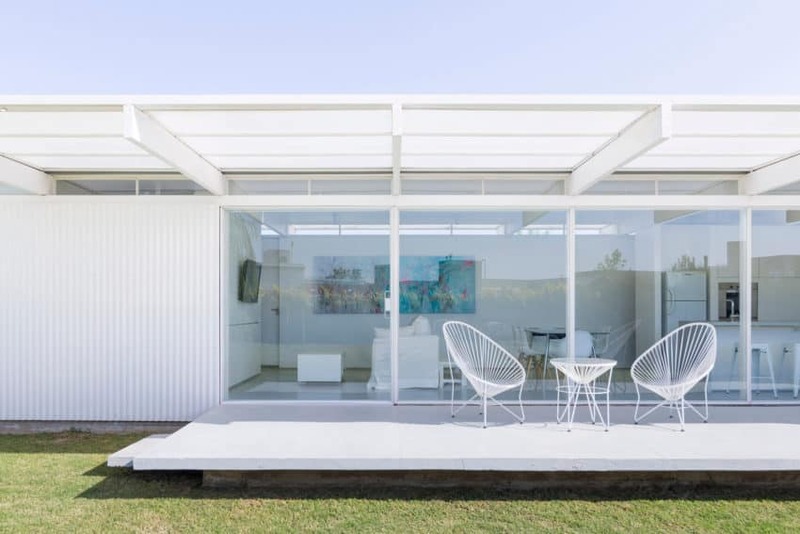 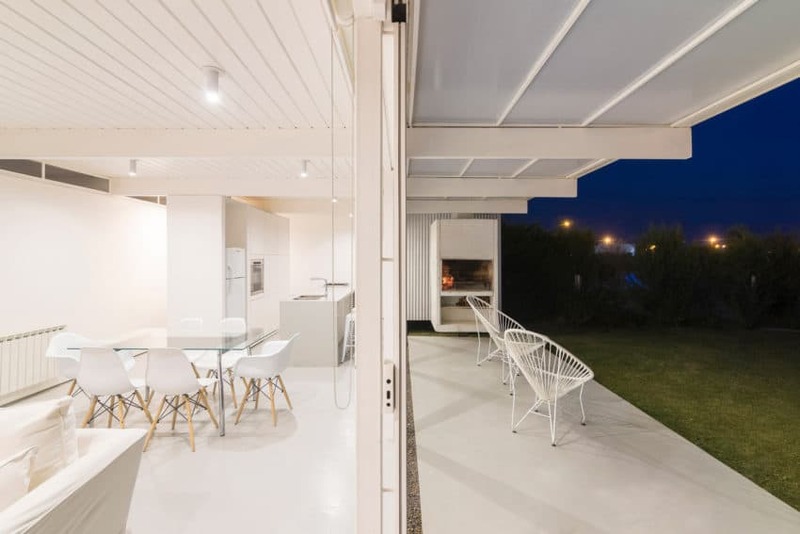 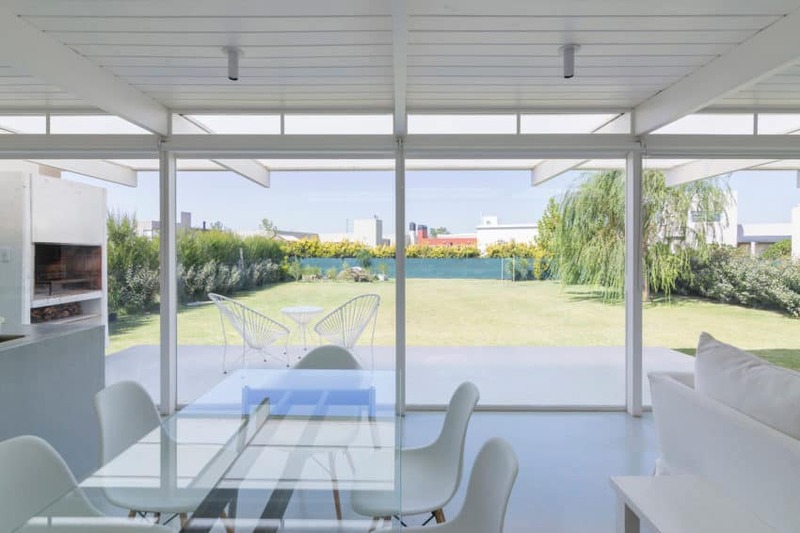 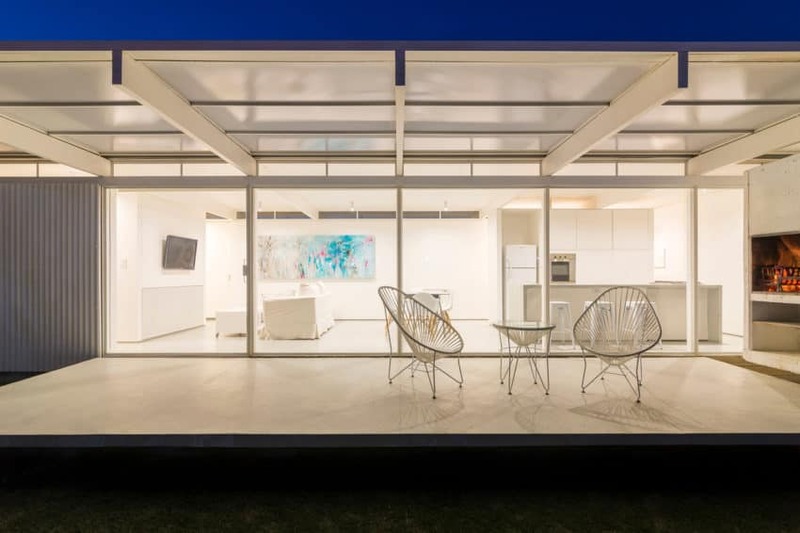 This beautiful house with white and luminous spaces is located on a plot of 730 m2 in El Maitén, a suburban residential neighborhood of the city of Bahía Blanca in Argentina. 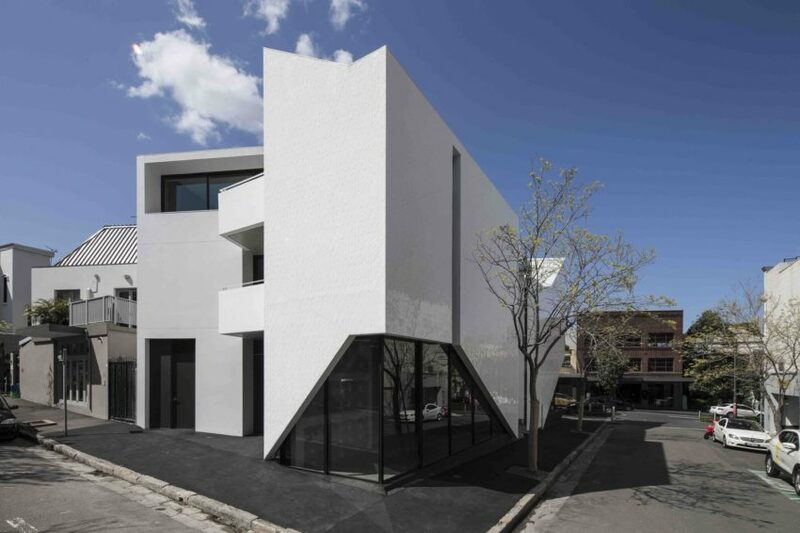 The project has been carried out recently by the architectural firm Bernardo Rosello – Arquitectura. 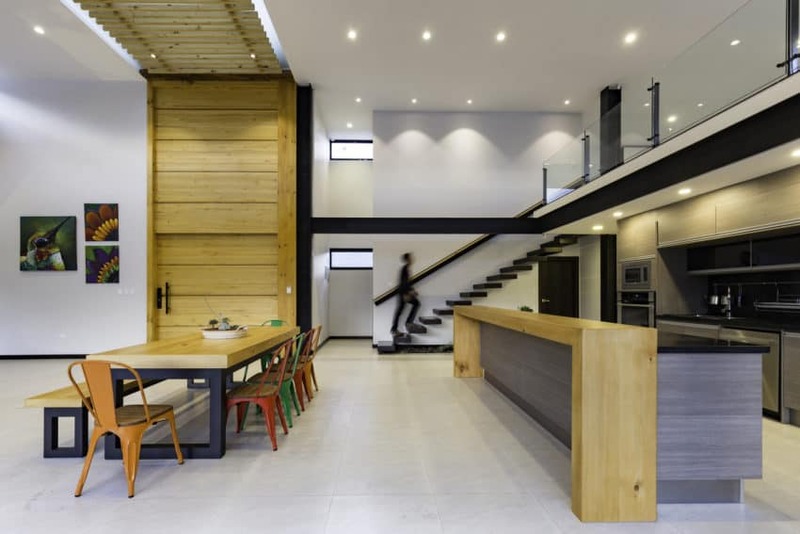 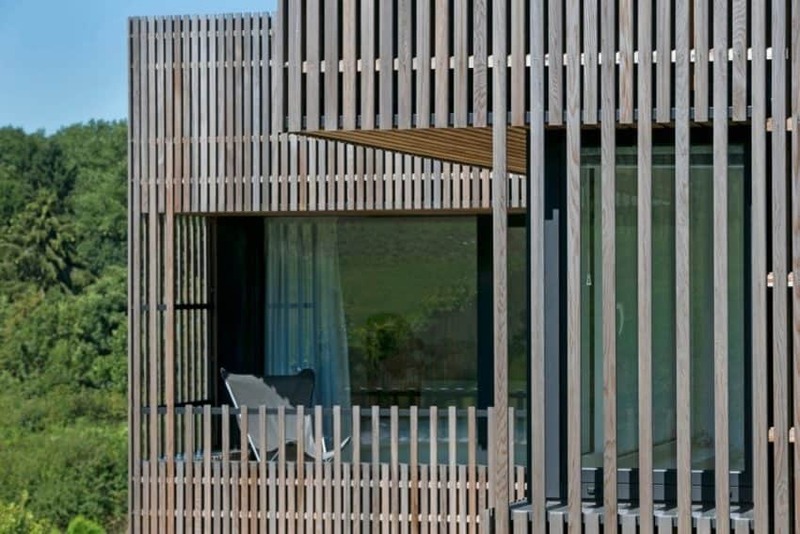 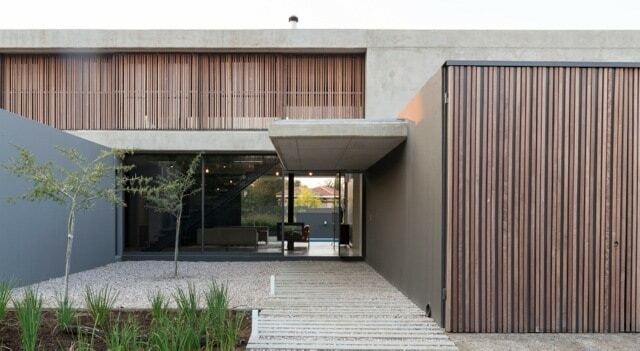 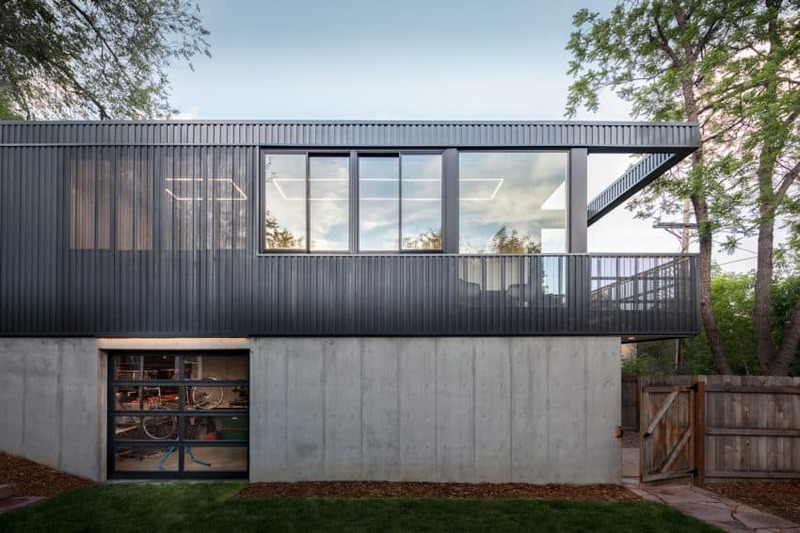 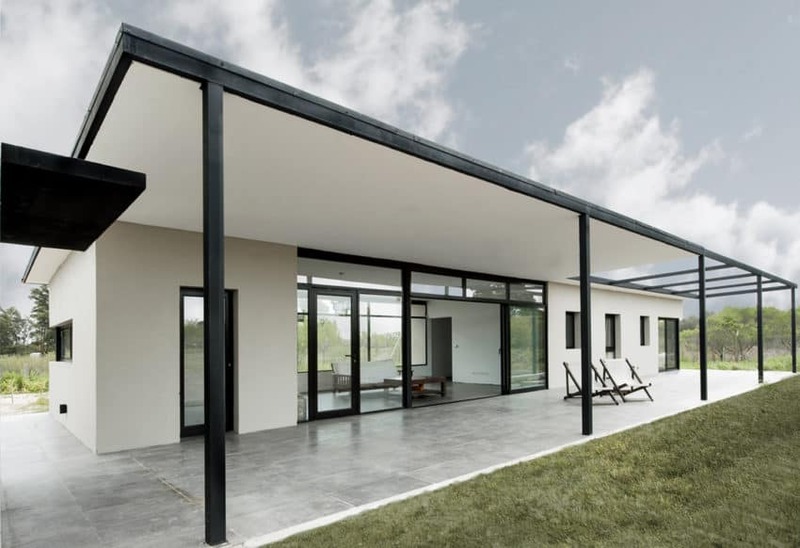 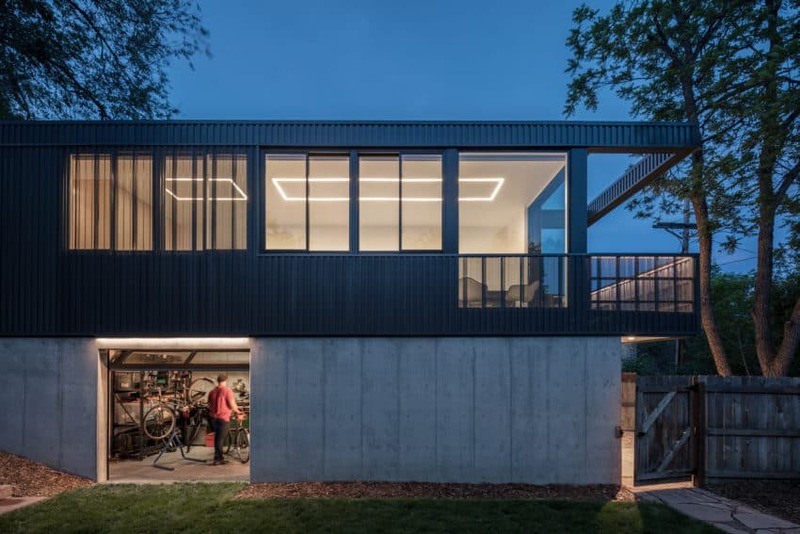 The house is made with a mixed construction system, consisting of support walls and columns that support modulated laminated wooden beams every two meters. 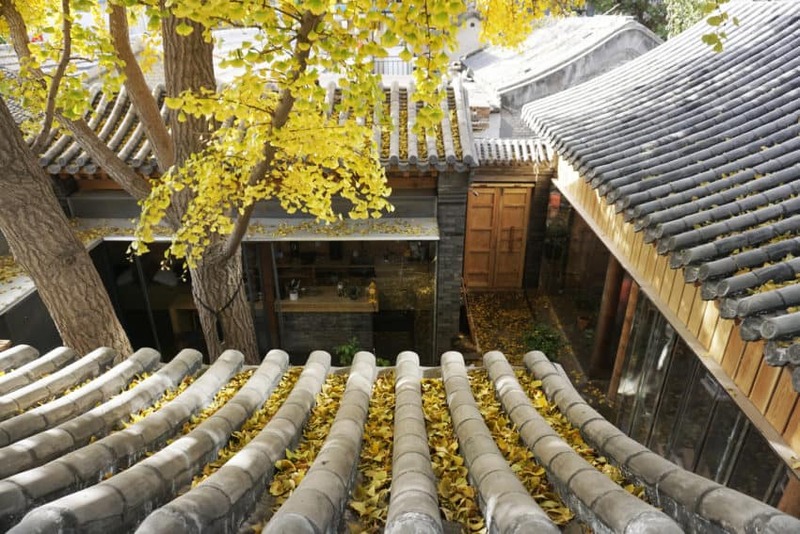 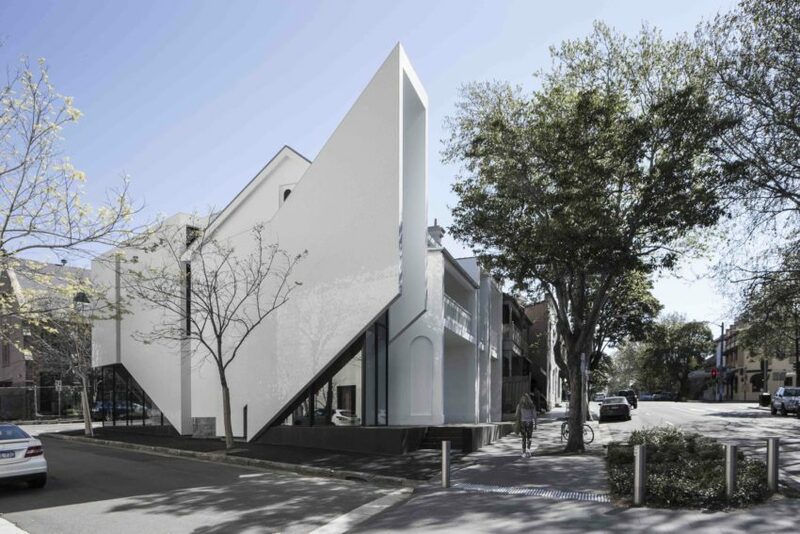 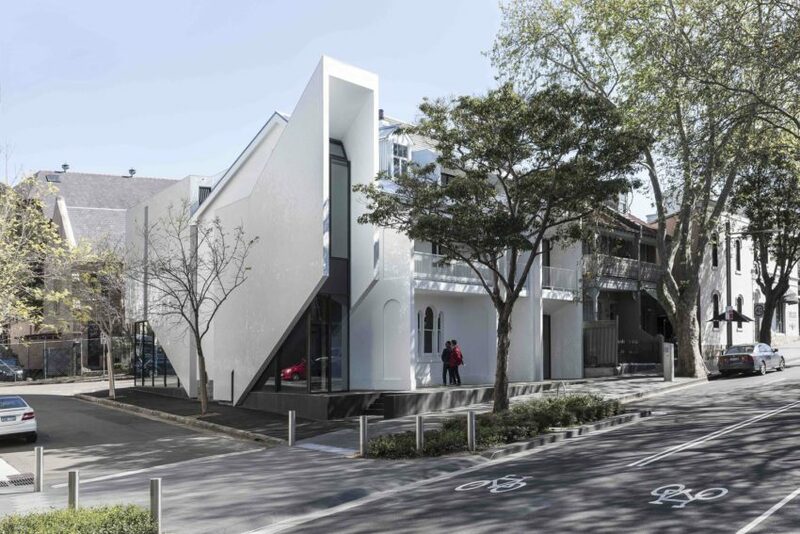 The roof is made with a single leaf, slightly curved, which drains with slopes towards both façades. 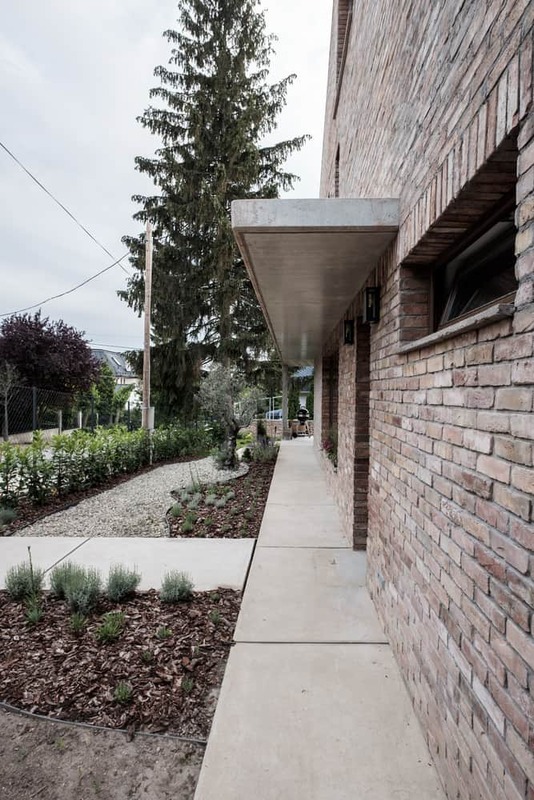 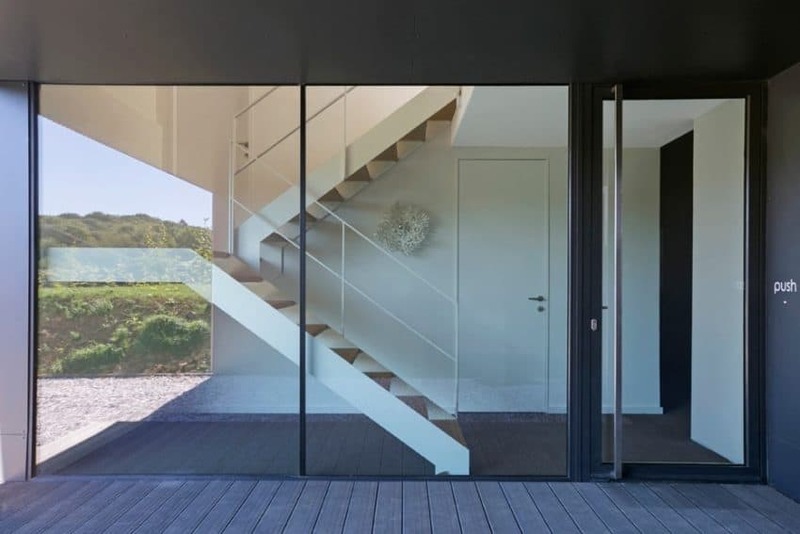 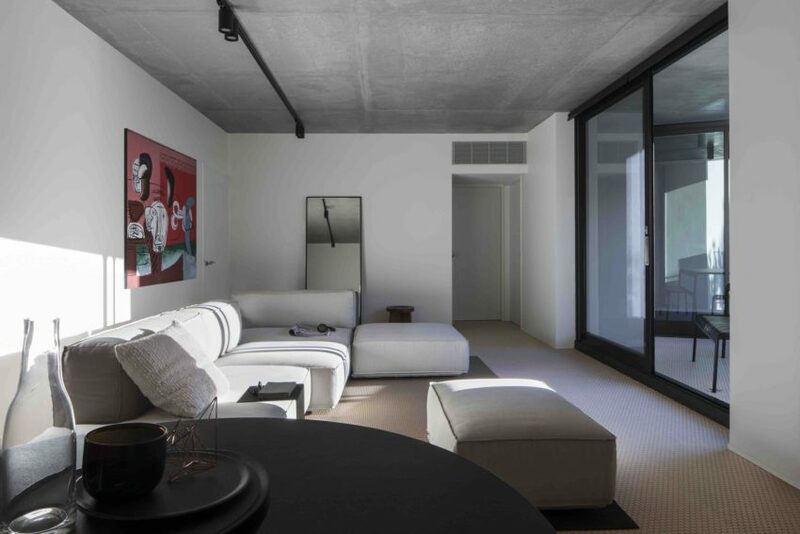 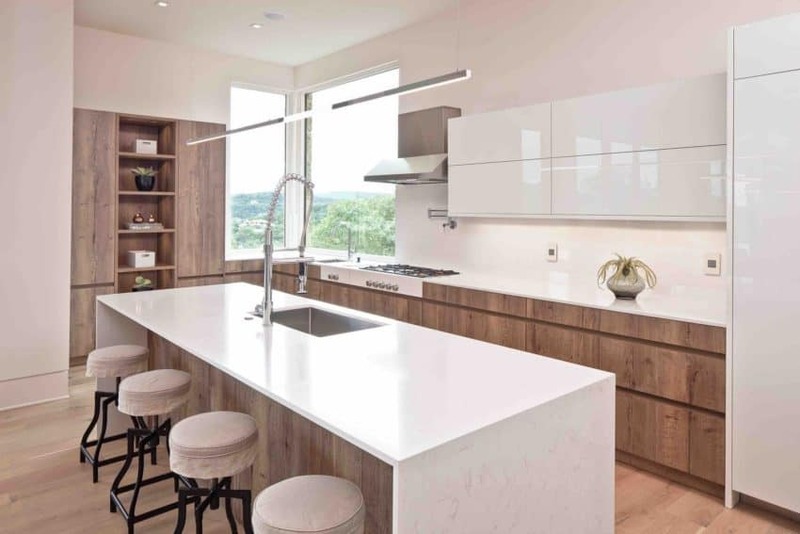 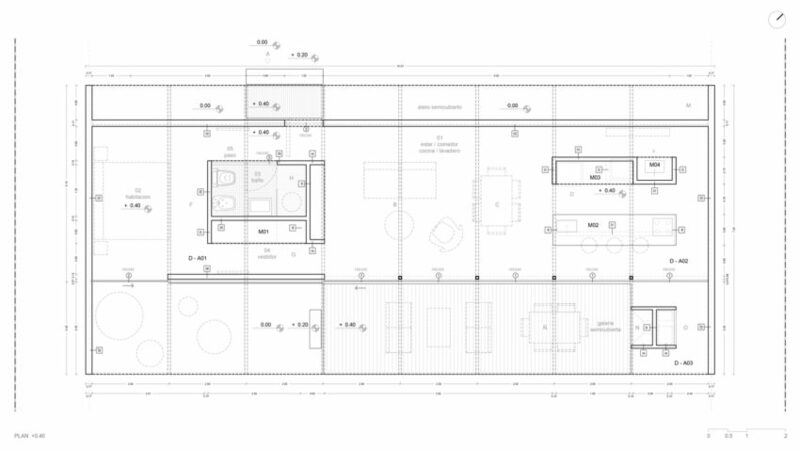 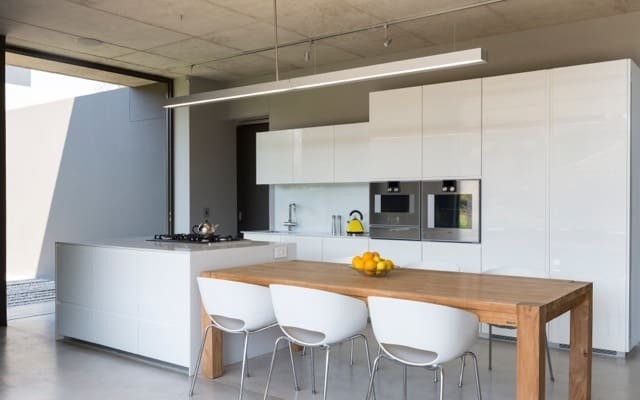 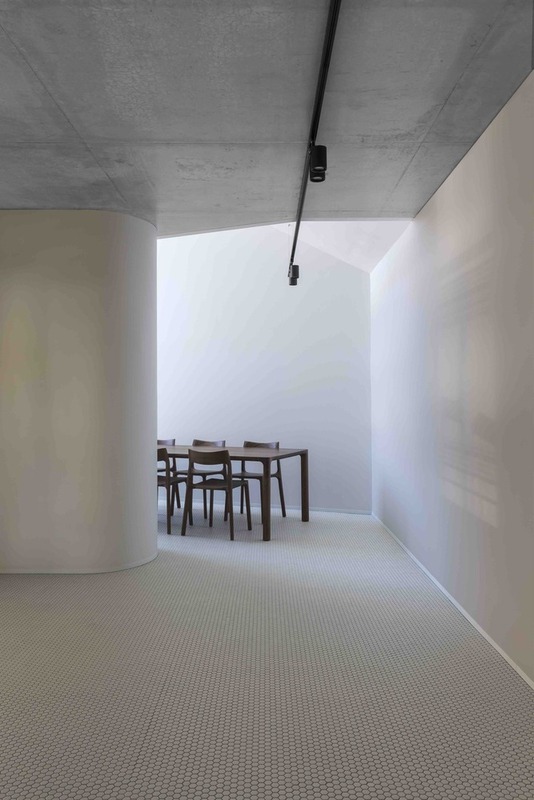 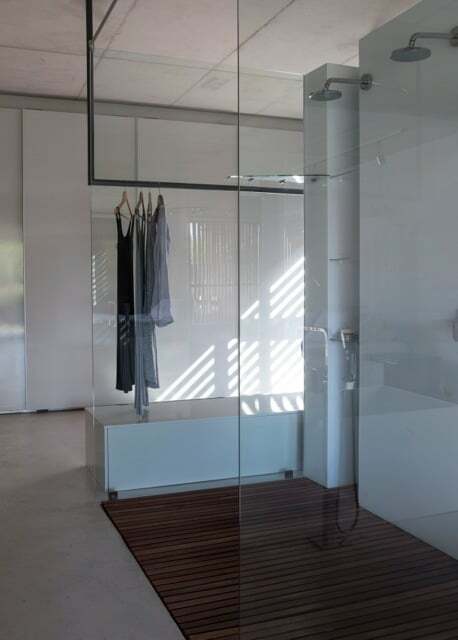 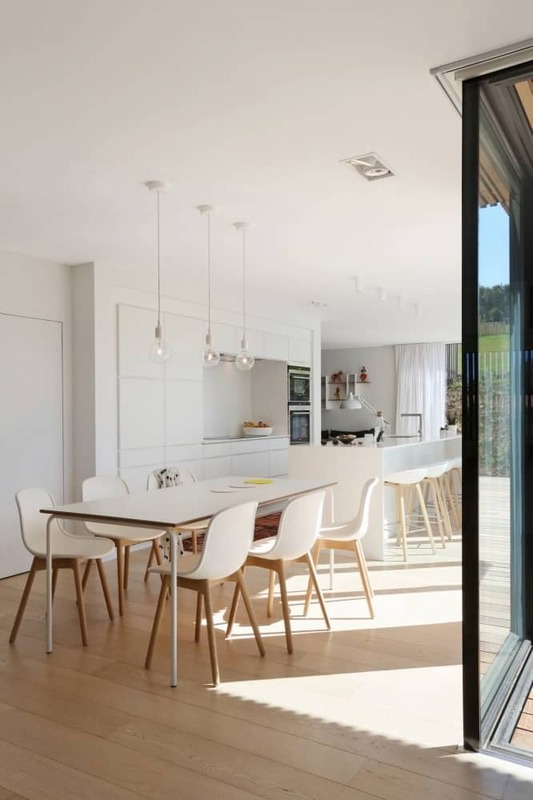 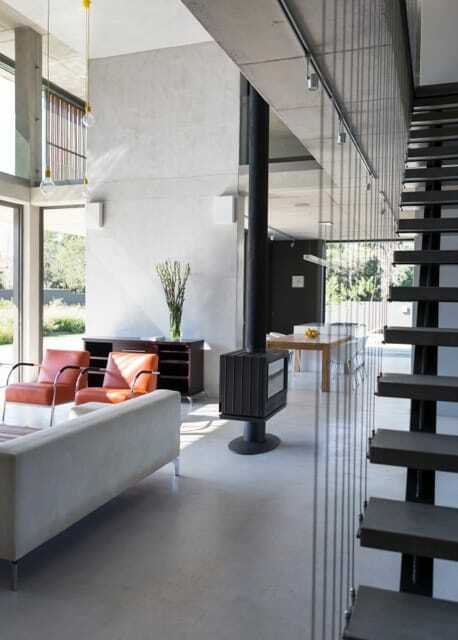 At the request of the owner, two stages of construction were carried out: a house with an area of 70 m² plus the gallery, which meets the needs of basic use for the individual user, and the second stage with two bedrooms and a bathroom for future growth. 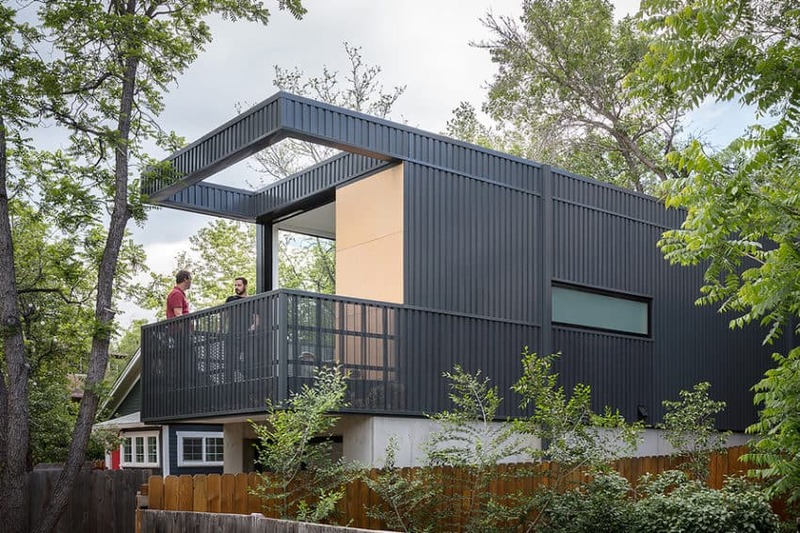 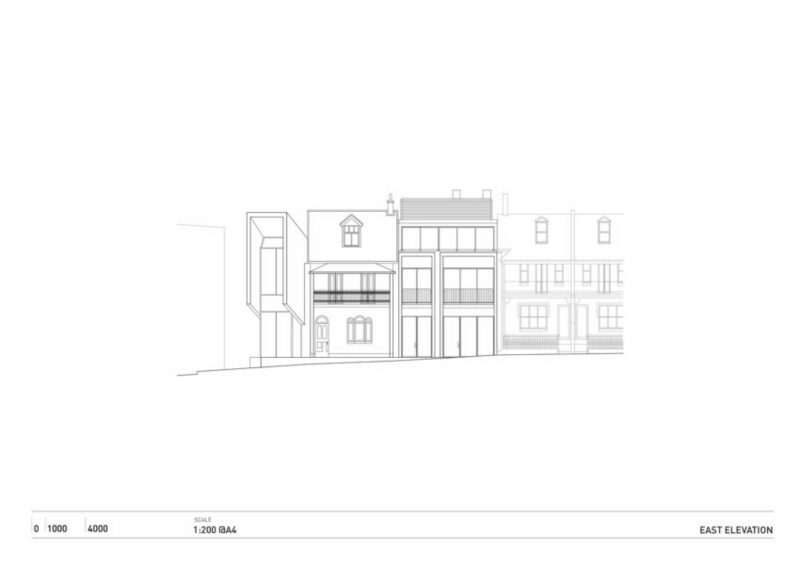 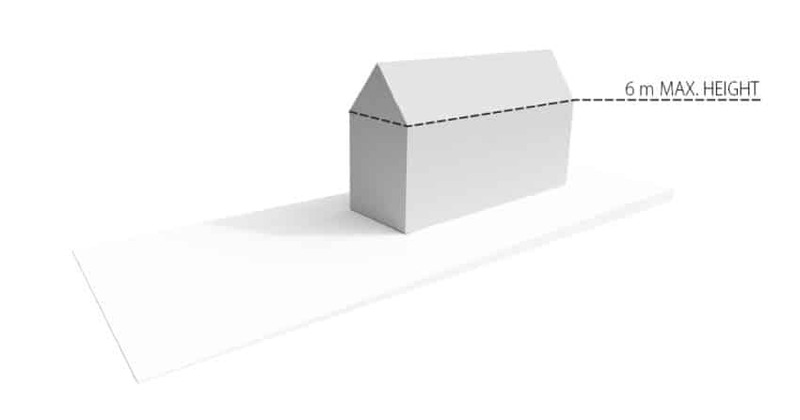 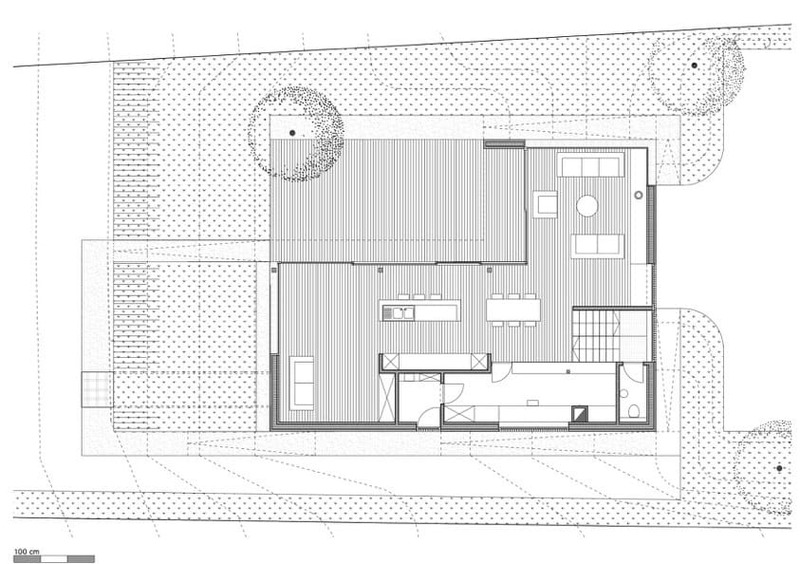 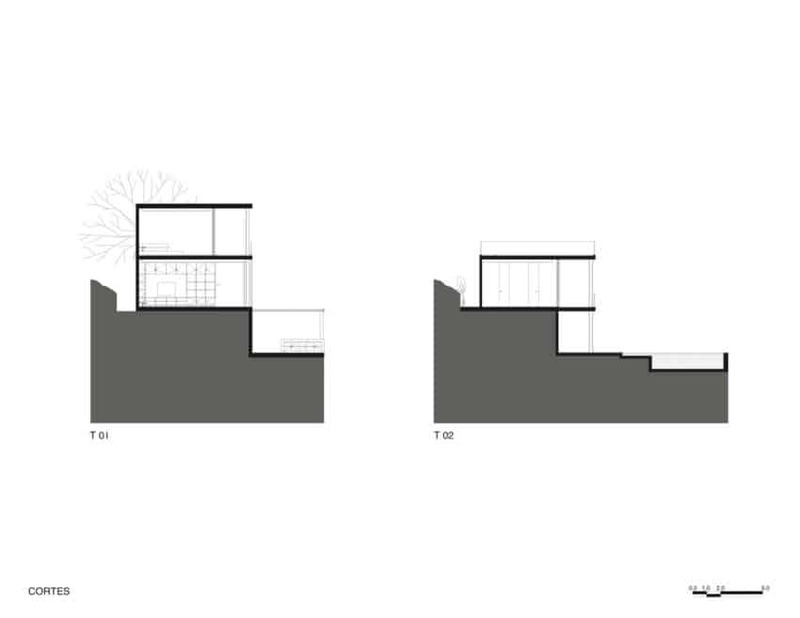 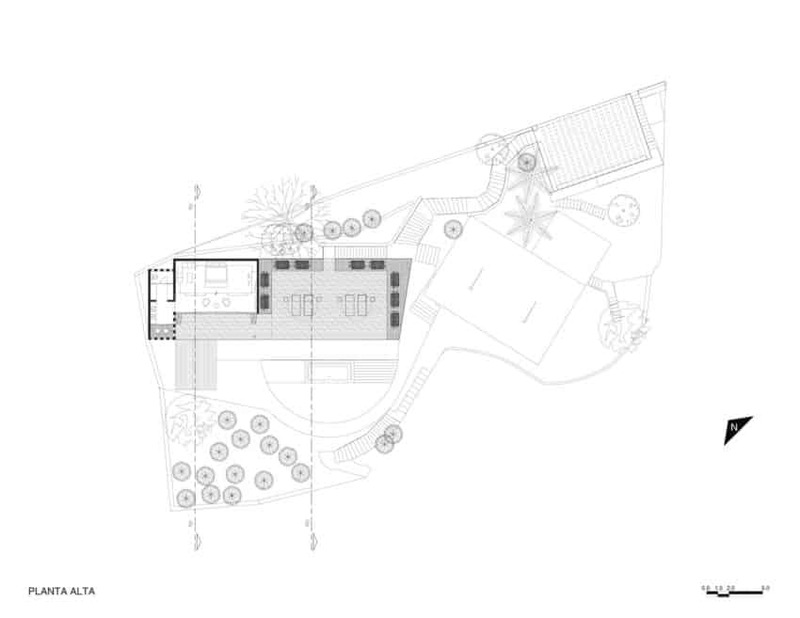 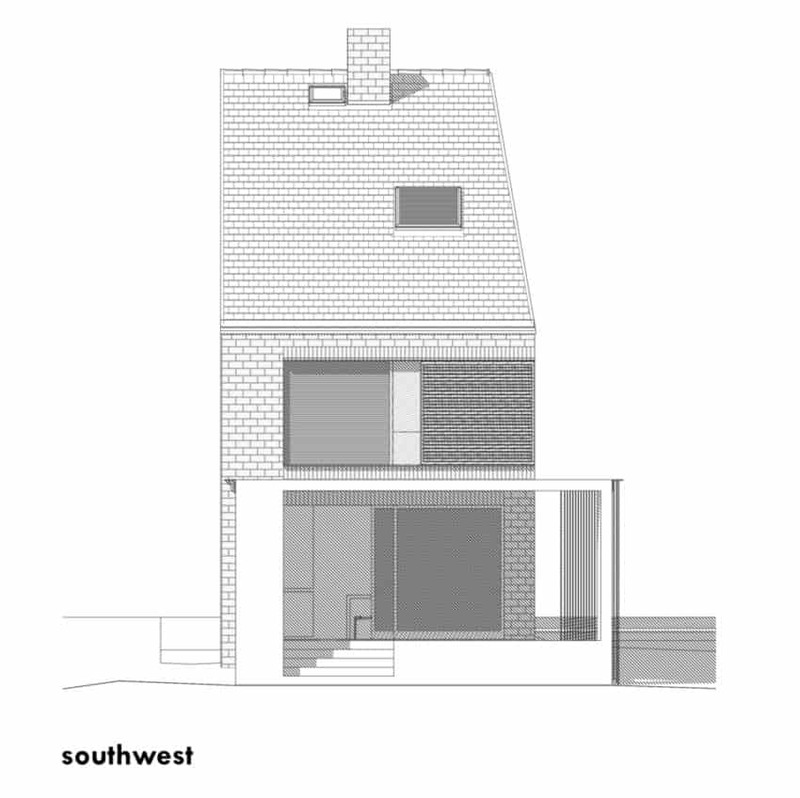 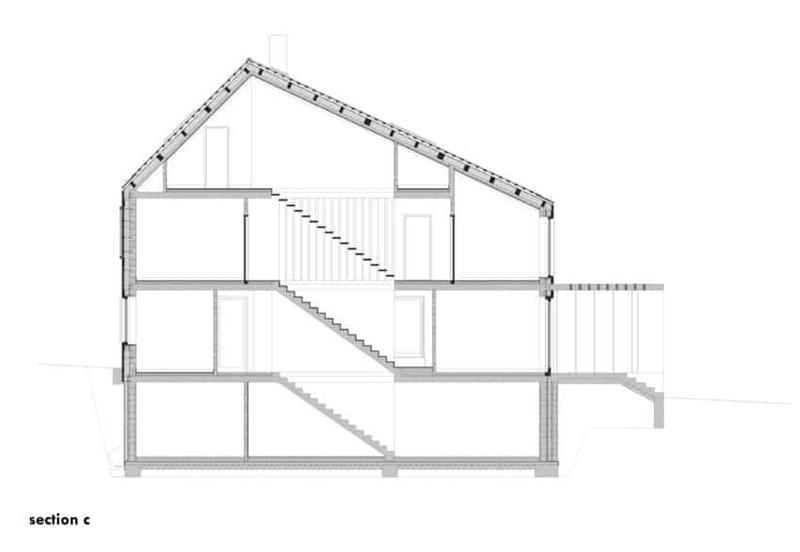 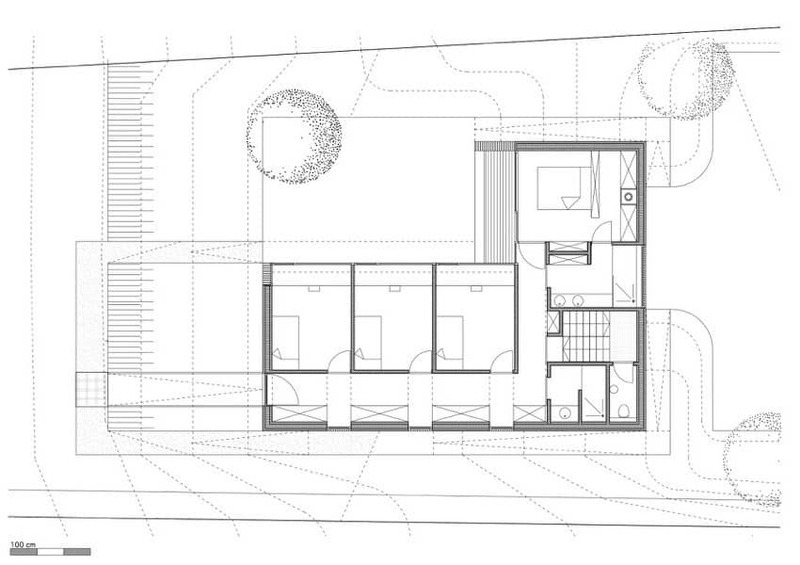 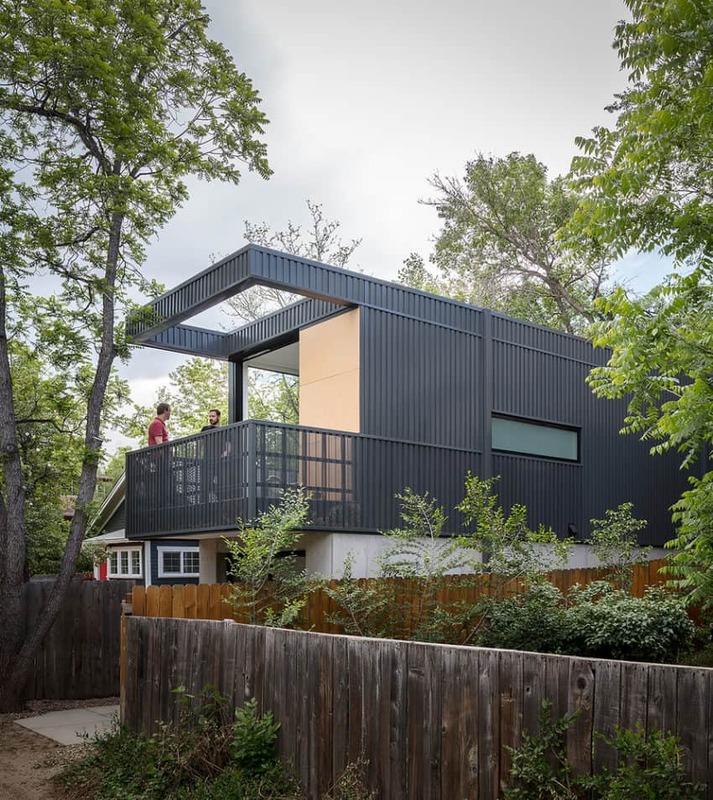 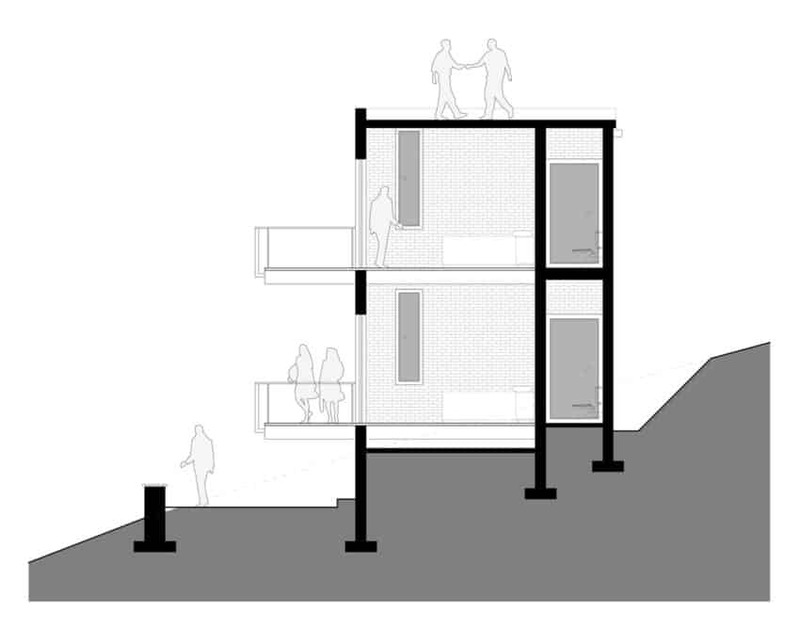 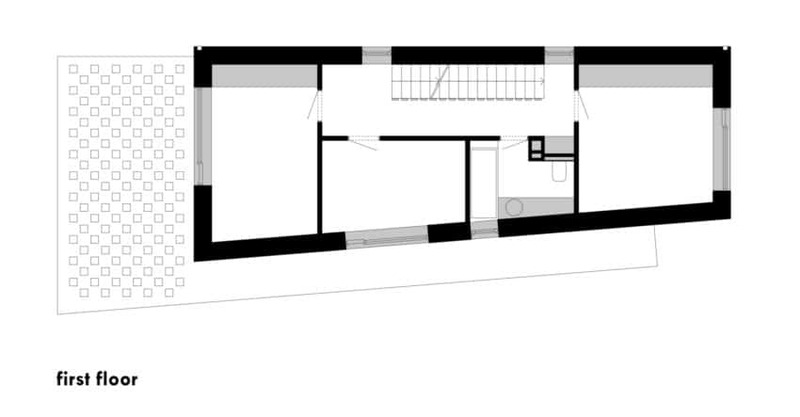 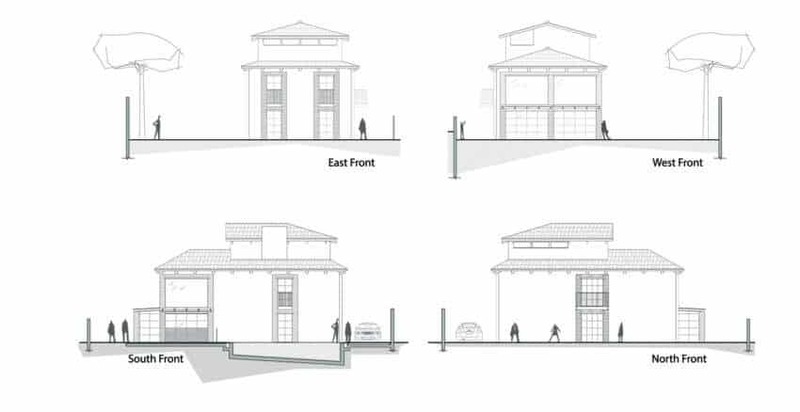 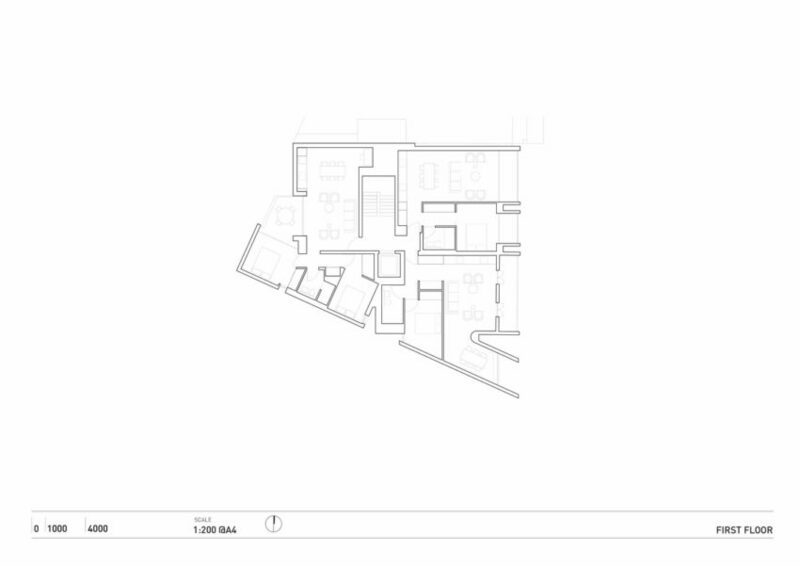 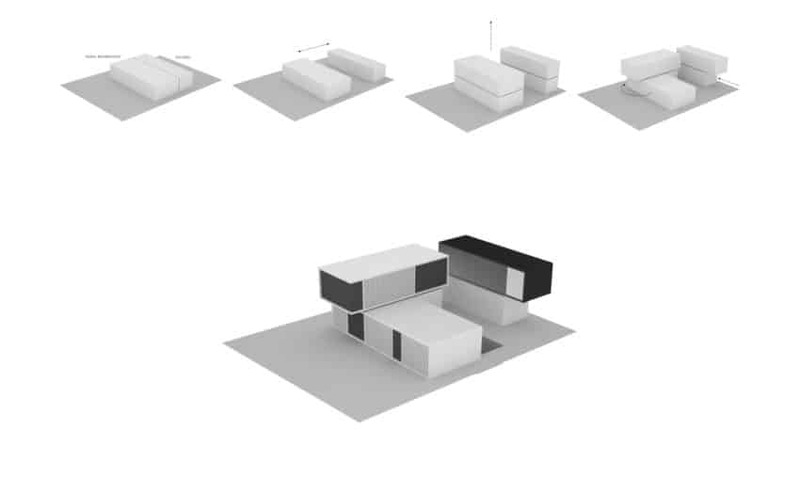 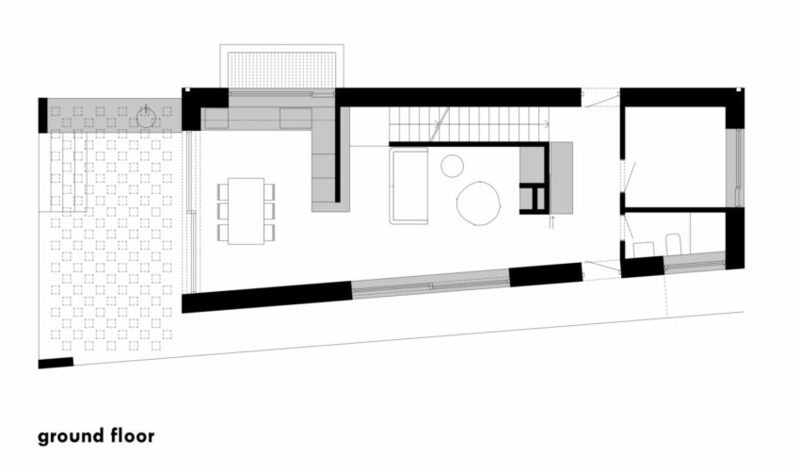 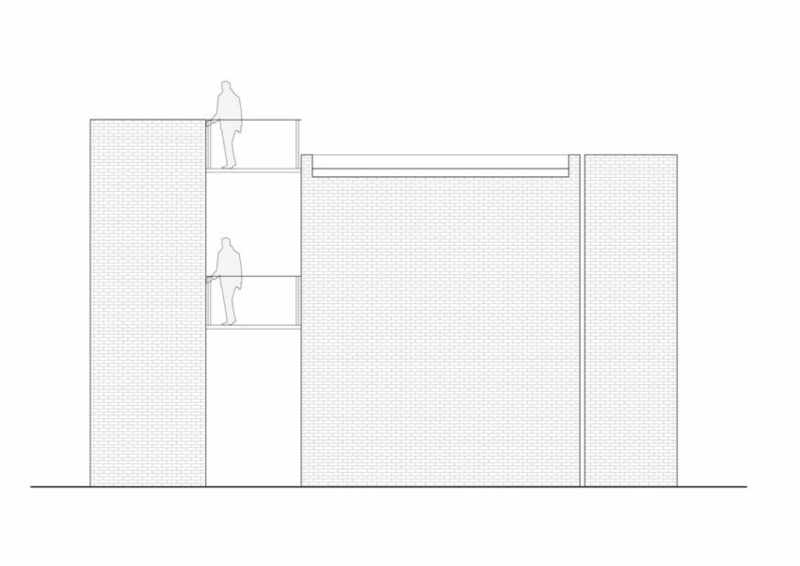 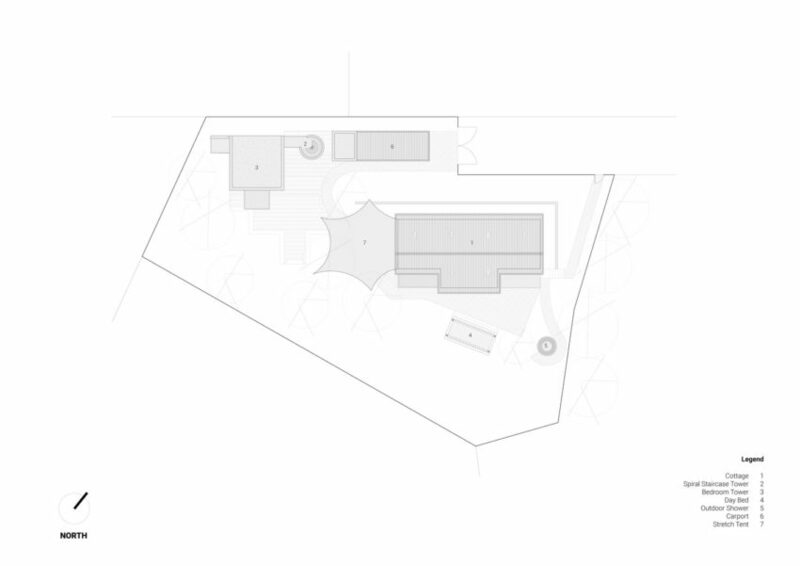 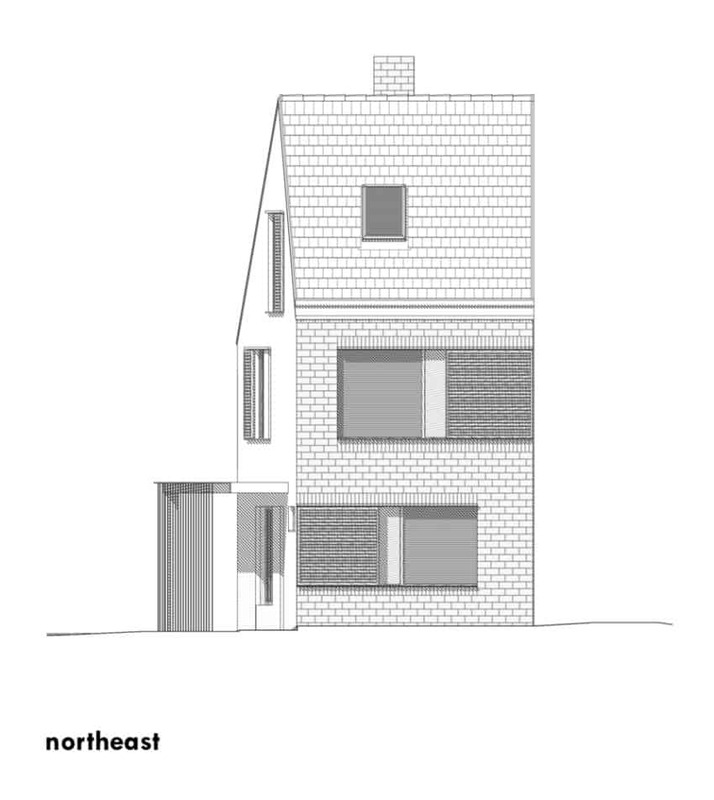 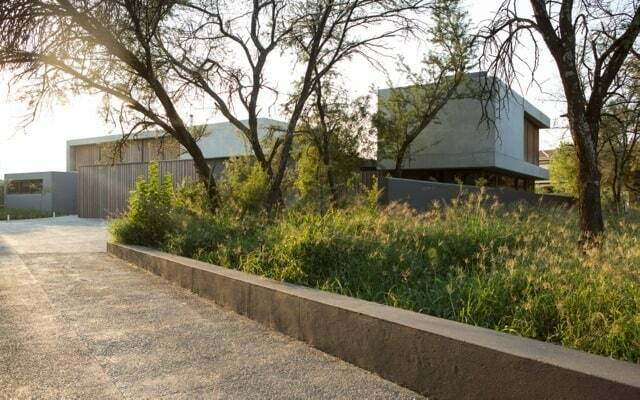 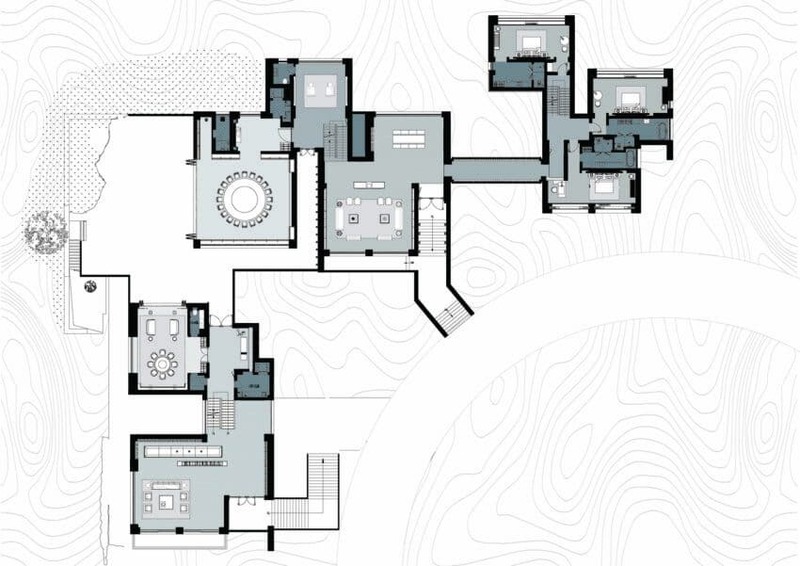 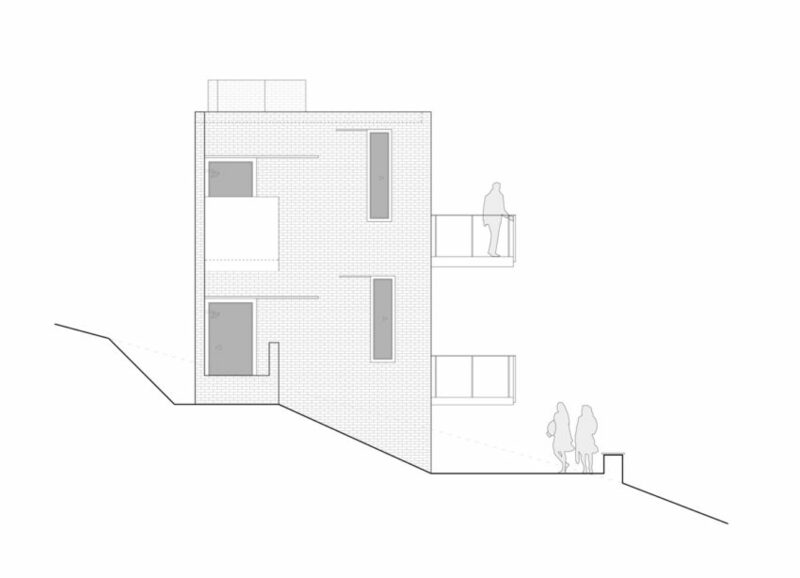 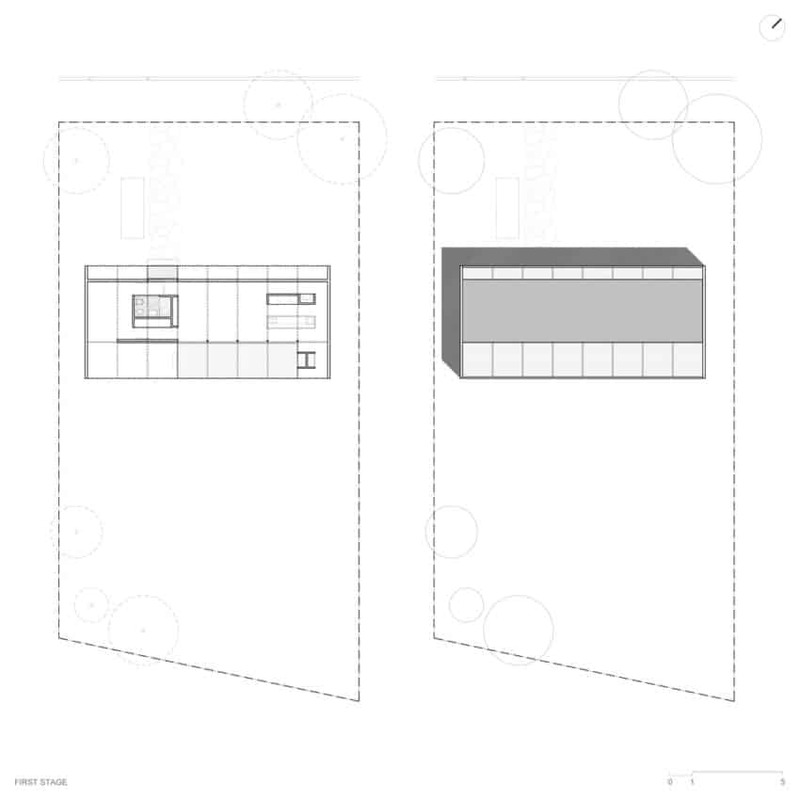 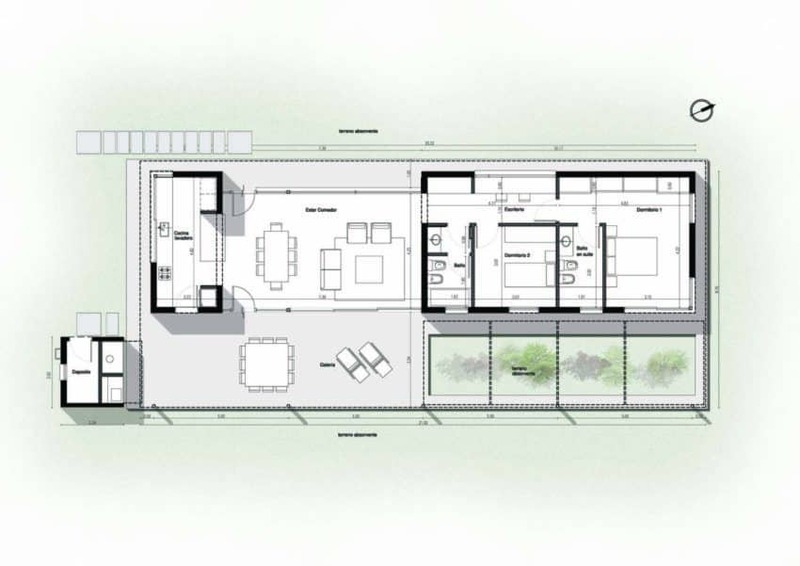 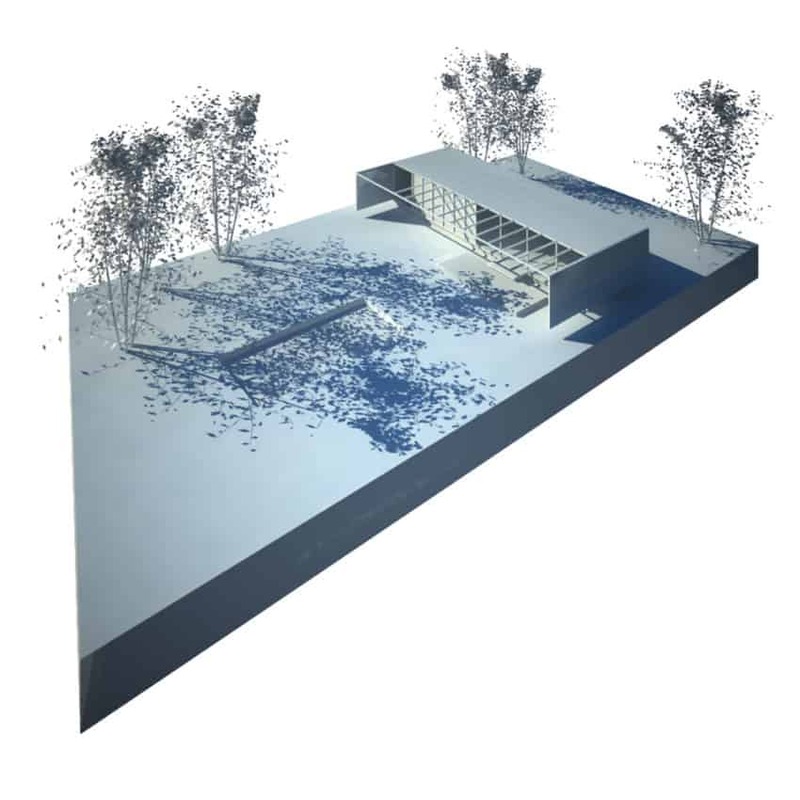 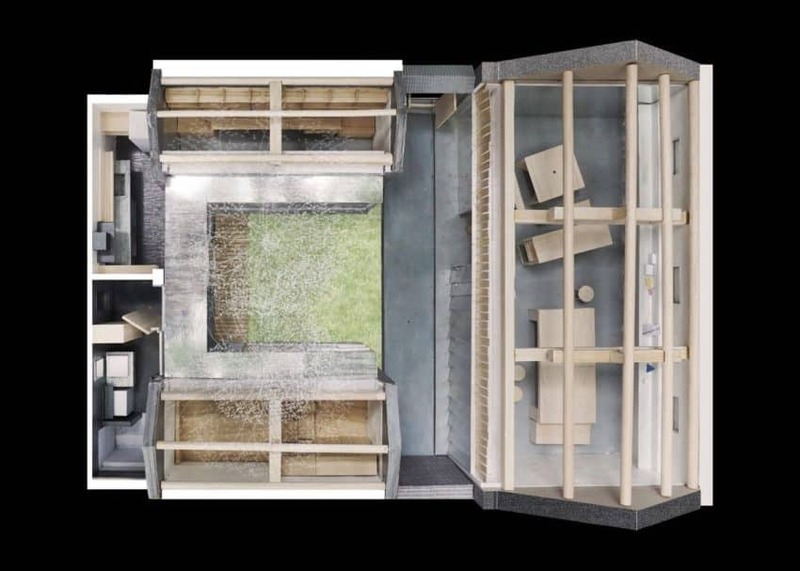 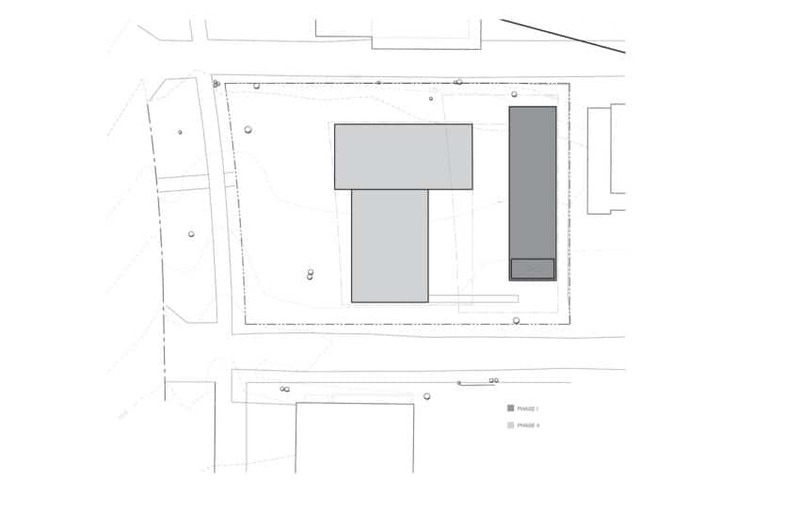 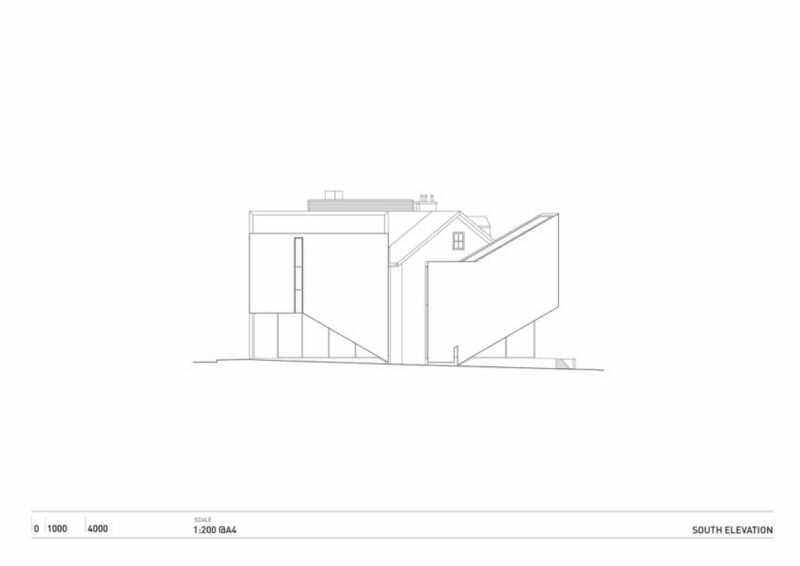 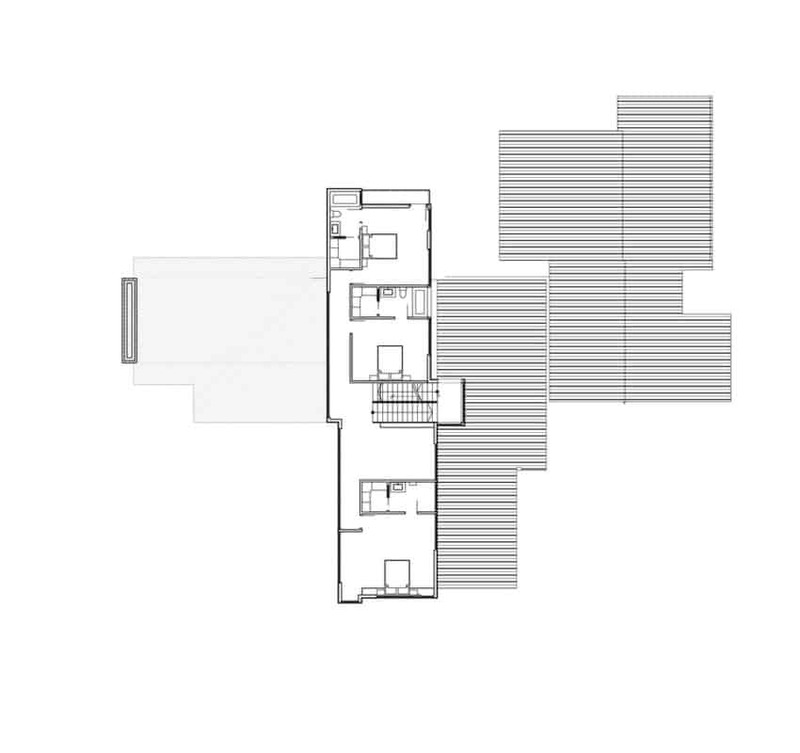 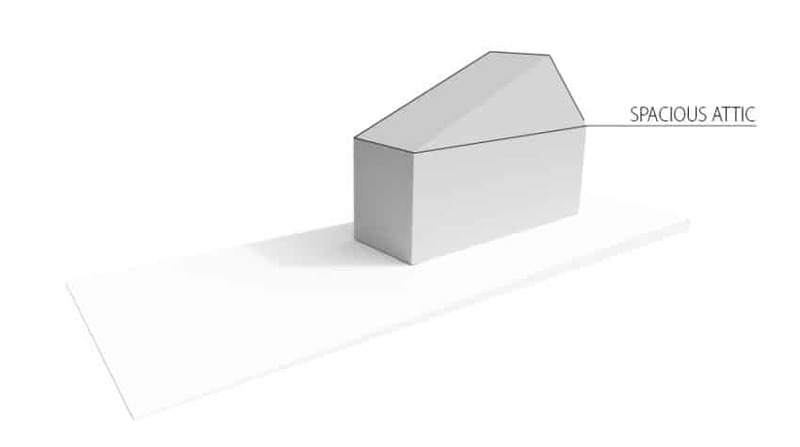 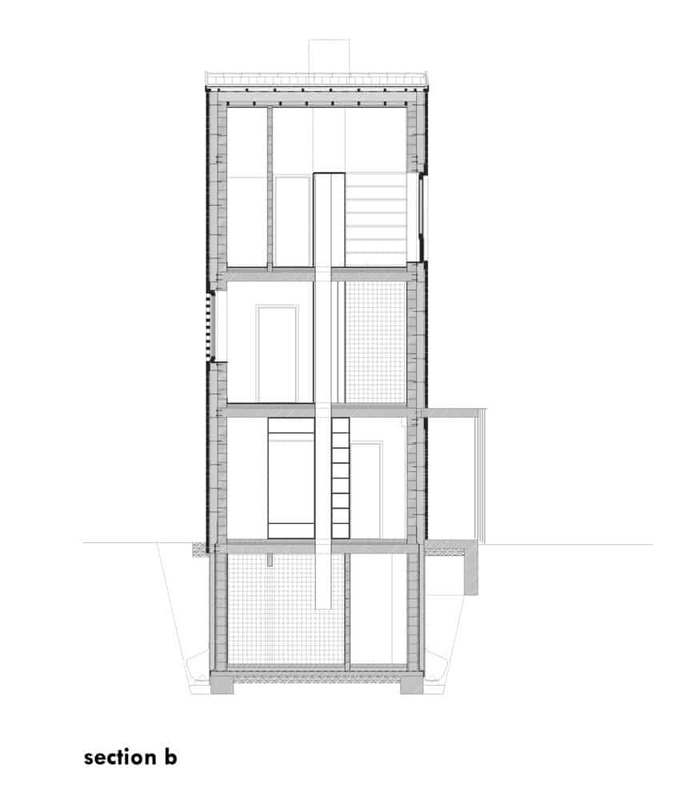 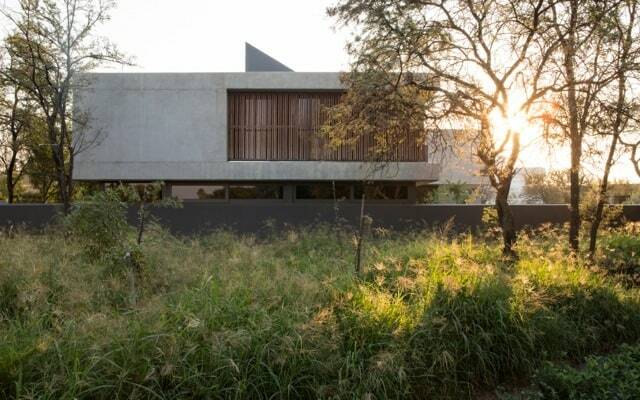 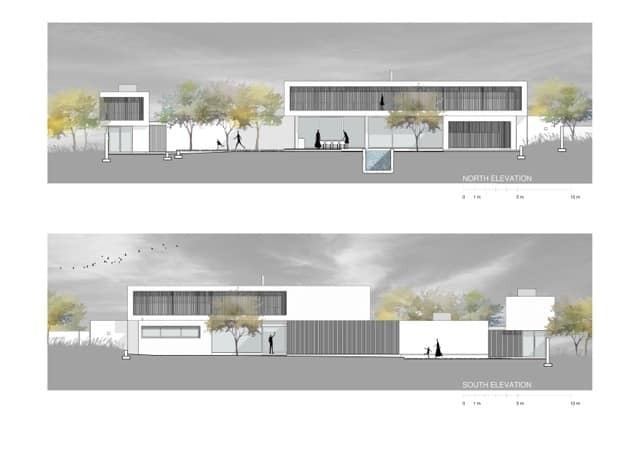 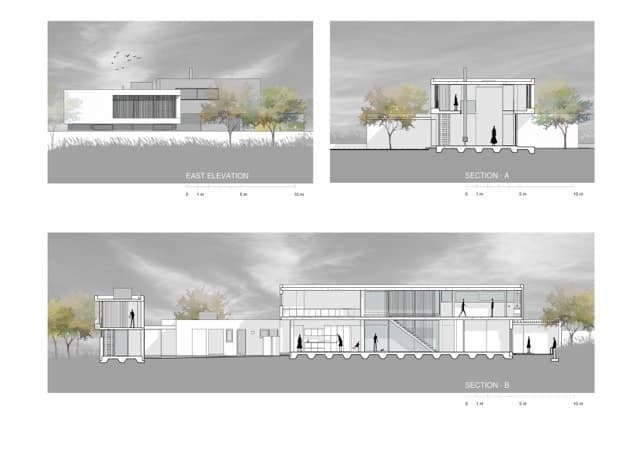 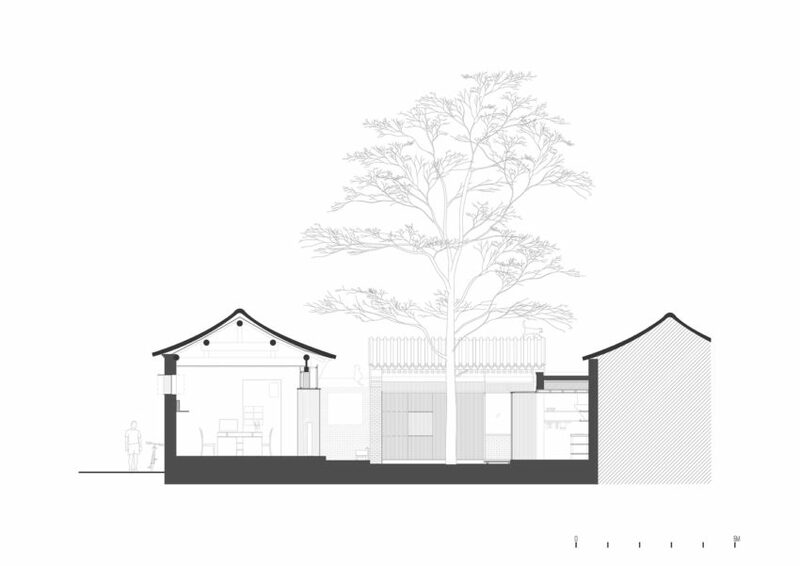 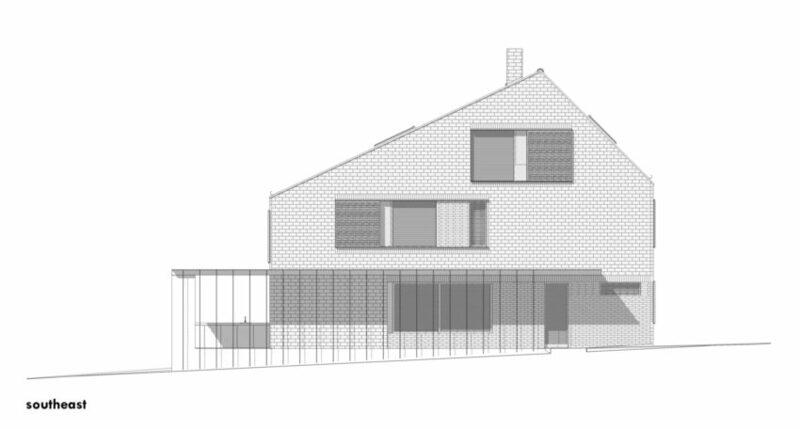 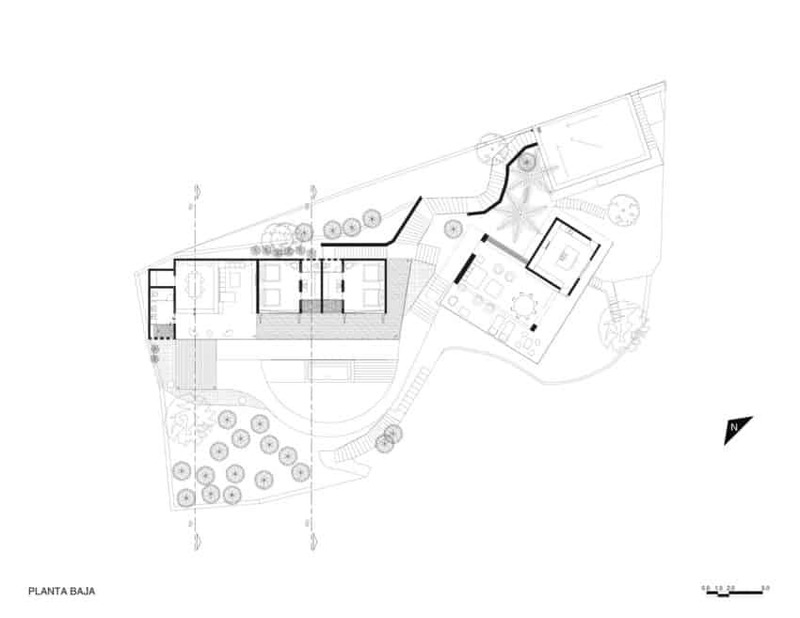 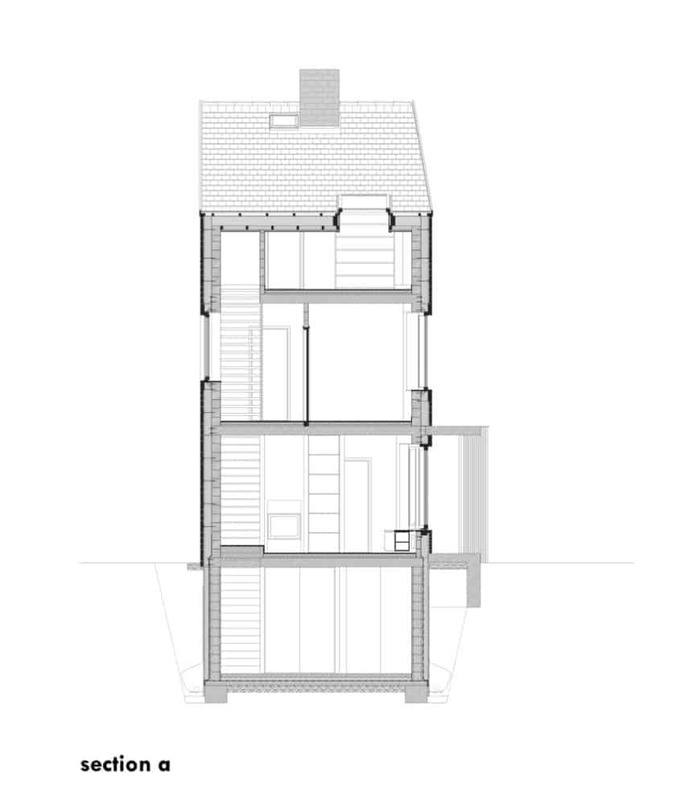 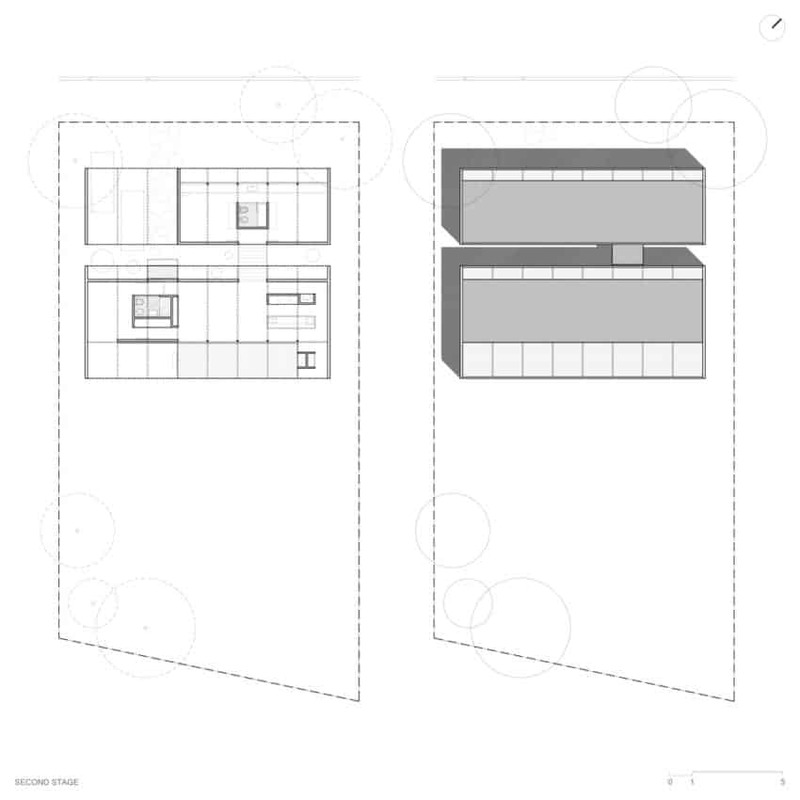 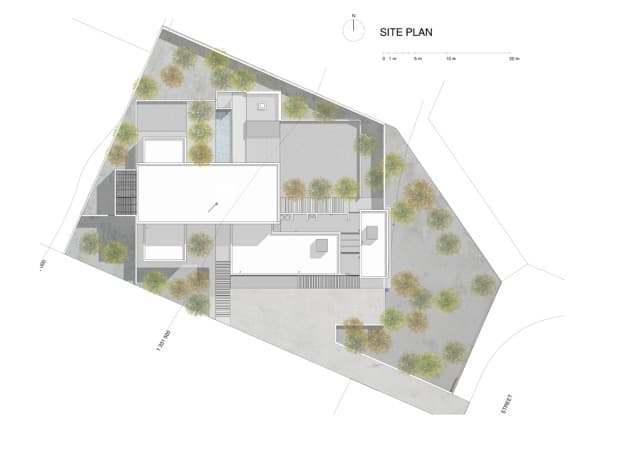 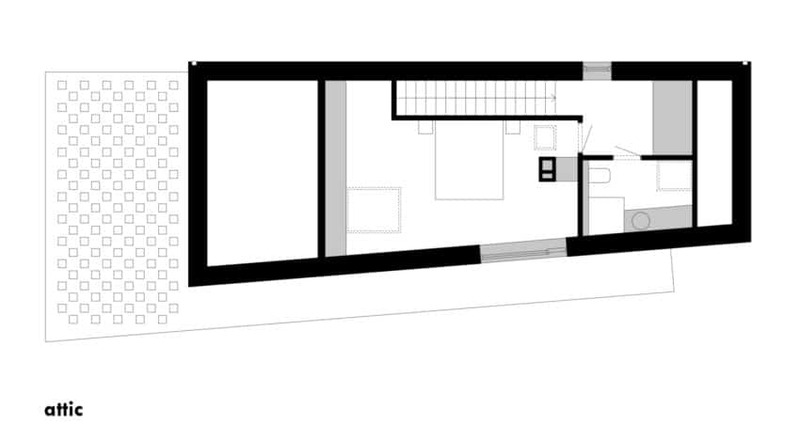 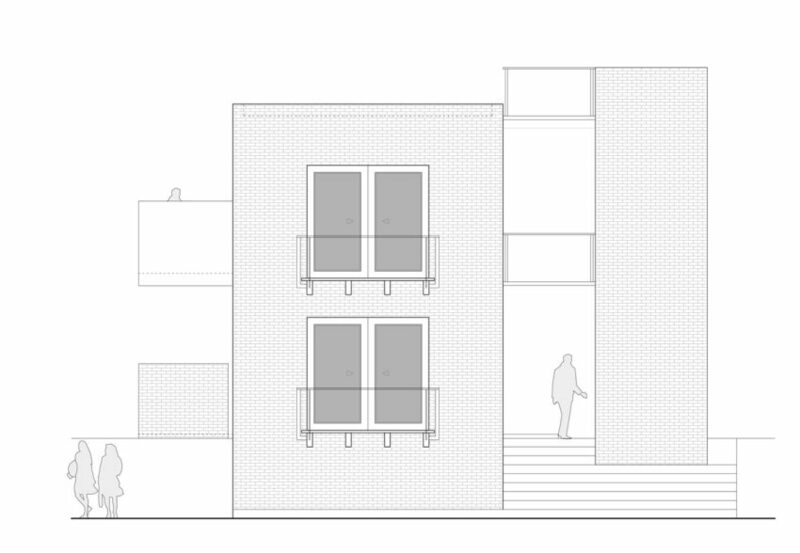 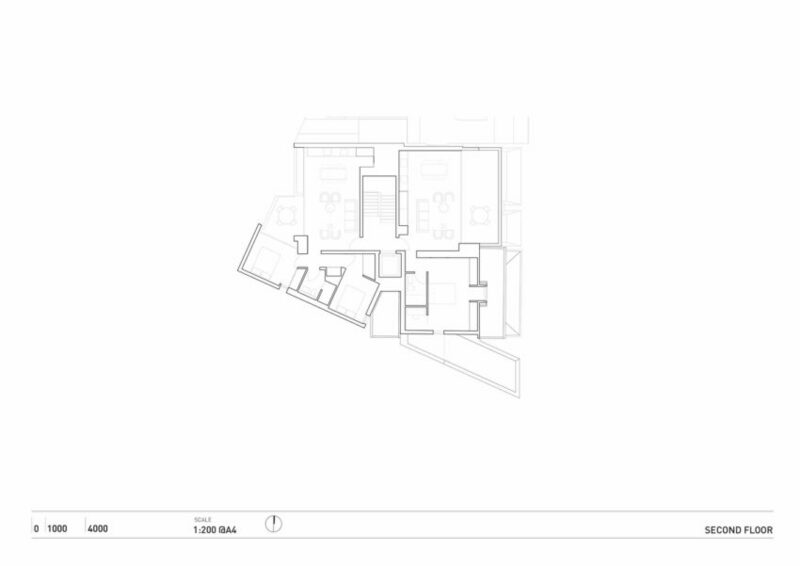 The positioning of the house in the lot is transversal, leaving 2 empty spaces: one back where the garden is located that is visually related to the main interior spaces and is frequently used (first stage); and one at the front, planned to position the second stage of construction. 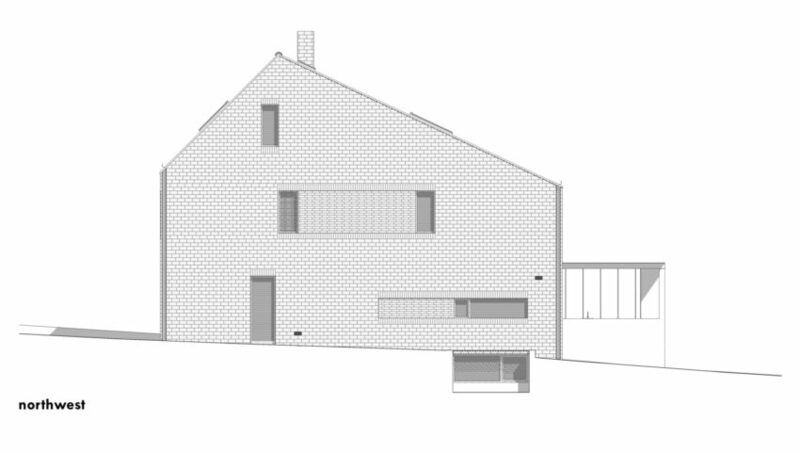 Towards the west, the house closes in its entirety to protect itself from the hostile sun in summer. 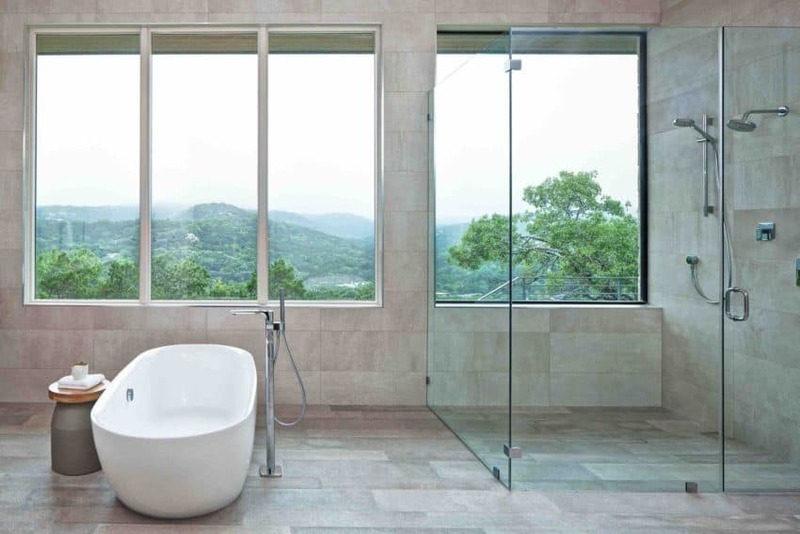 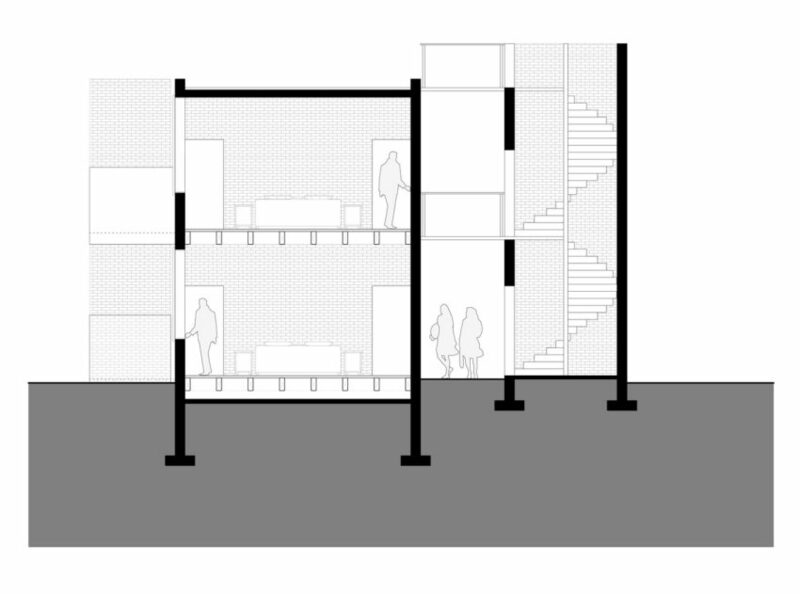 Only high windows are projected to guarantee the interior movement of the air, renewing its volume in a few minutes. 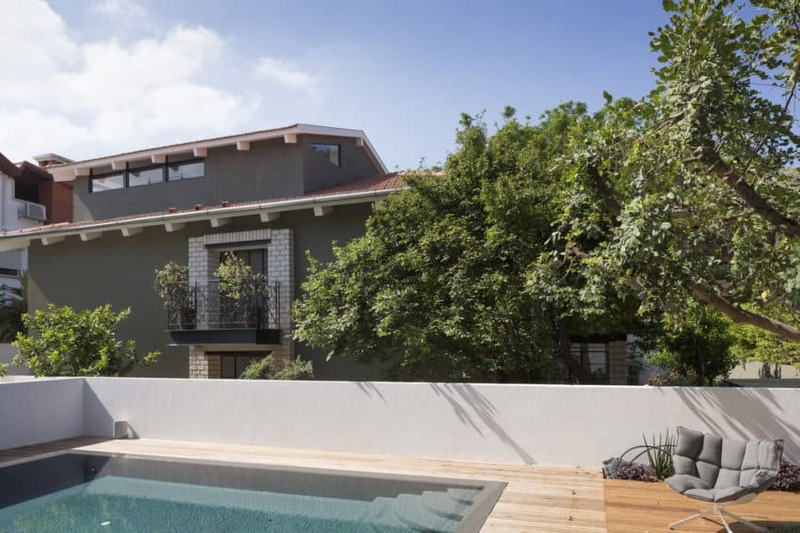 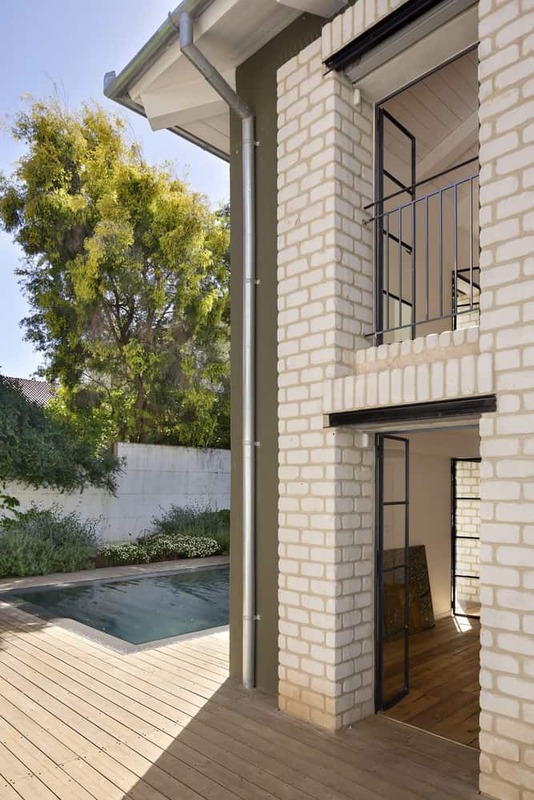 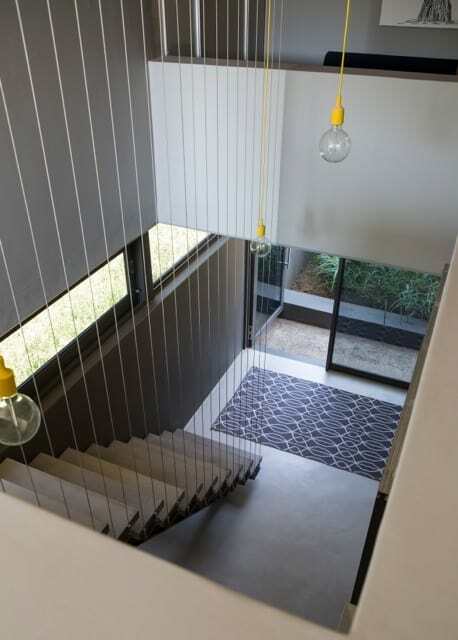 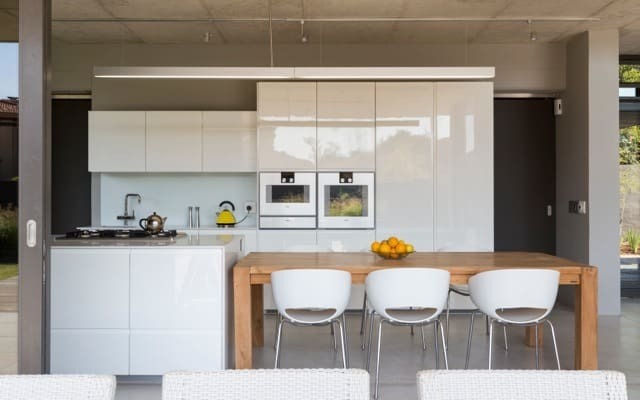 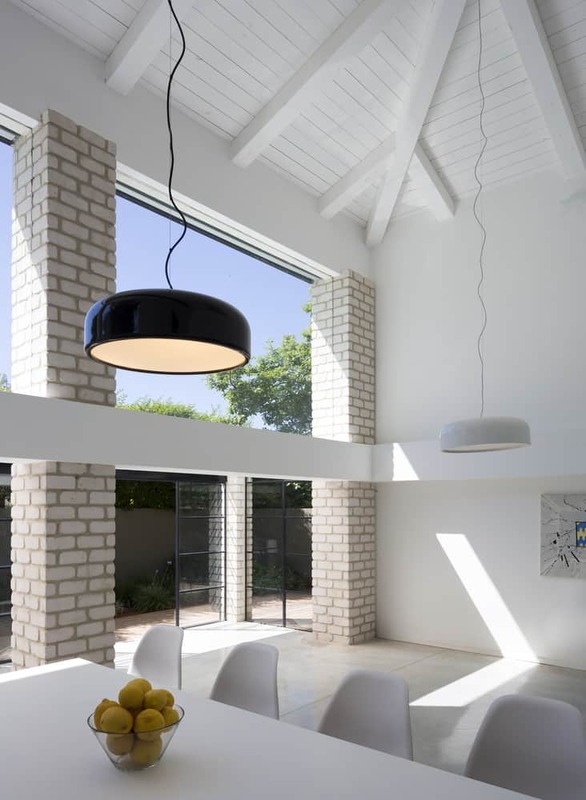 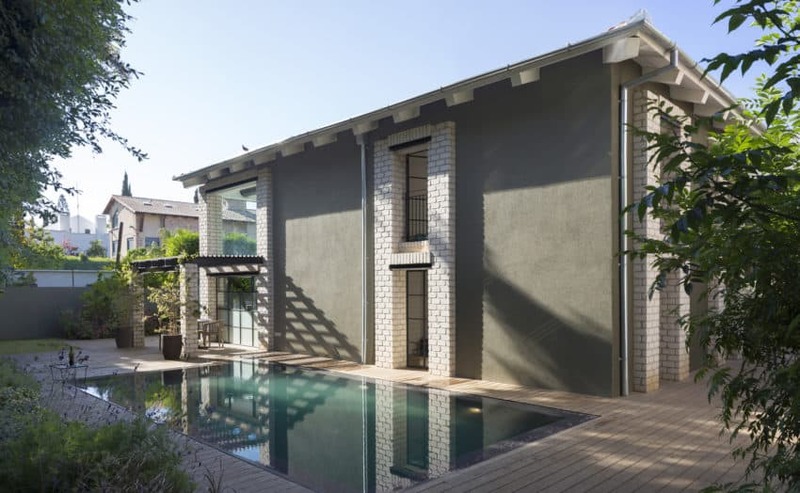 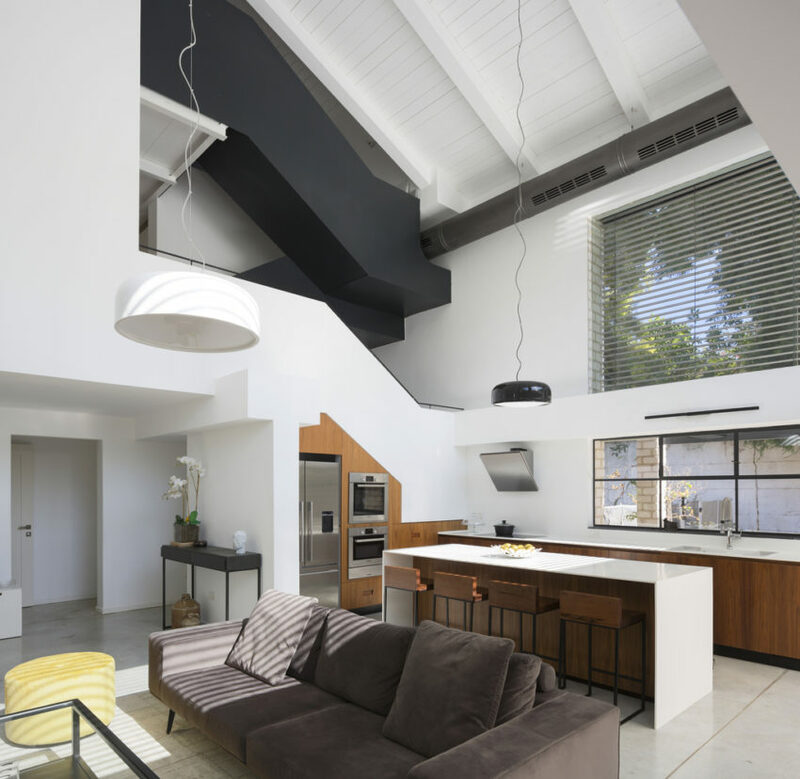 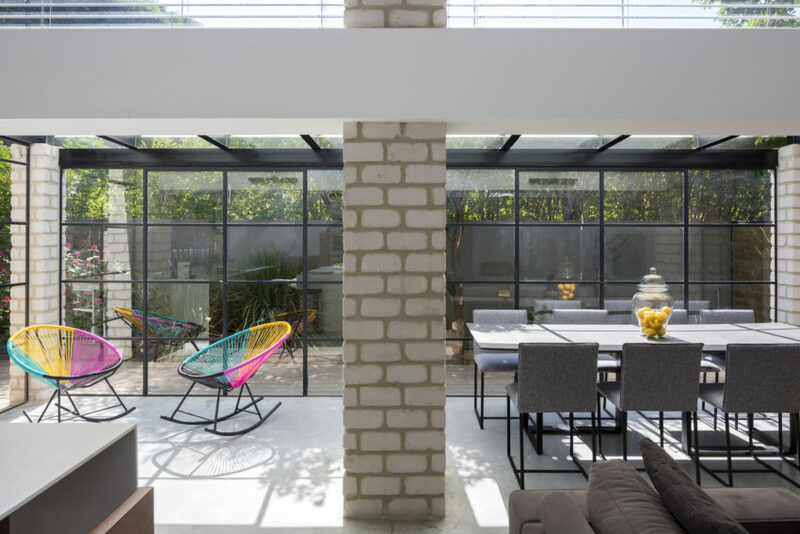 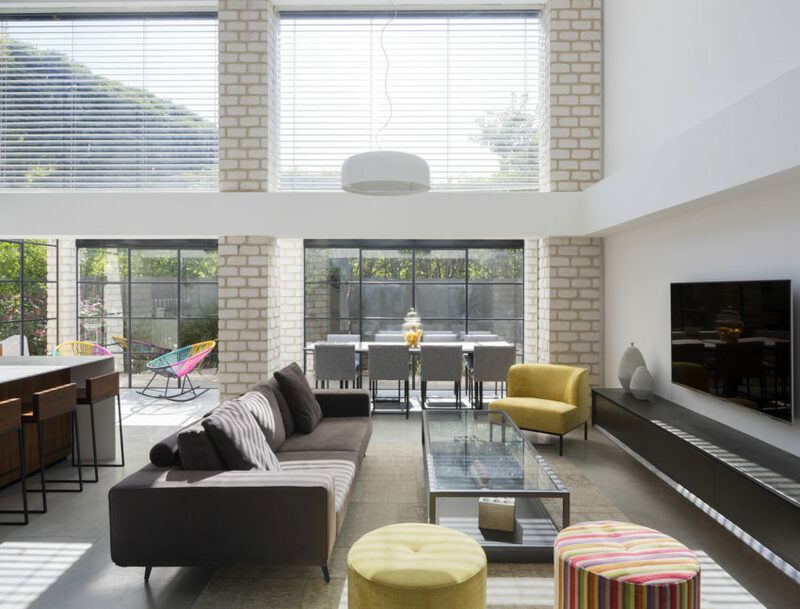 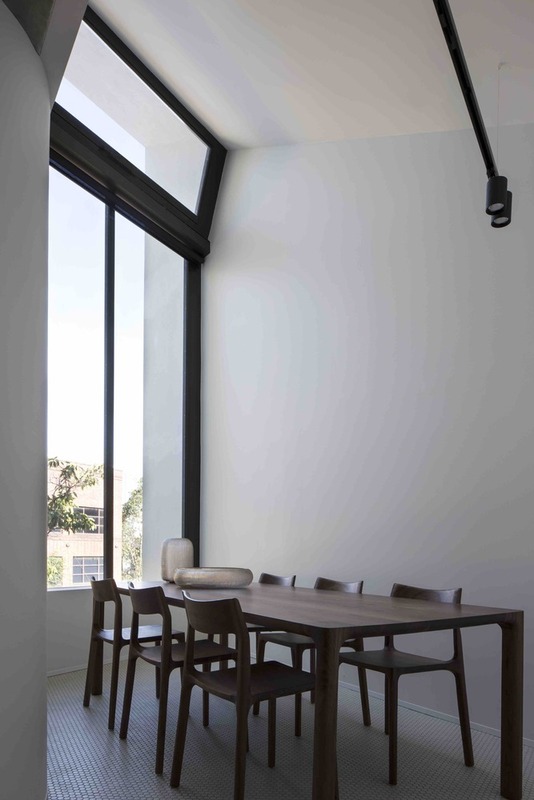 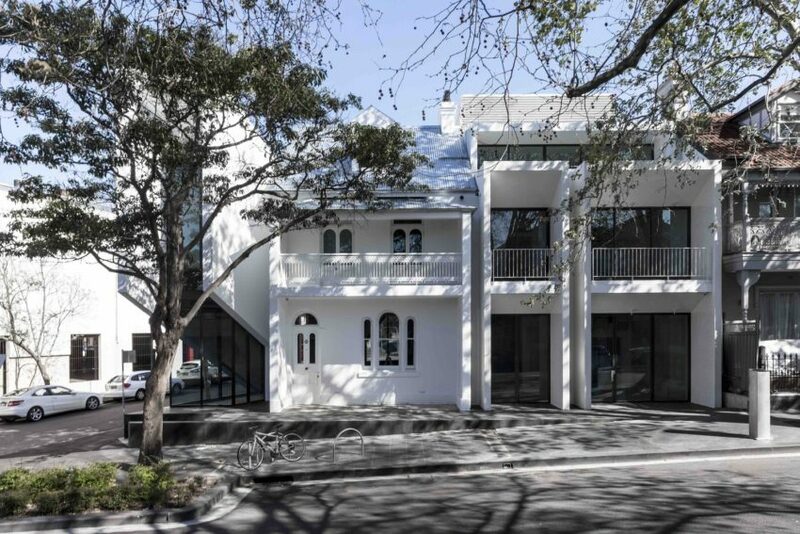 This home, belonging to a large family of 6, is located in Herzliya Pituach, Israel and was part of a renovation of an old building in which the interior was emptied, a reinforcement was applied, and the structure was expanded using mostly lightweight construction materials. 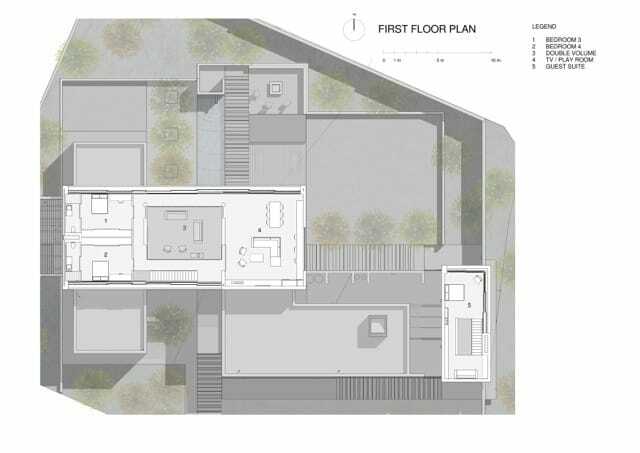 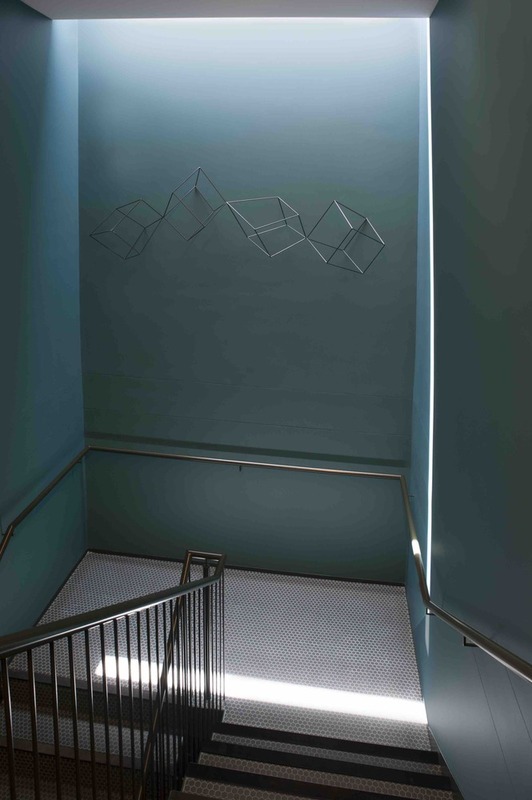 Originally, the building had several rooms on the ground floor, including a stable, and an external staircase led to the second floor, where the main room was located. 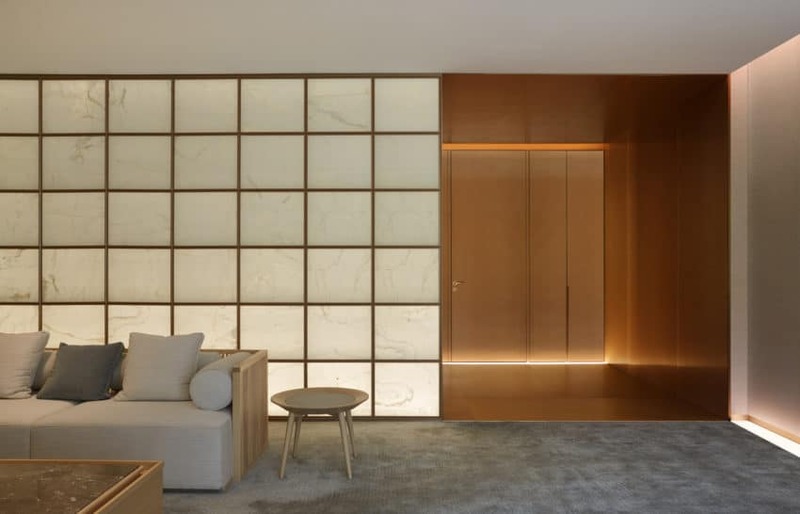 The architectural firm Tomer Ben Dor was commissioned to carry out the 182-square-meter project in 2017. 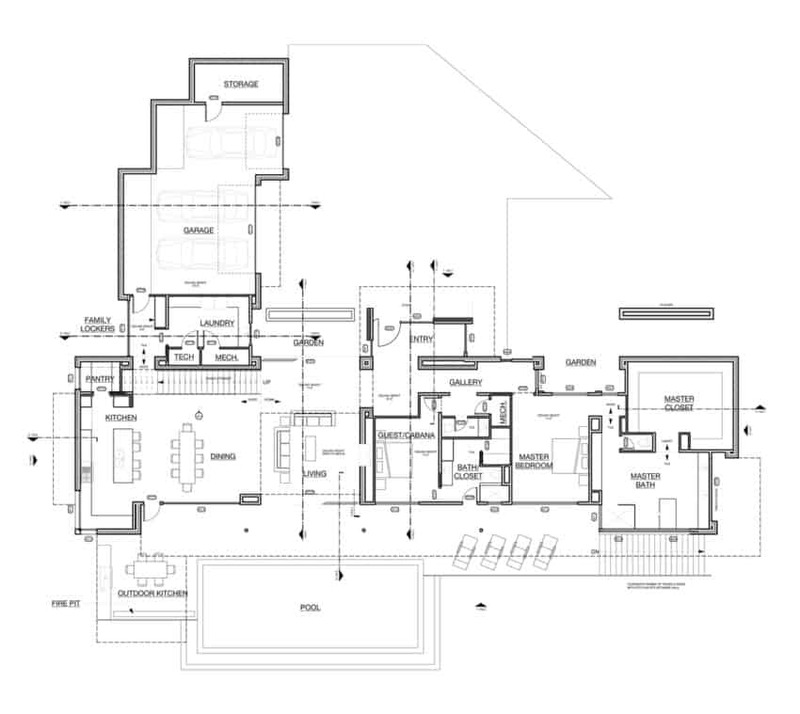 The ground floor includes the living room, the kitchen, the dining room, the guest room, the master bedroom with private bathroom, and a shelter that is also used as a closet room. 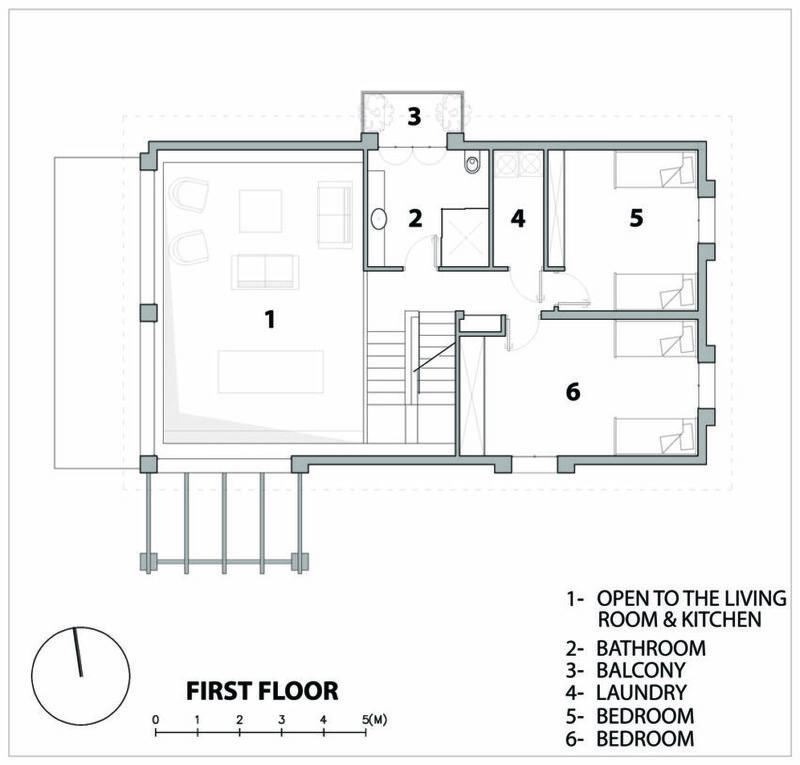 The second floor includes two bedrooms, a bathroom, and a laundry room. 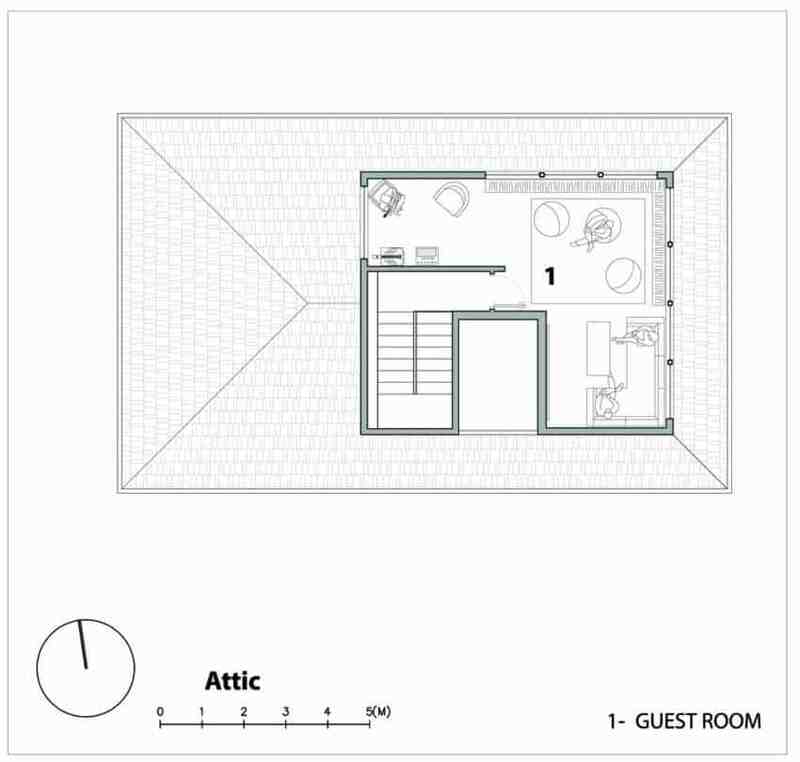 Another bedroom is located in the attic. 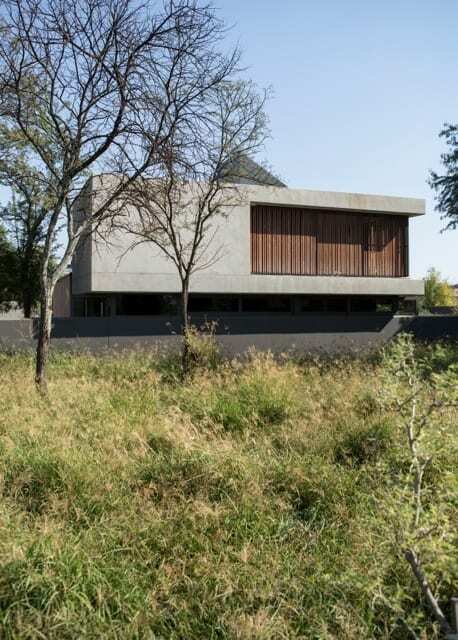 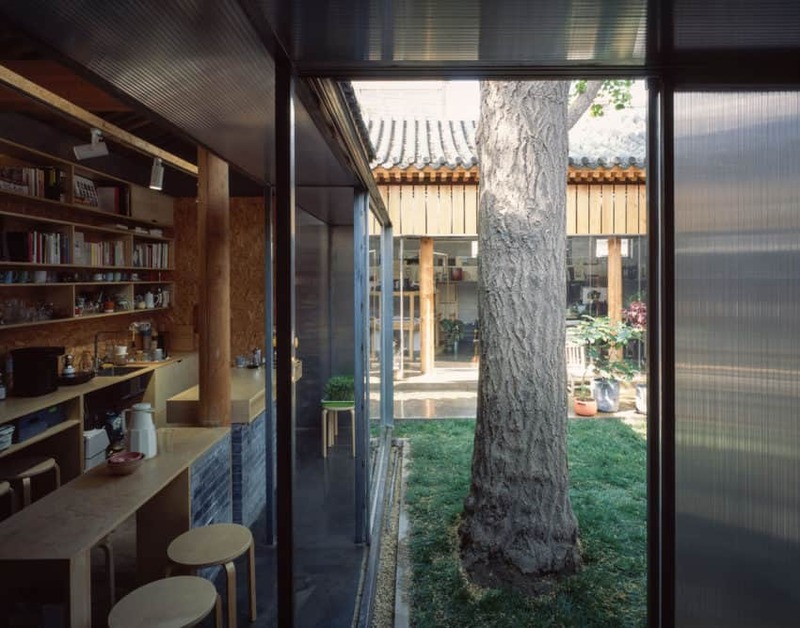 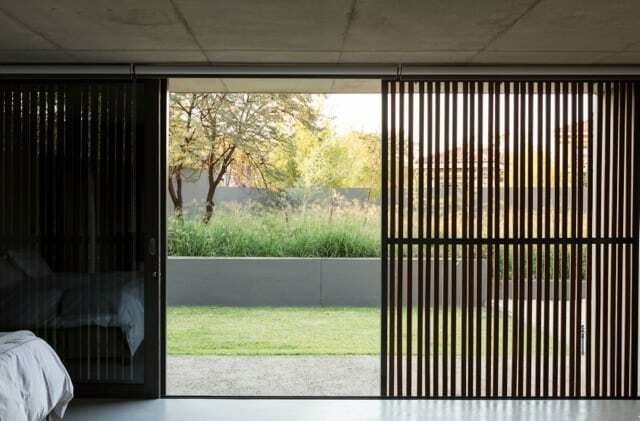 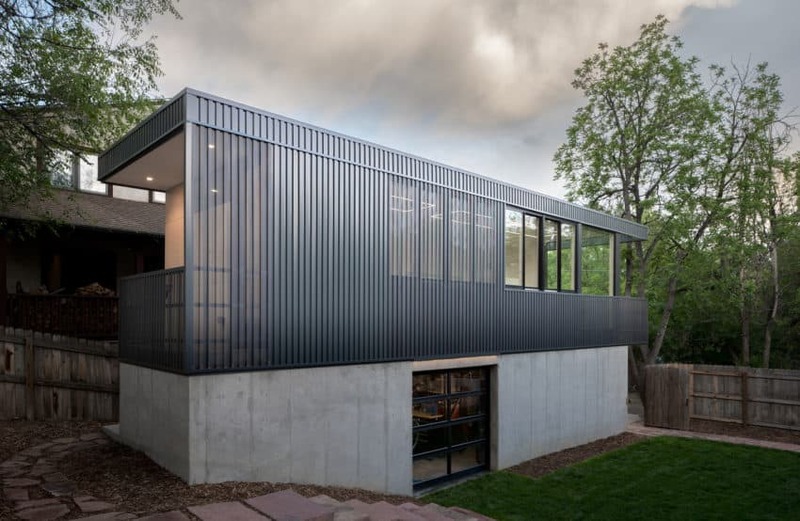 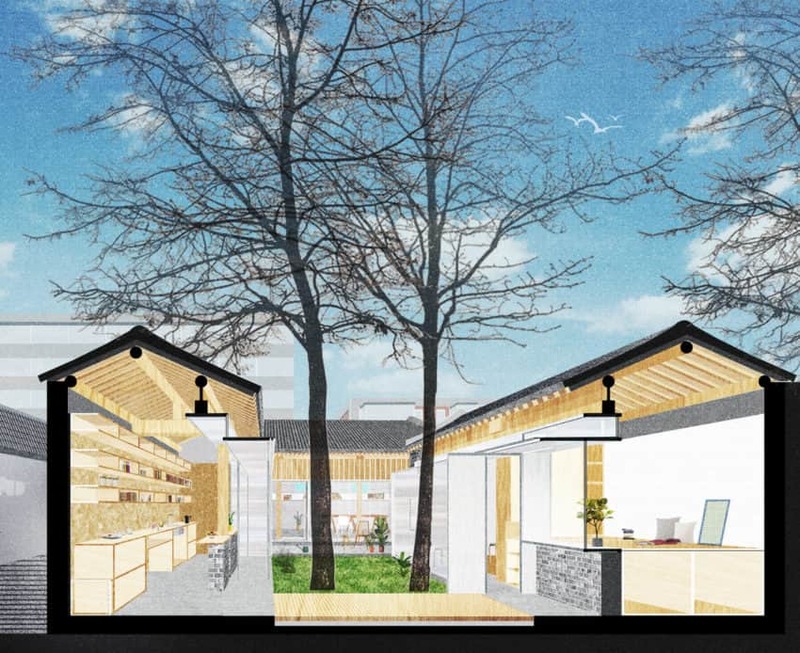 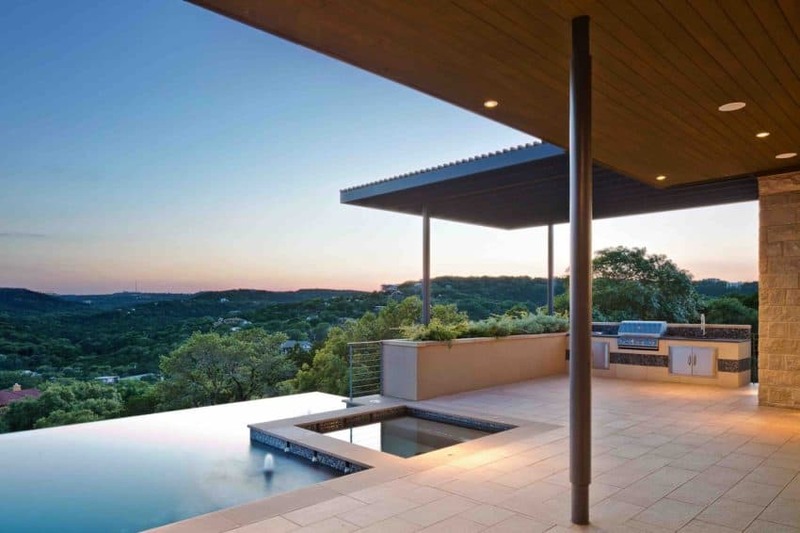 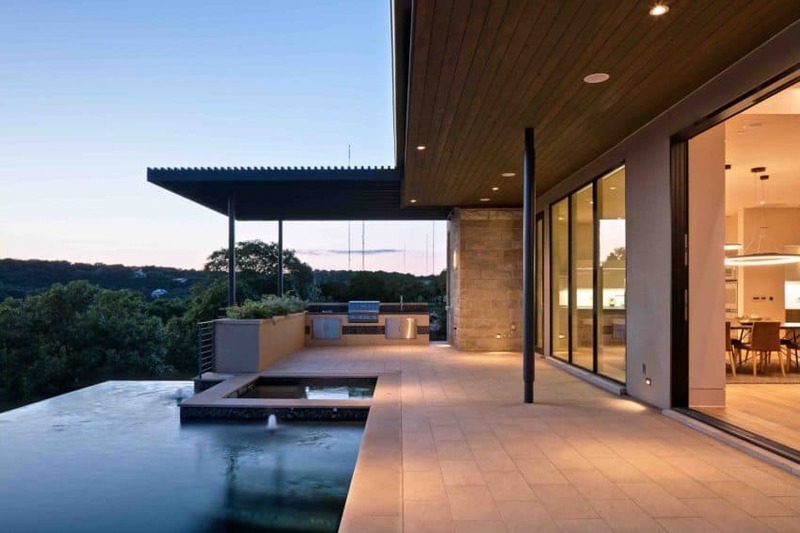 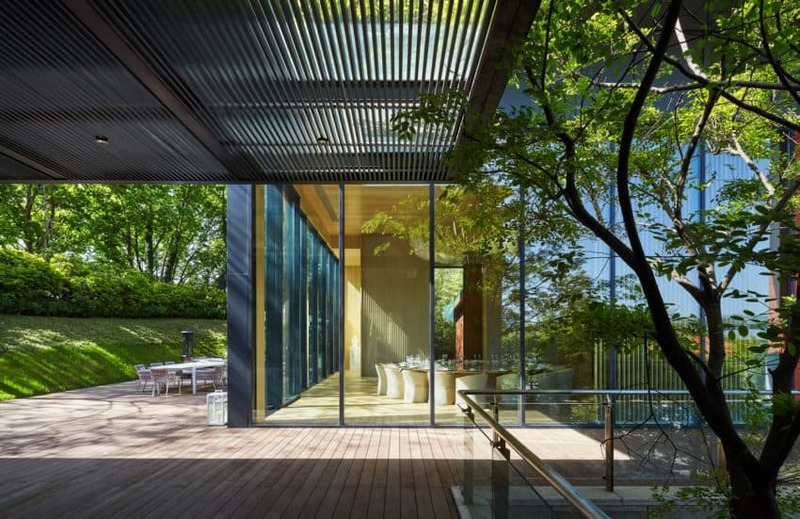 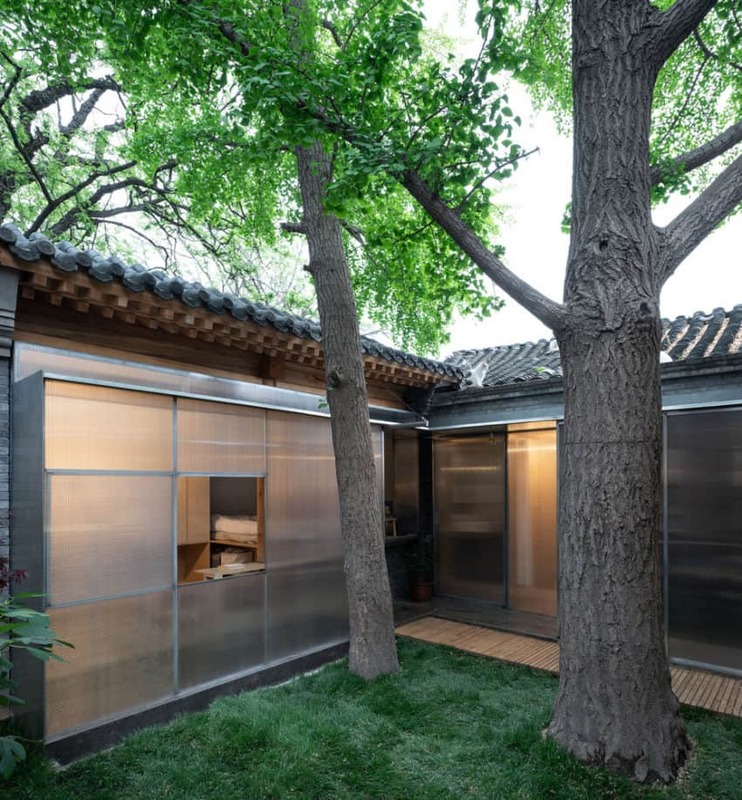 The main guide for the design of the exterior appearance was the use of neutral dark tones in order to create a building that fits the shade of tall trees and the surrounding garden. 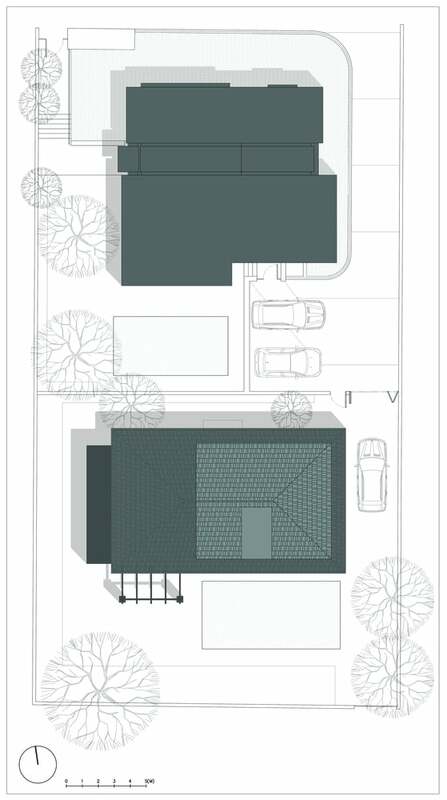 Therefore, the tones chosen for the front of the building were mainly gray and dark green. 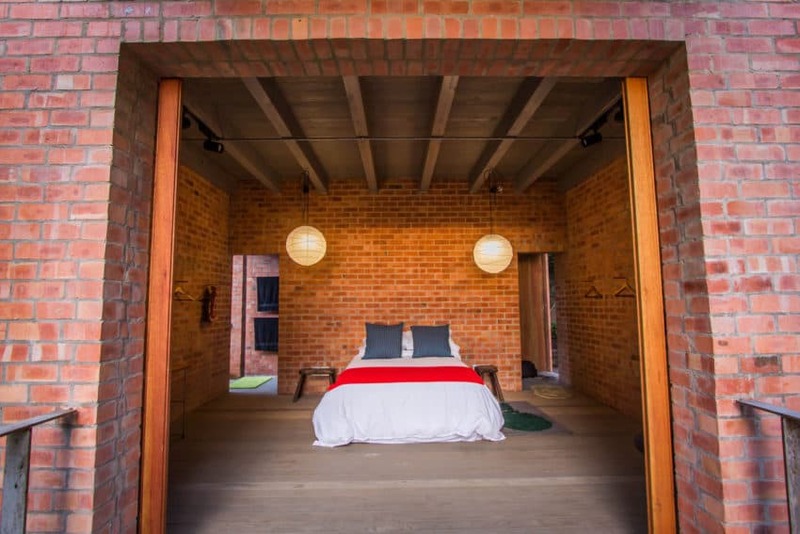 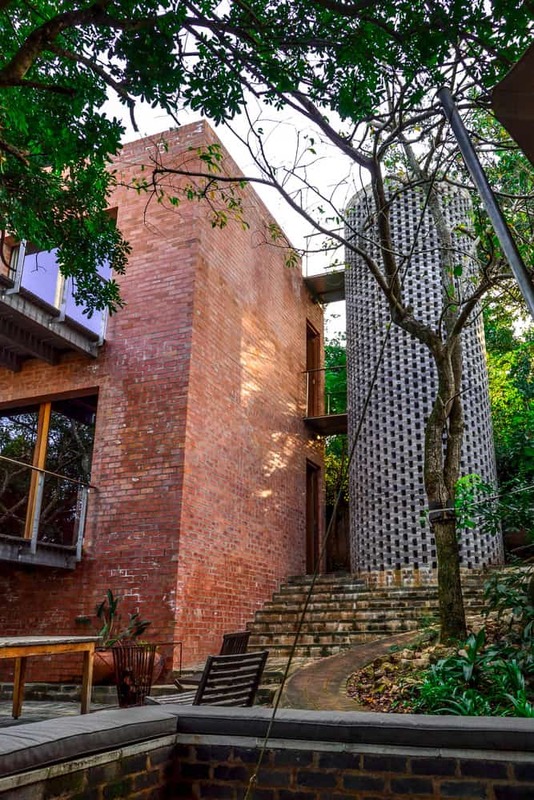 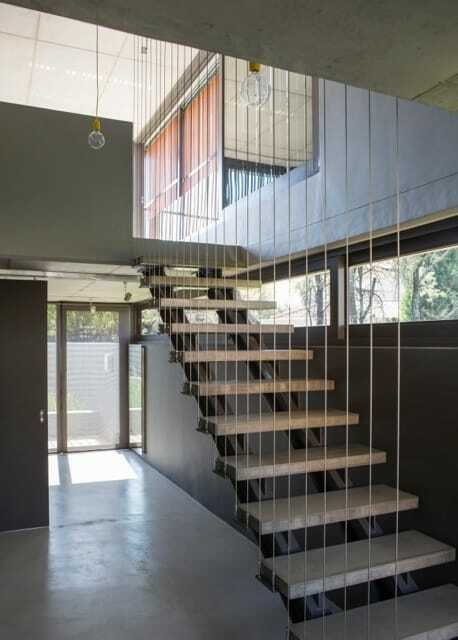 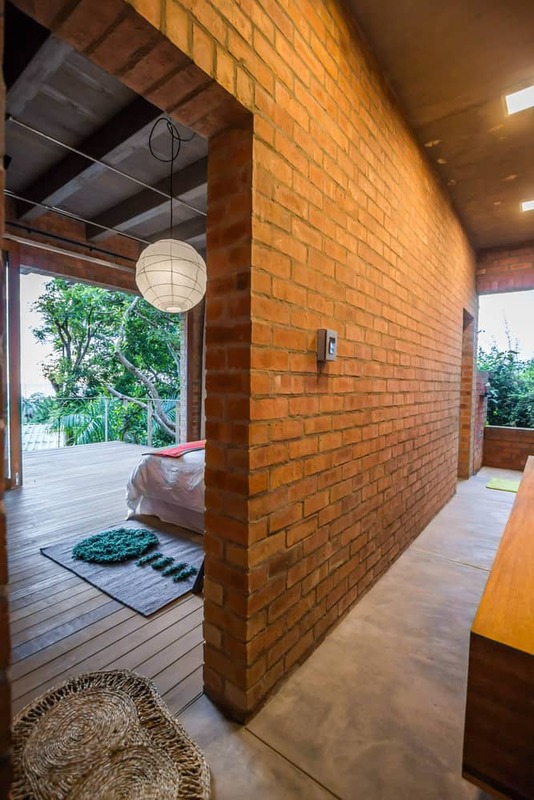 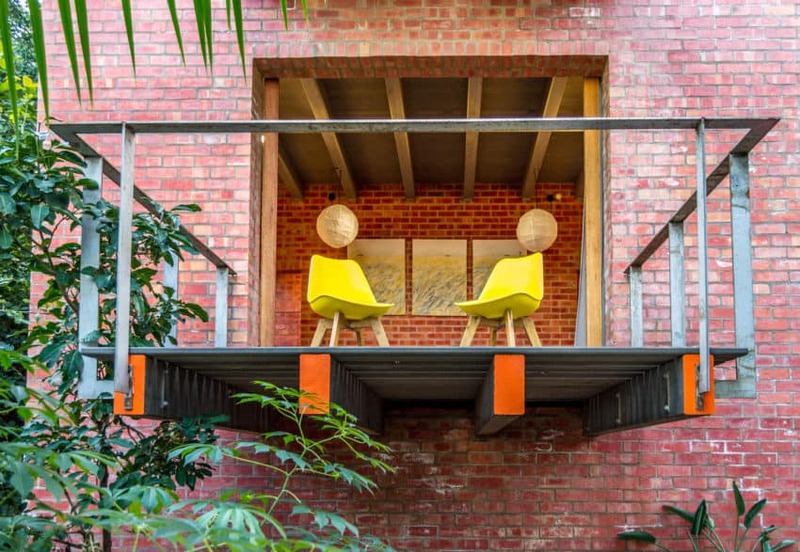 This design with red brick walls and white perforated brick stairs was designed by the architectural firm Jeremy Steere Architect, led by its professionals Jeremy Steere, Clinton Hartley, and Sphephelo Mhlongo in Mtunzini, South Africa in 2017. 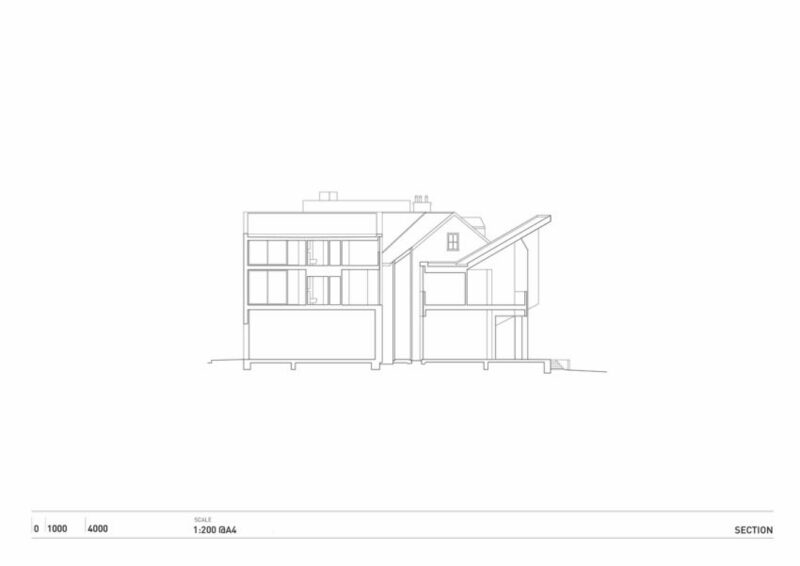 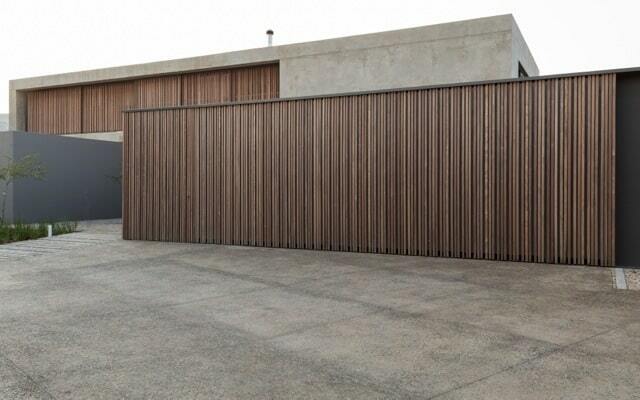 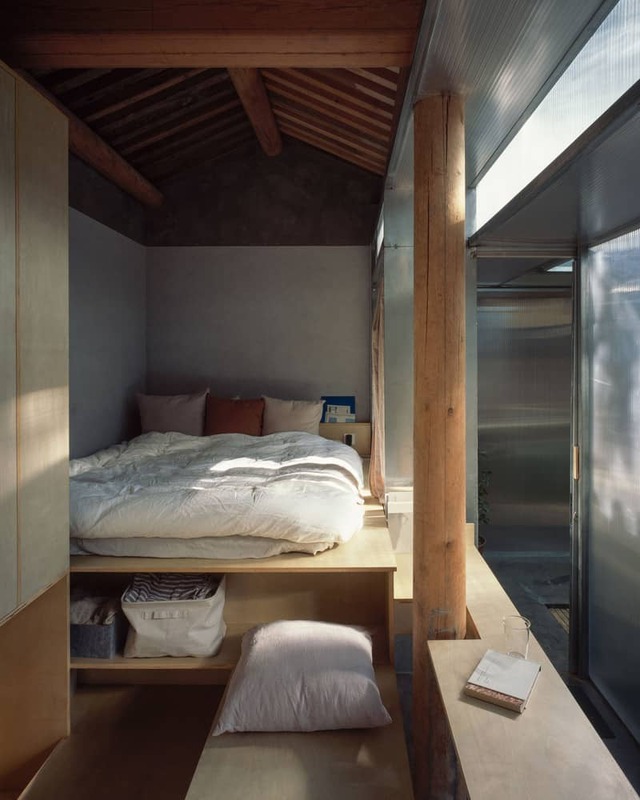 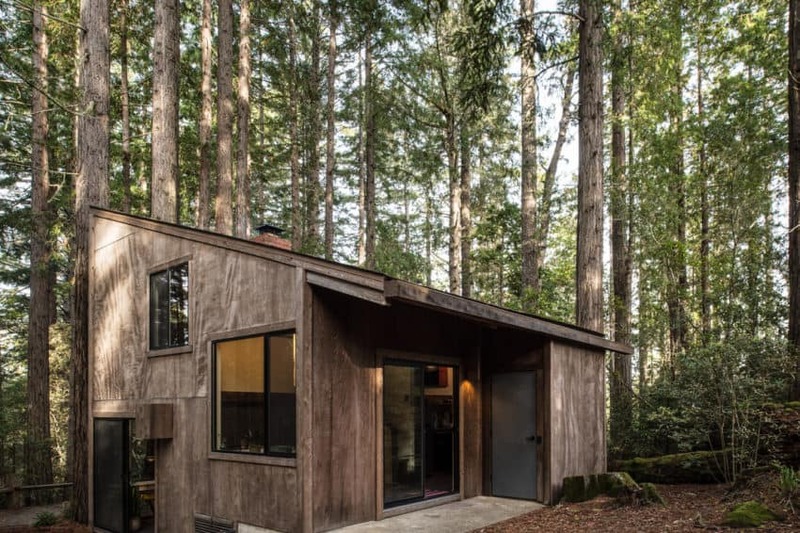 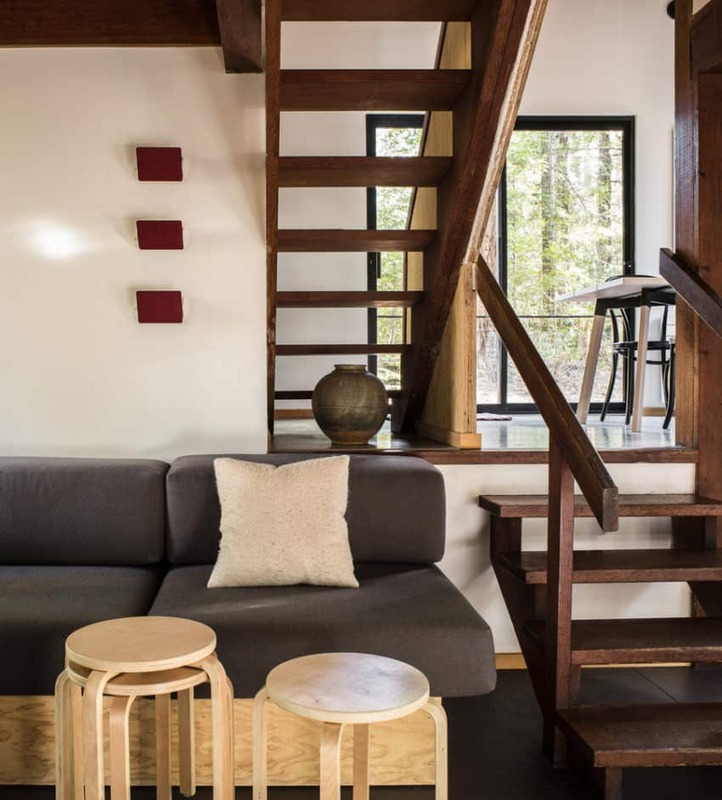 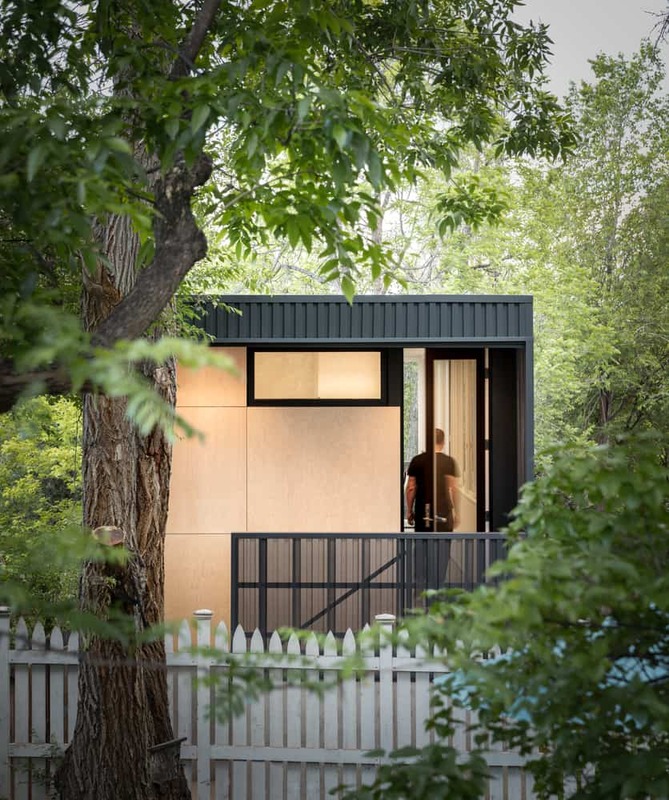 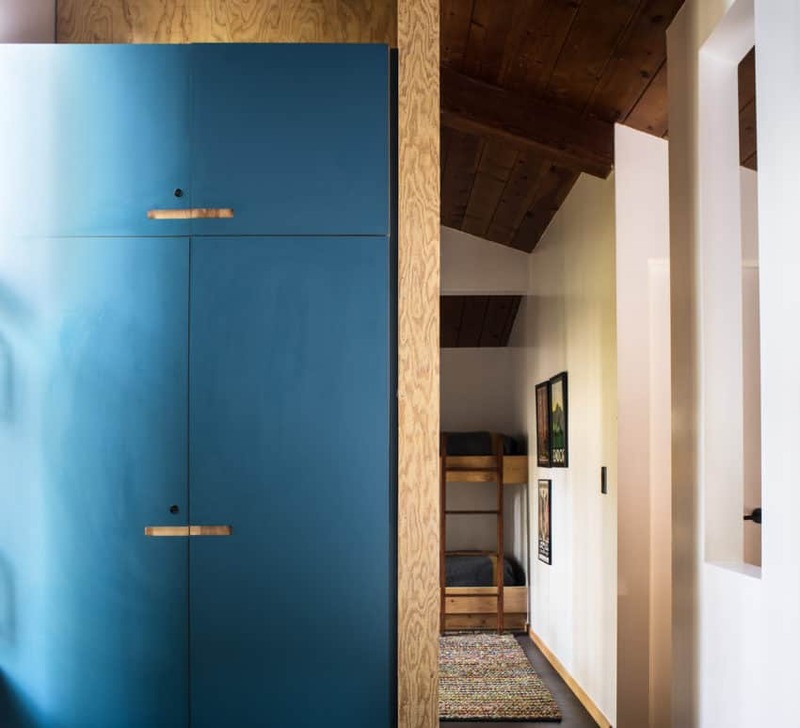 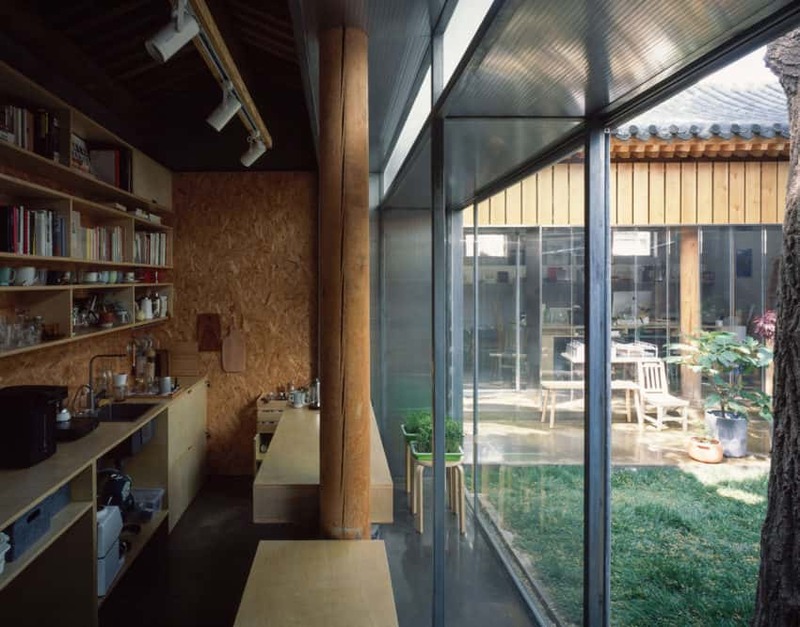 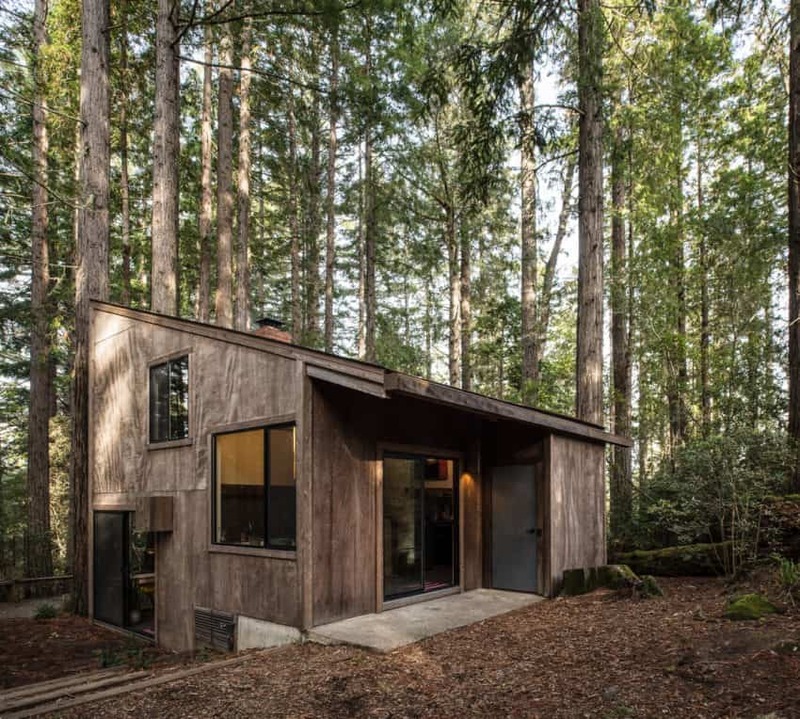 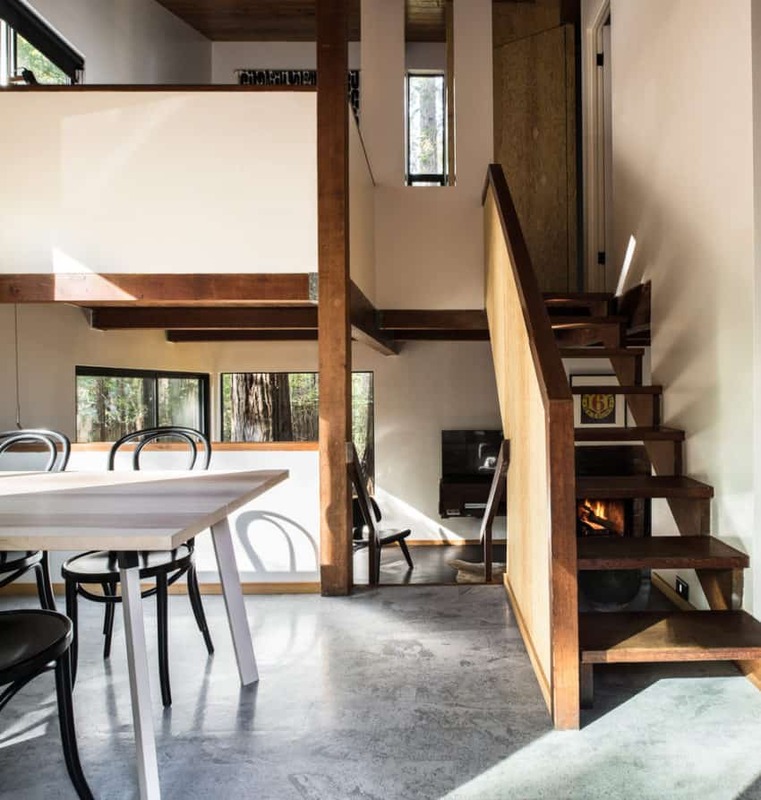 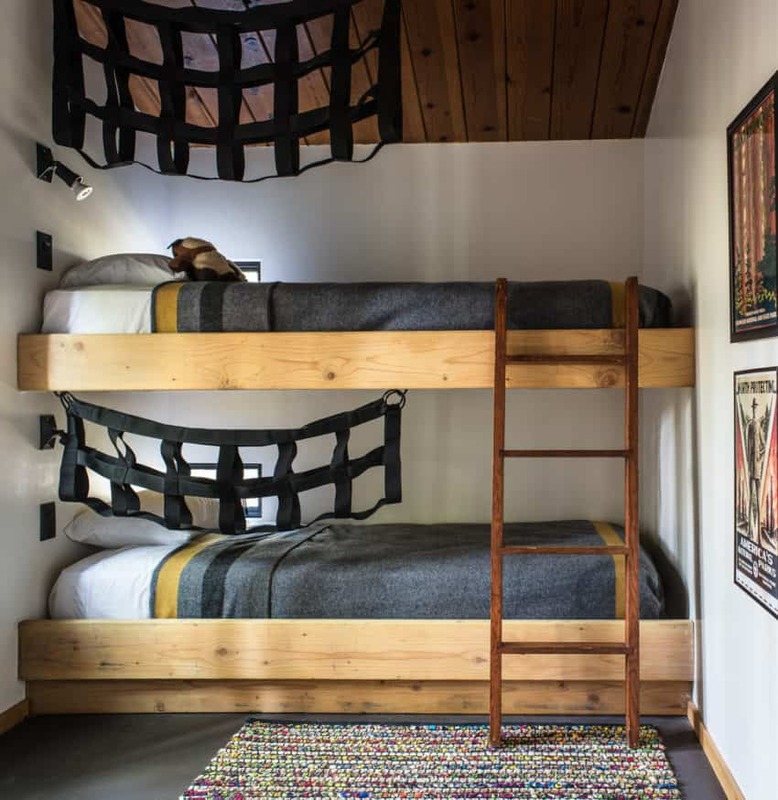 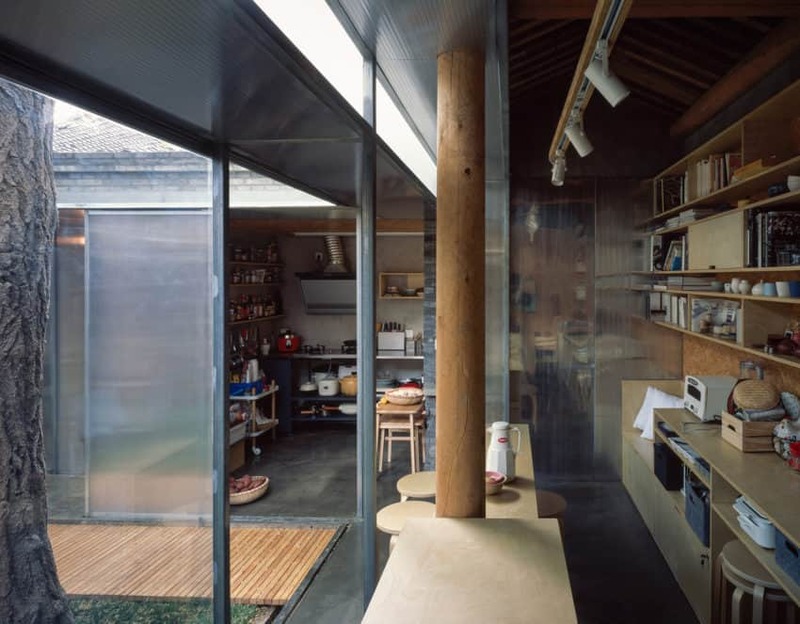 It has an area of 75 meters, and its objective was to house 2 teenage children since the existing cabin was too small. 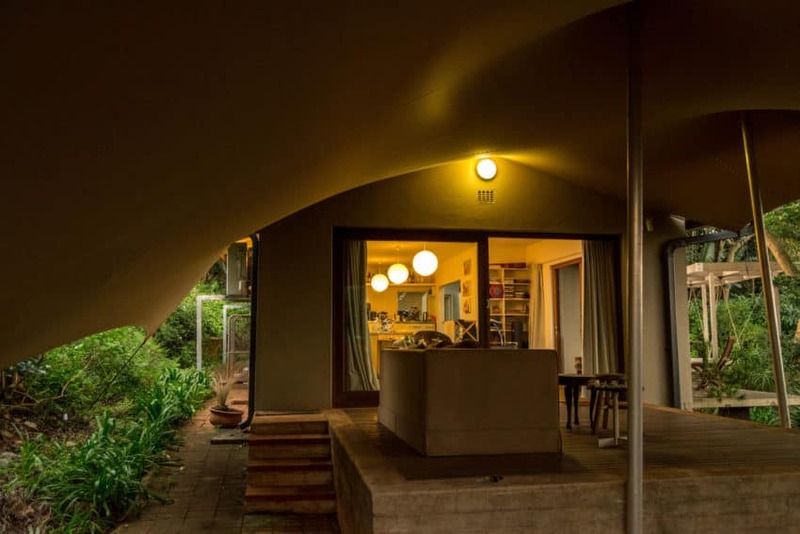 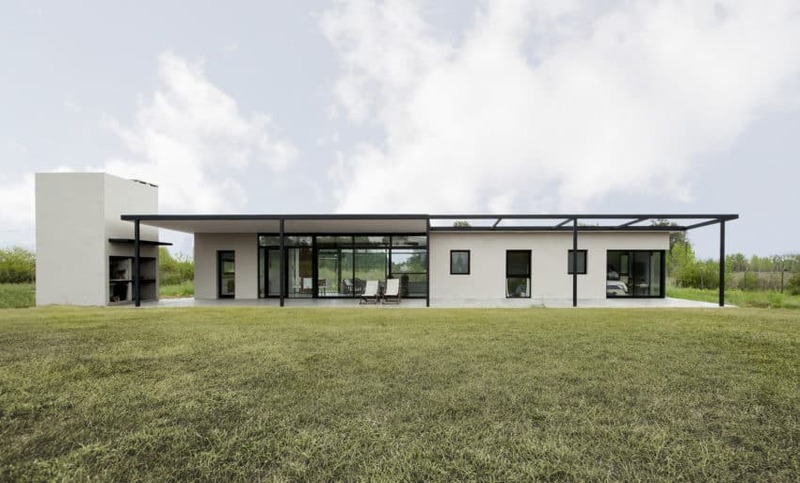 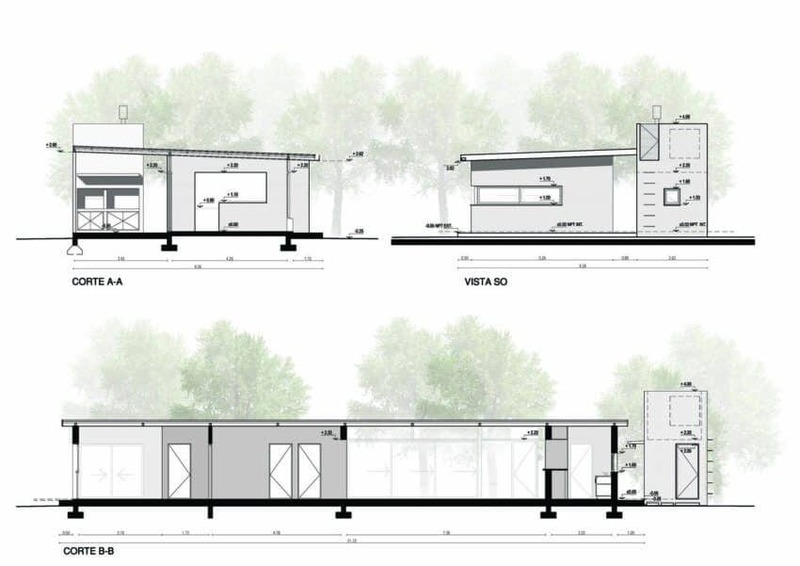 The solution was to either build another floor above the existing hut, or find a site on the 900 m 2 property in Mtunzini (120 km north of Durban) to build the 2 rooms that would serve the teenagers. 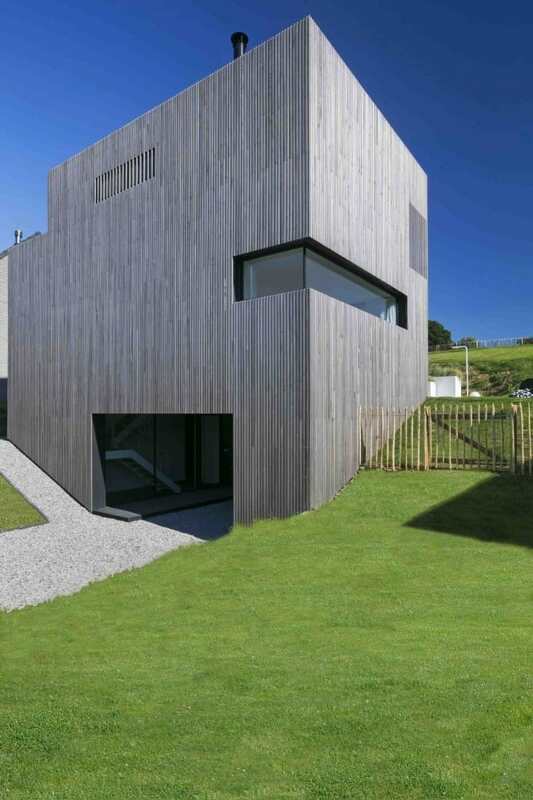 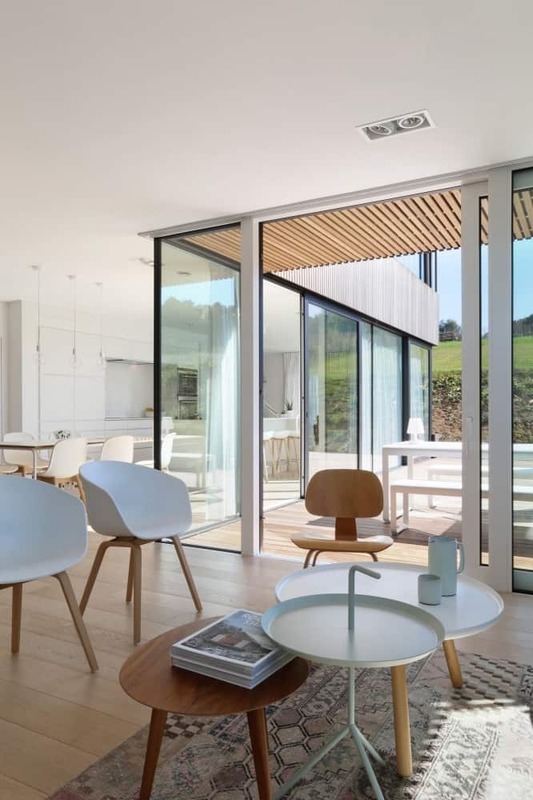 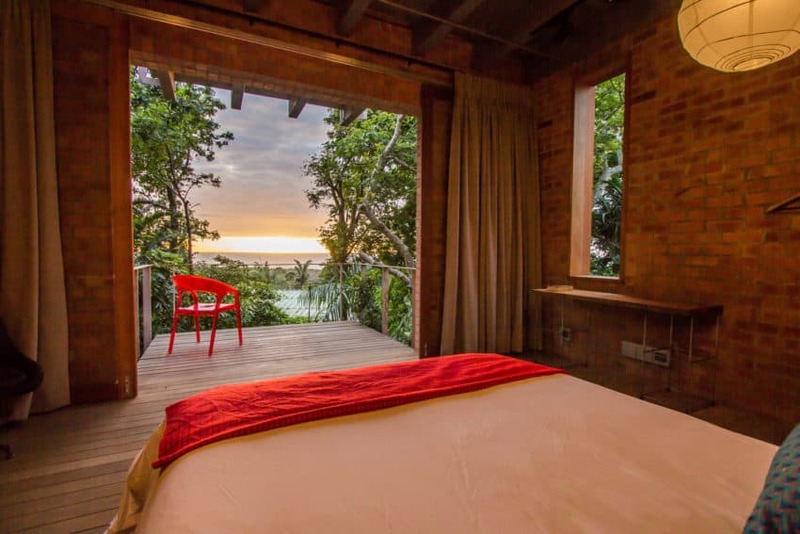 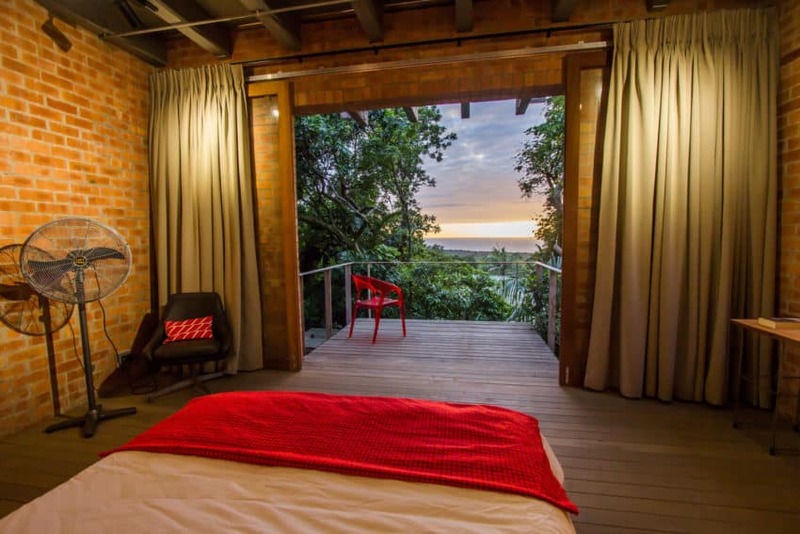 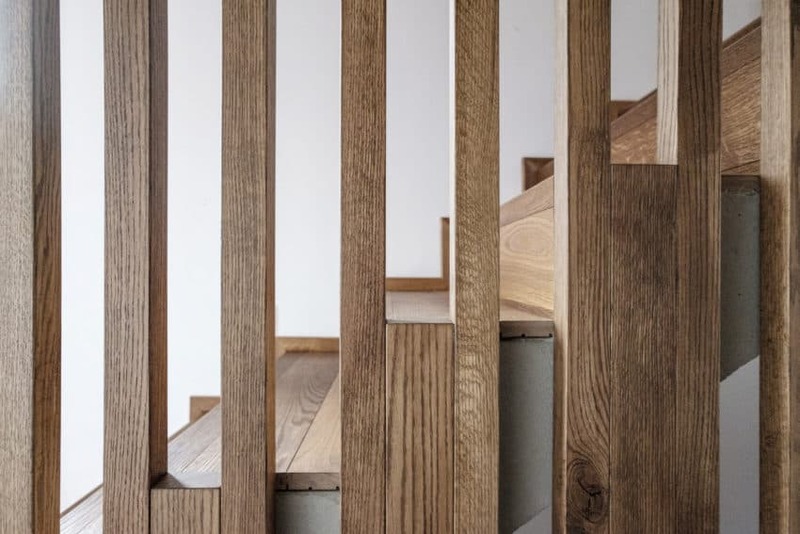 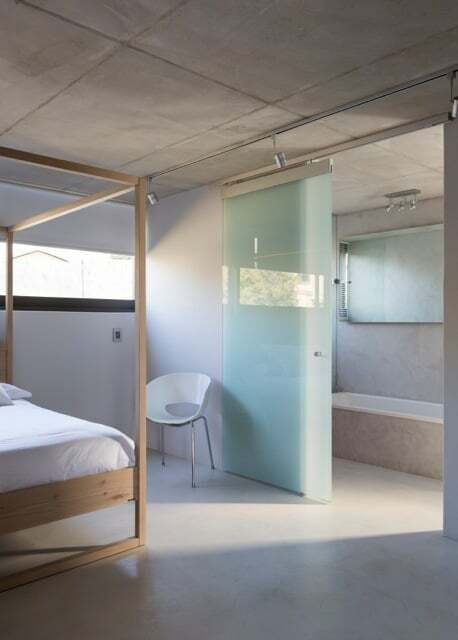 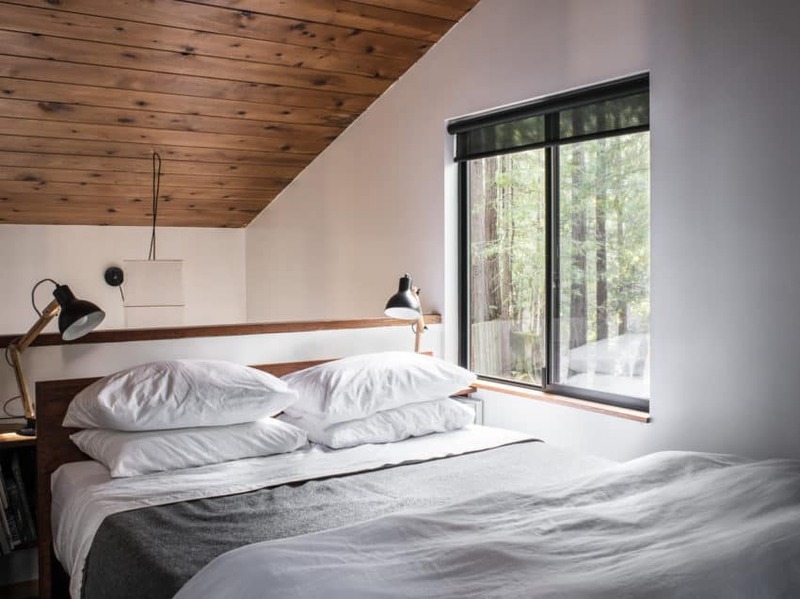 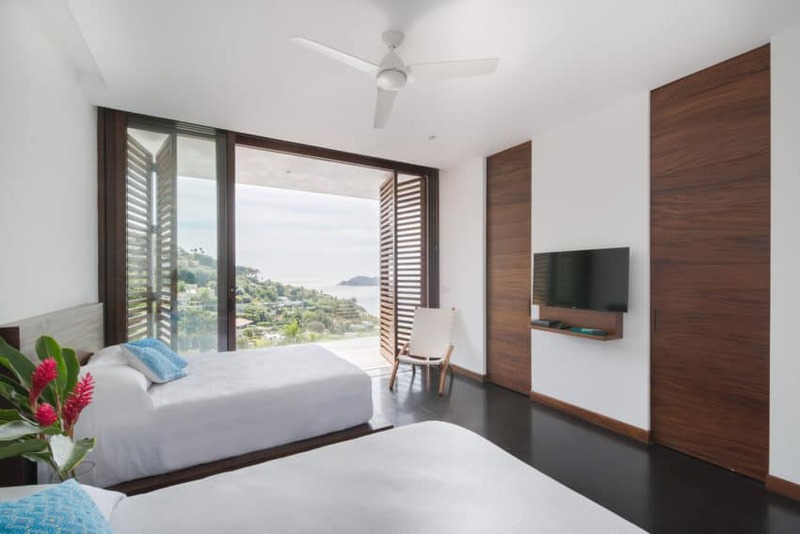 Finding an alternative place to stay during the construction of an additional upper floor was a challenge, and the bright views of the sea from the top of the site influenced the decision to build the new rooms on the sloping side of the site. 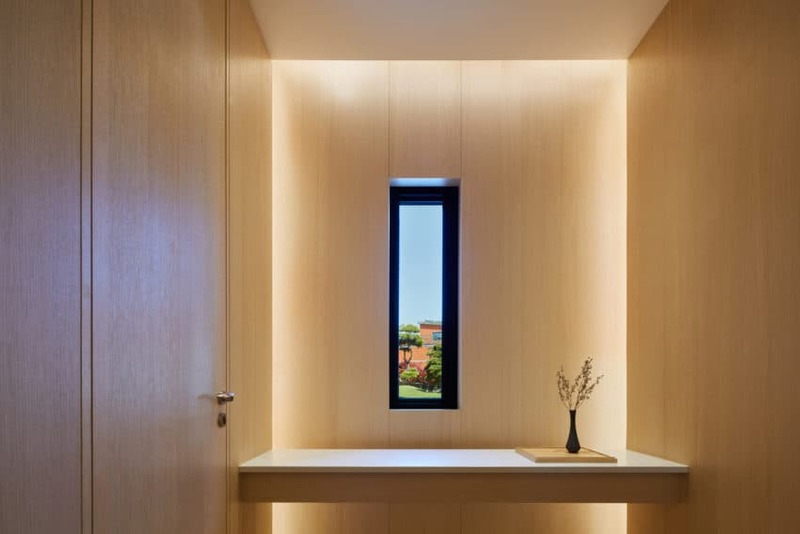 To alleviate the cost of ongoing maintenance, there are no finishes in these buildings. 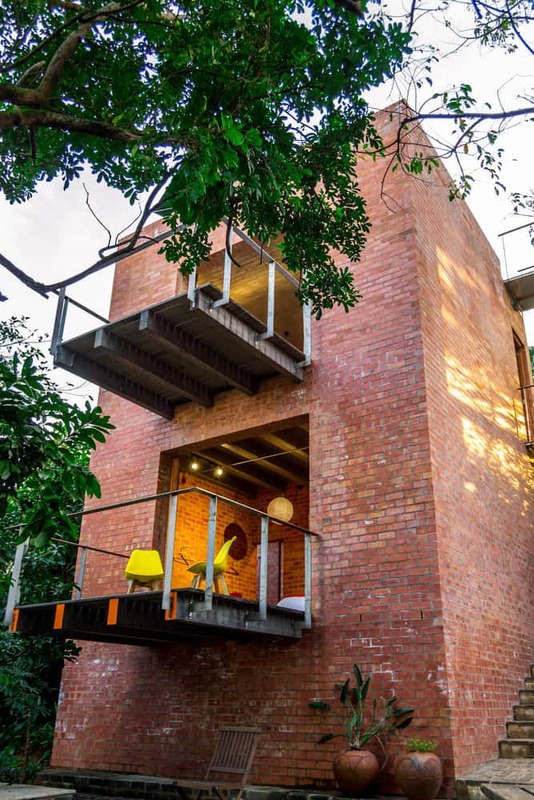 The bedroom tower was built with a common clay-brick cavity, and the spiral staircase with brick cement. 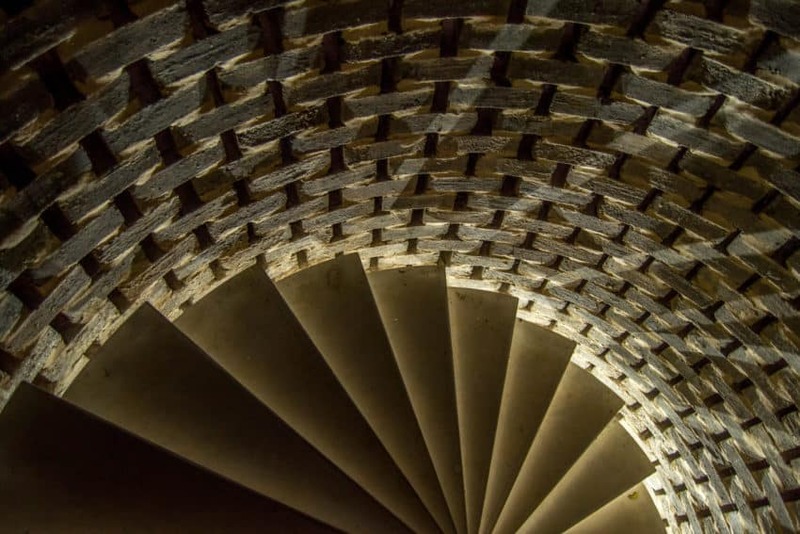 The circular walls of the tower also act as the balustrade and the support. 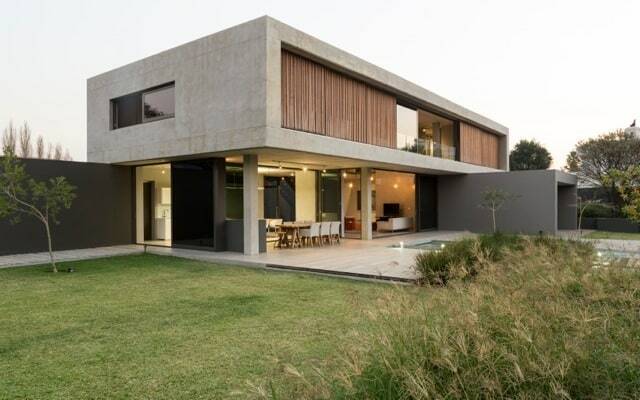 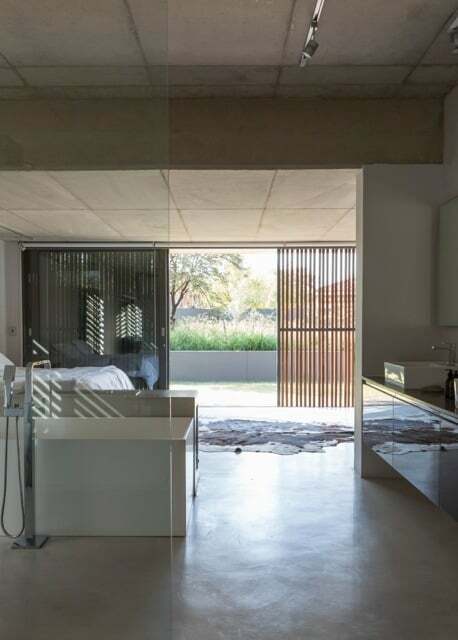 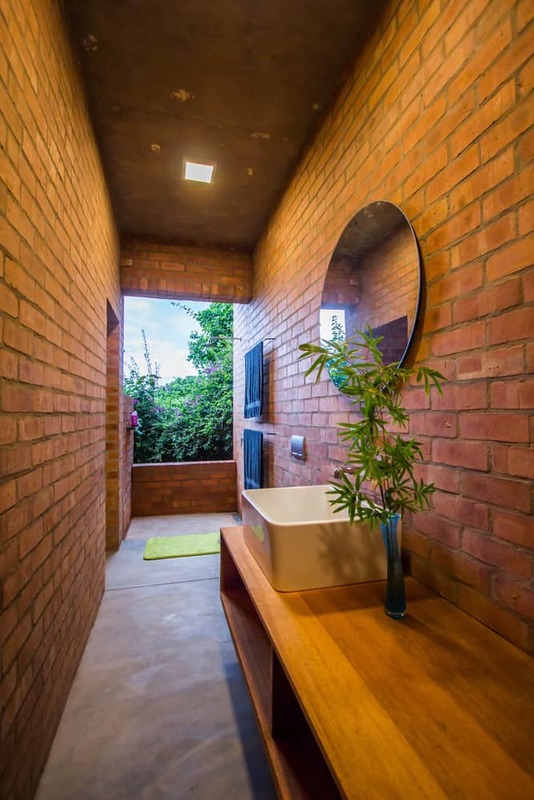 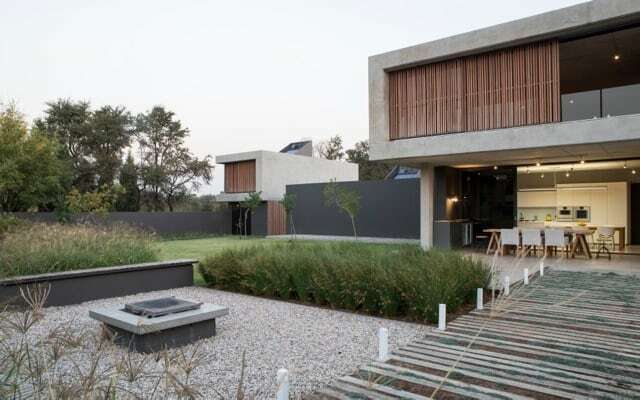 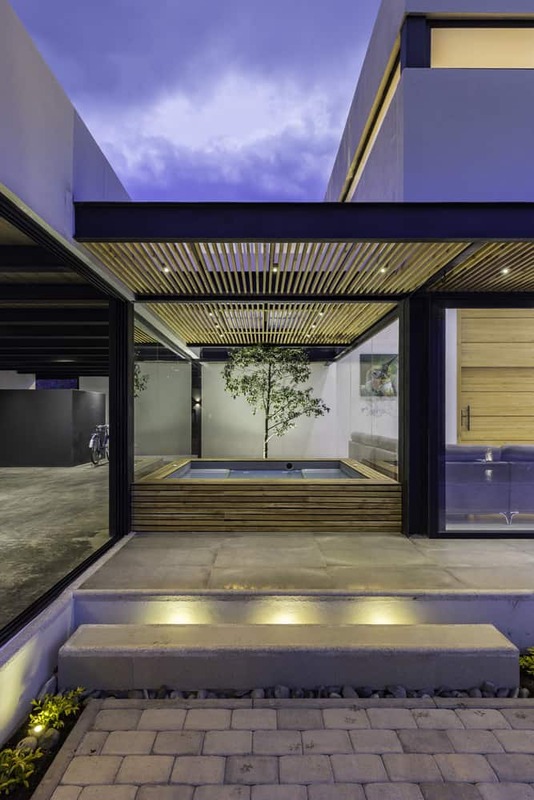 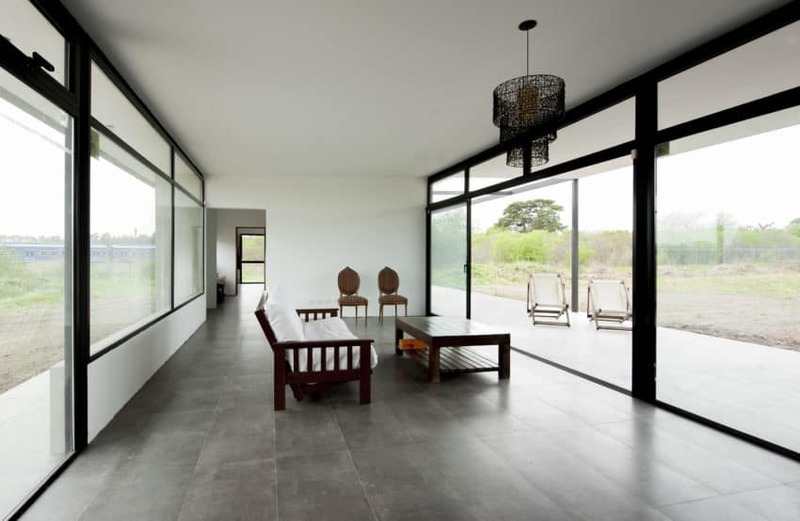 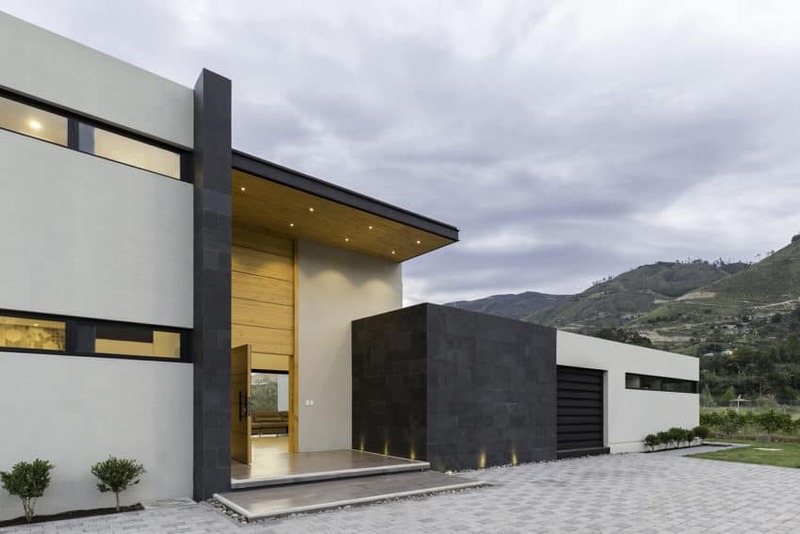 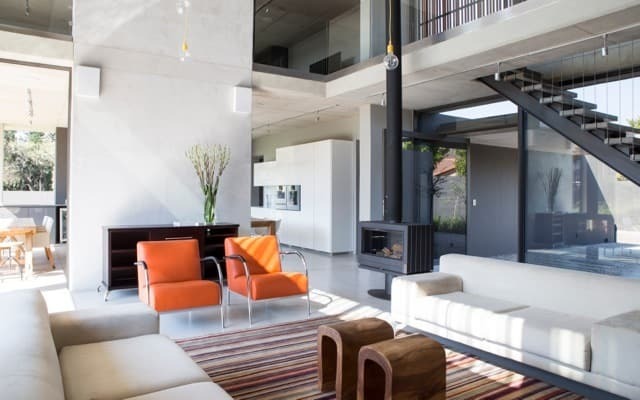 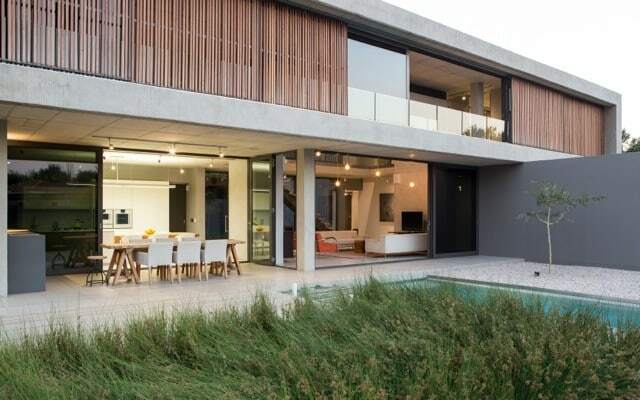 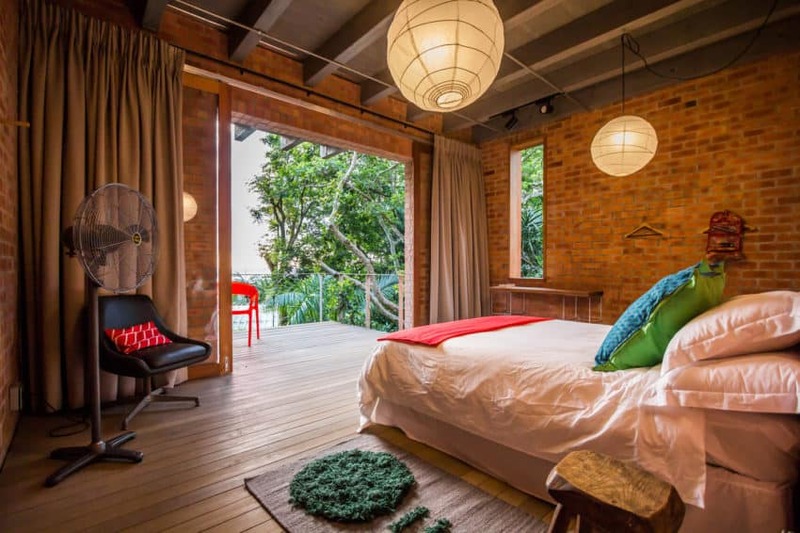 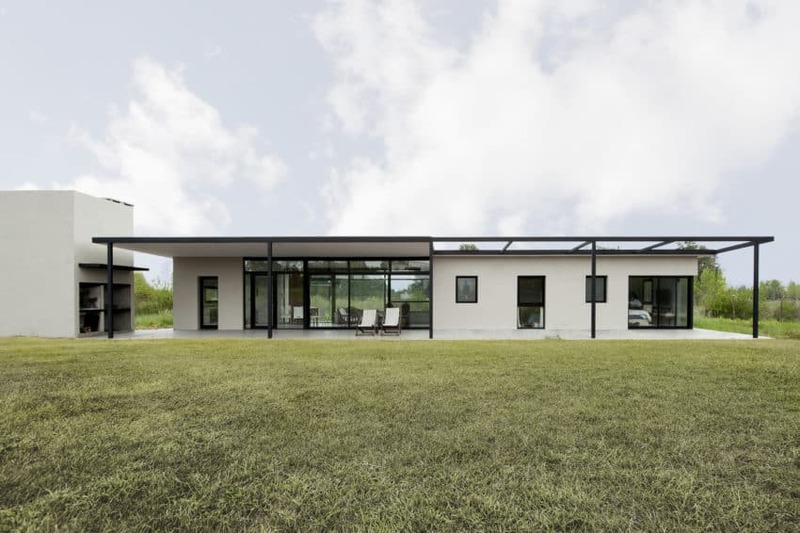 The architectural firm CU + AR ESTUDIO, under the direction of its professionals Santiago Cuenca, Gabriel Arias and Wilson Andrade, recently designed this modern house, which has a total area of 550 square meters and where there are four bedrooms. 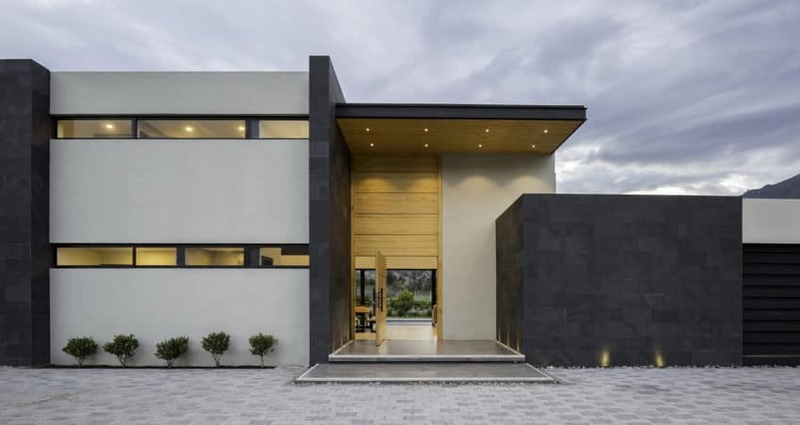 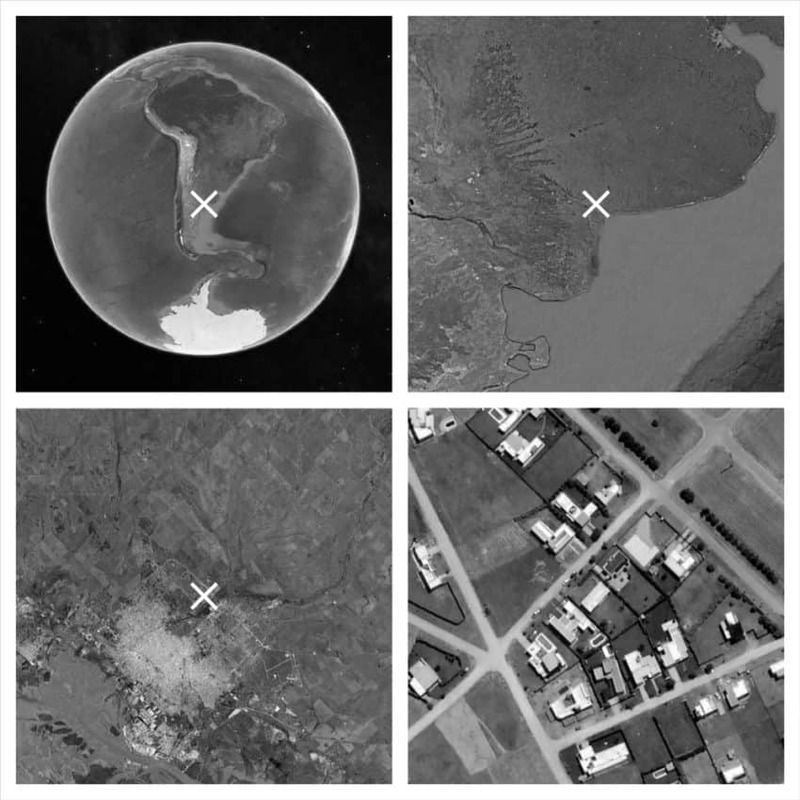 It is located on relatively flat land on the banks of the Paute River in Ecuador. 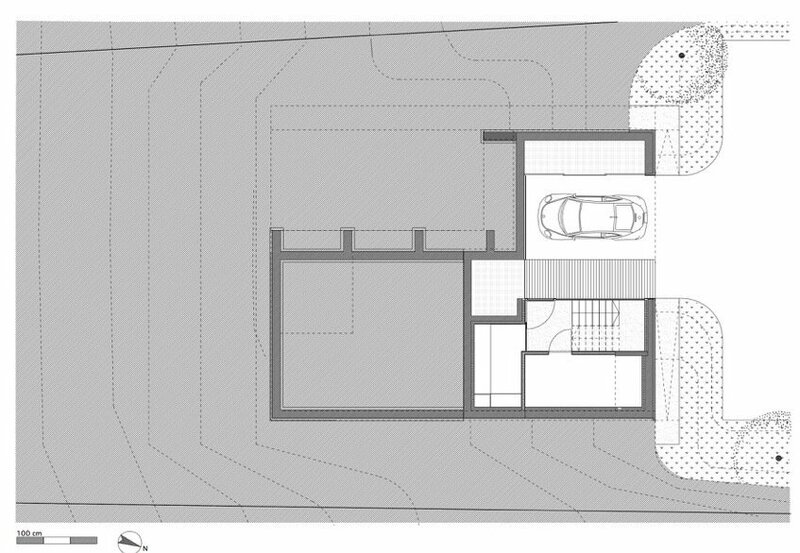 The house is arranged on the ground in a “U” shape enclosing the social area between its lateral arms with the intention of directing the visuals towards the mountains, which are far to the west, creating interesting environments in the interior of the house, thanks to the nuances of colors that the sunsets present. 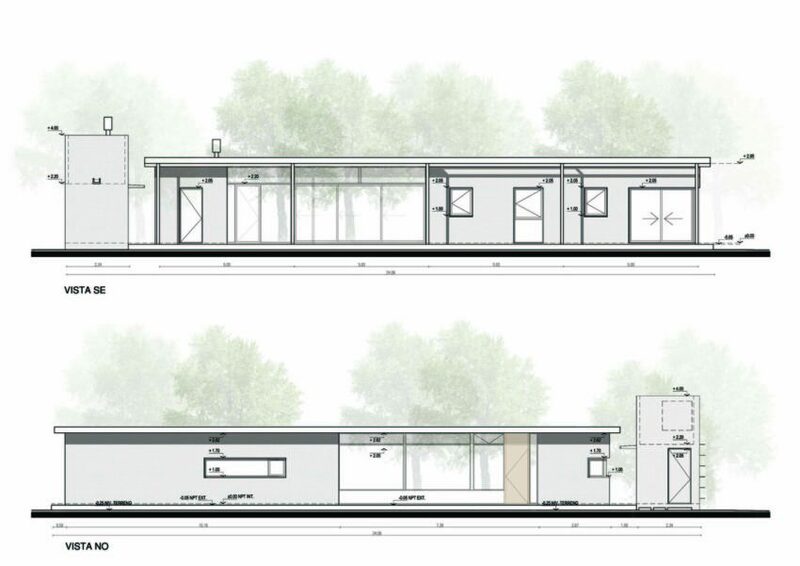 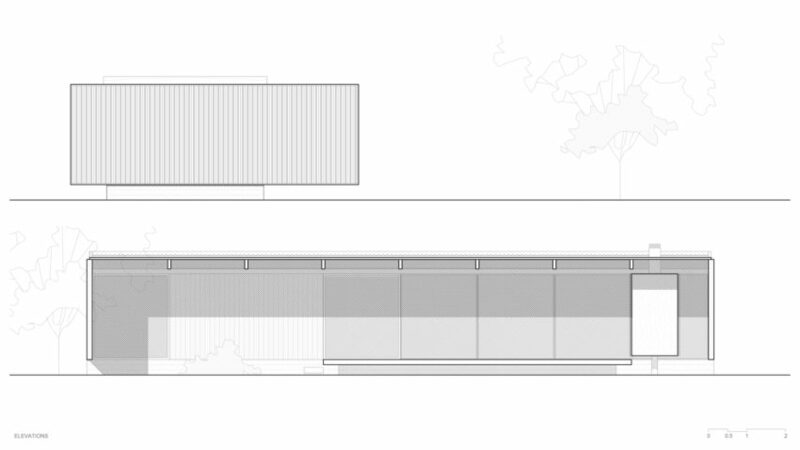 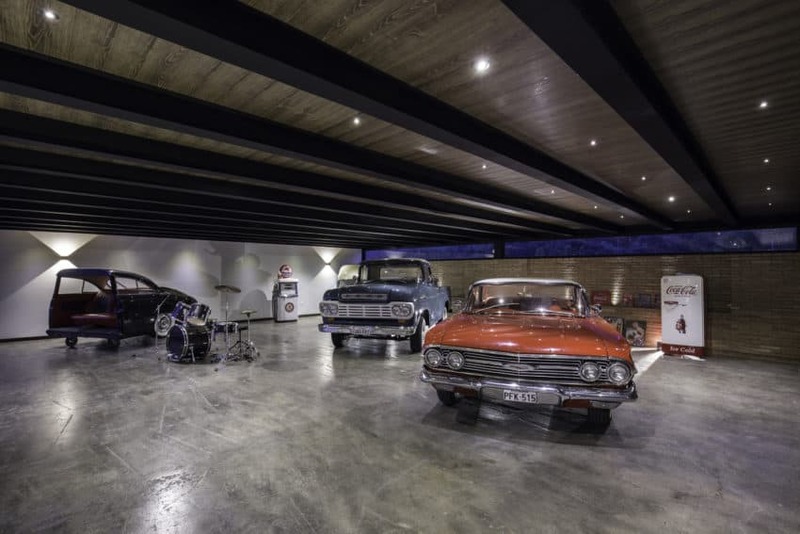 One of the fundamental requirements of the project was the creation of a space dedicated to the exhibition of classic vehicles and collectable artifacts; For this reason, the proposal raises this space as the protagonist of the project, which integrates all the different areas of the house and can be admired from anywhere in the same. 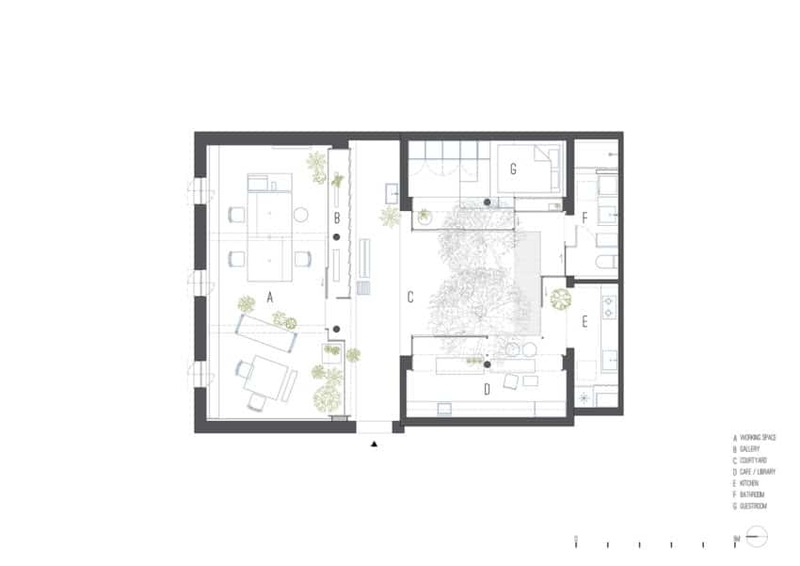 The house in general offers a direct dialogue between functionalism and nature, and is framed in each space of the house. 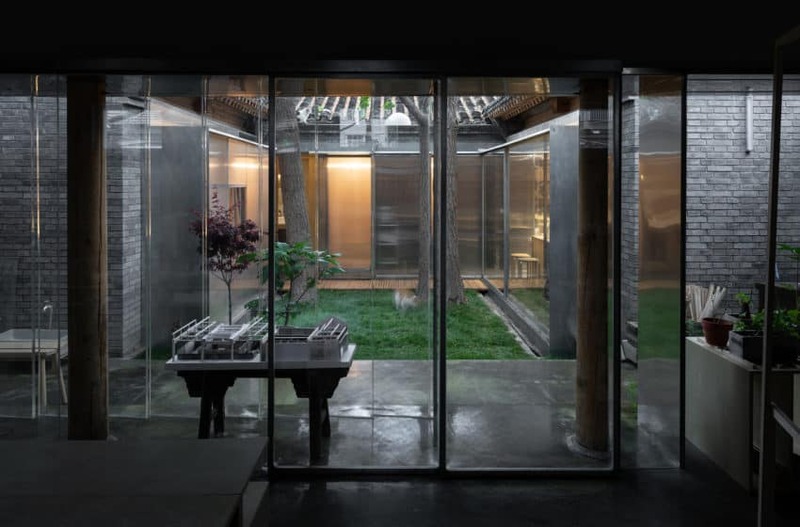 The house is for people with a free spirit because of its atmosphere, its subtlety, and eloquence of having arranged windows strategically, so that they frame us outside and allow us to discover the different picturesque sights that nature herself develops in a single day. 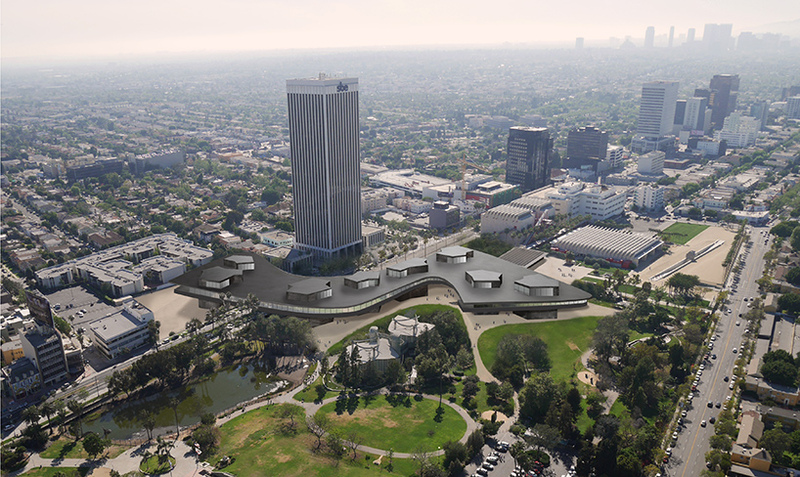 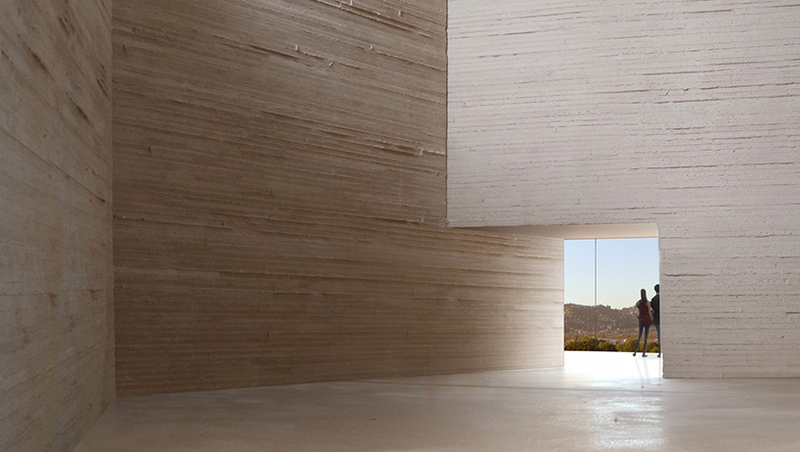 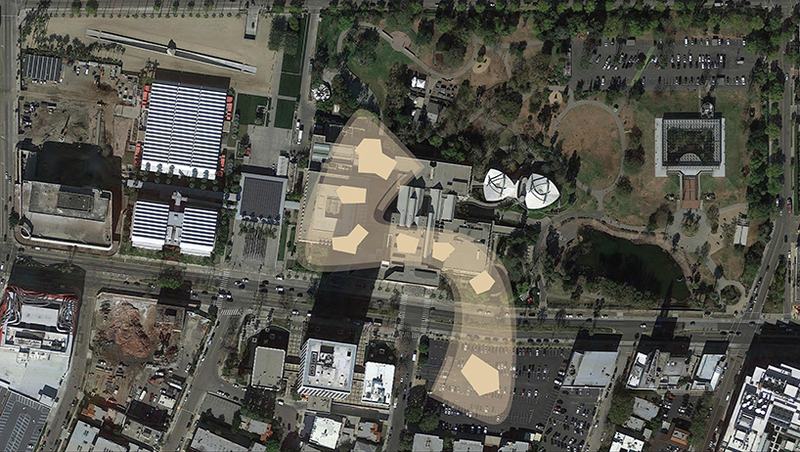 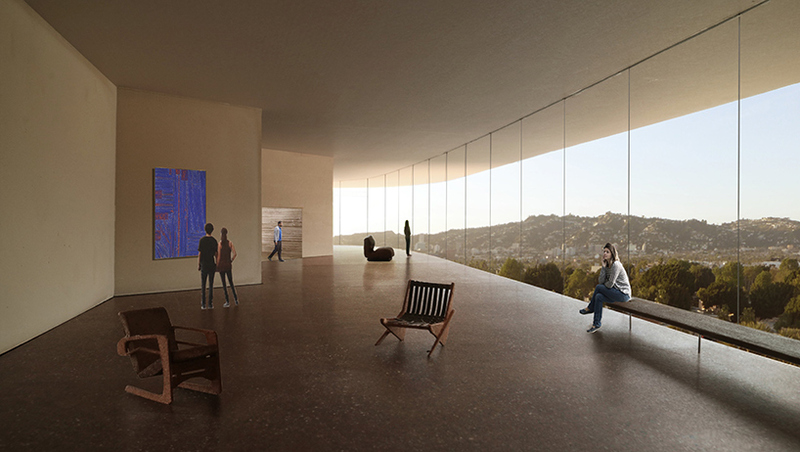 The LACMA (Los Angeles County Museum of Art) will, in the near future, be expanded by the Swiss architect Peter Zumthor. 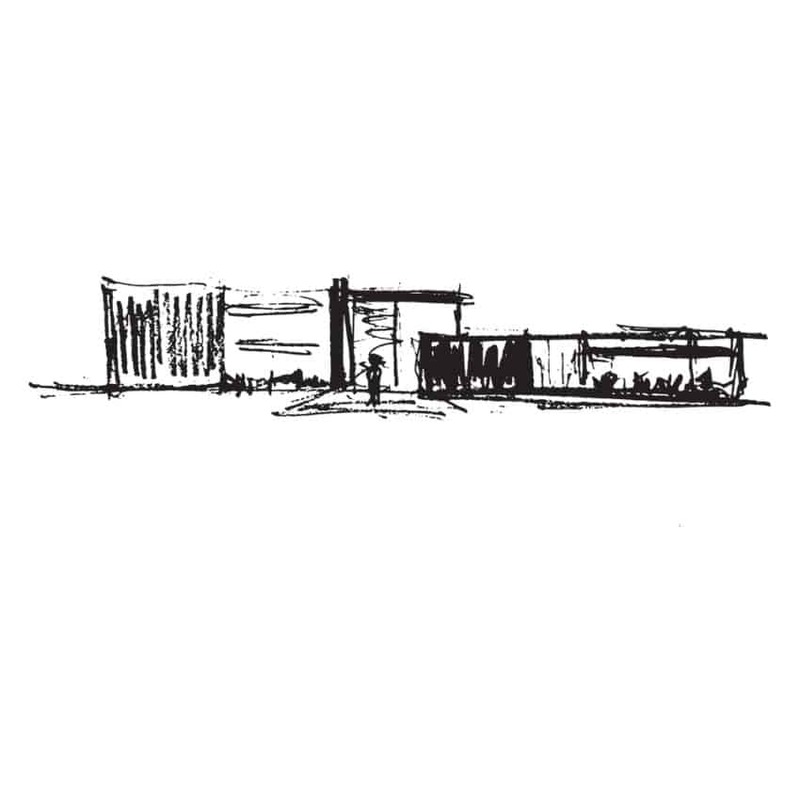 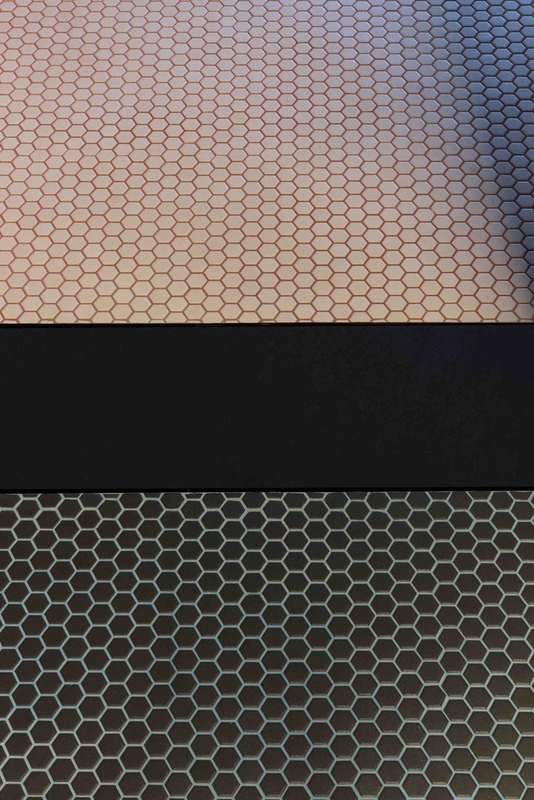 The most striking change, as far as we know, will be its color, which will go from dark to light, giving it a look more in line with the building’s current exterior. 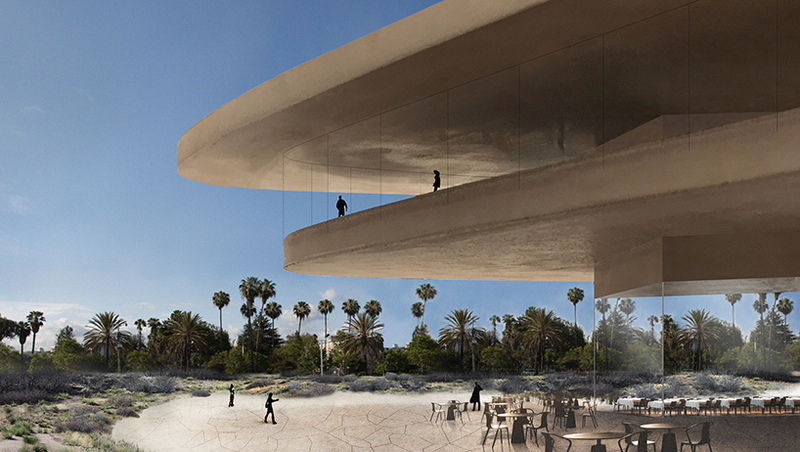 The imposing and modern new structure will offer recreation and resting areas on the outside. 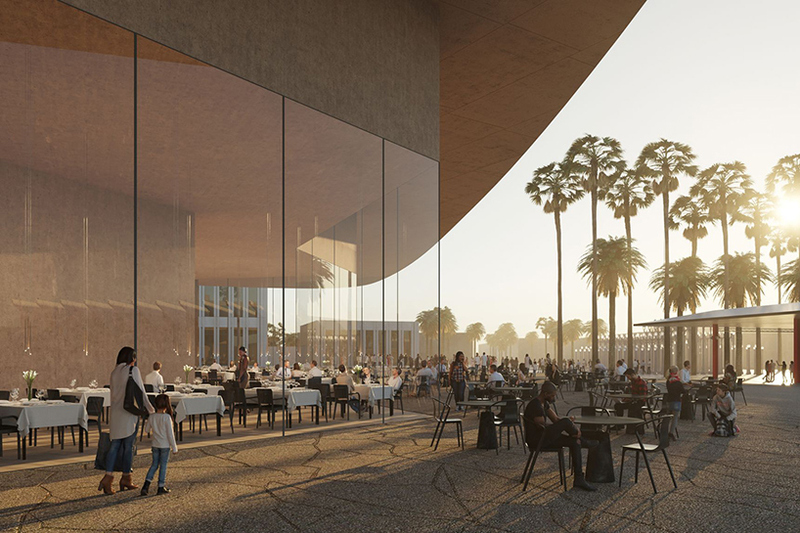 In its terraces, we will be able to enjoy various options in a café-restaurant located on its premises, and from where the diners will be able to enjoy the wonderful views and the good weather so characteristic of Los Angeles. 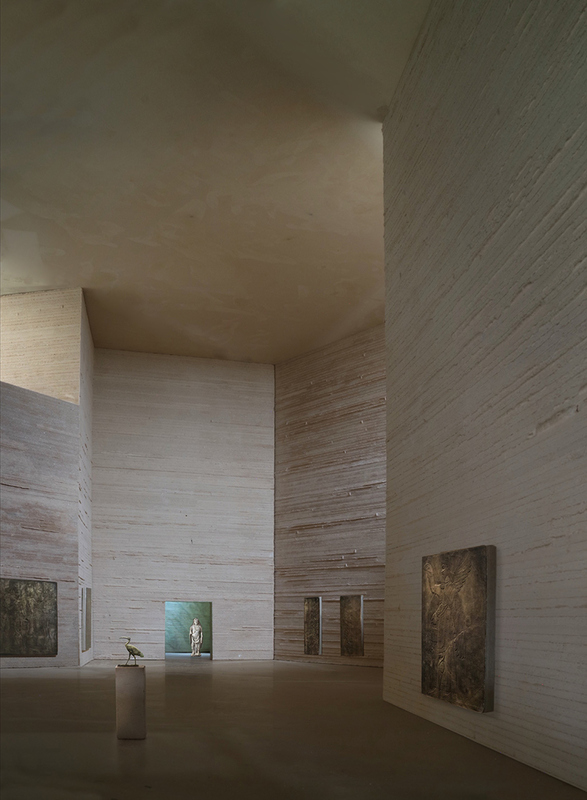 In its monumental interior, the very high ceilings and textured walls will give it a totally solemn and refined aspect that will be even, to a certain degree, intimidating due to the immense space within. 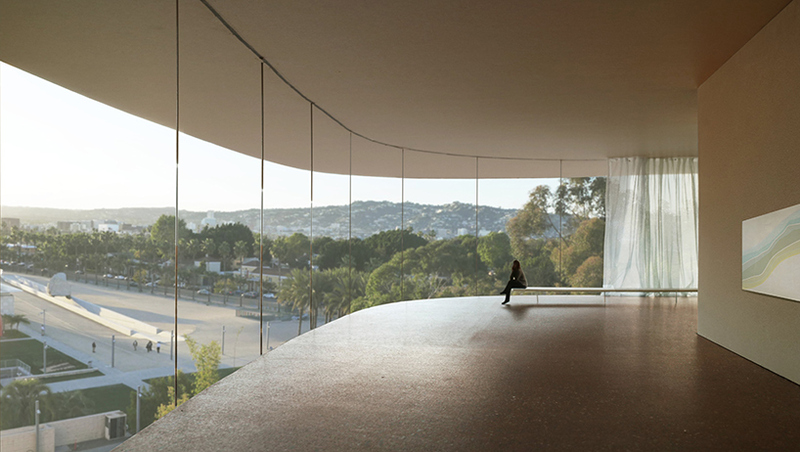 From there, through its numerous curved glass walls, we will be able to sit placidly to observe and enjoy the views to the outside. 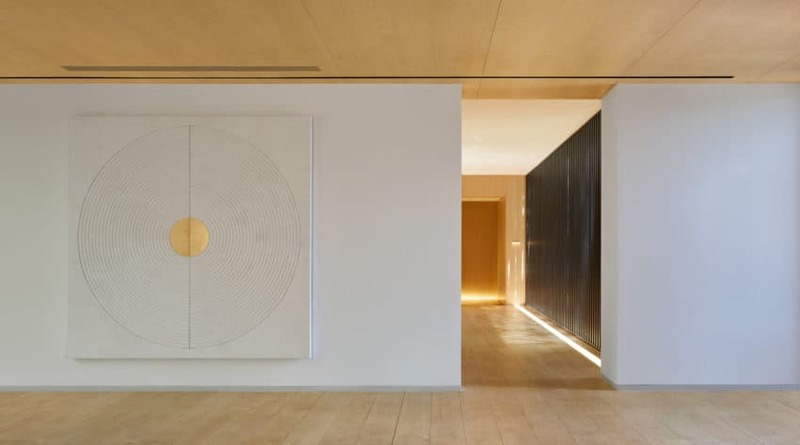 The openings that will lead from one room to another look tiny compared to the height of their walls, and even the paintings placed there will immediately highlight this striking aspect of the new construction. 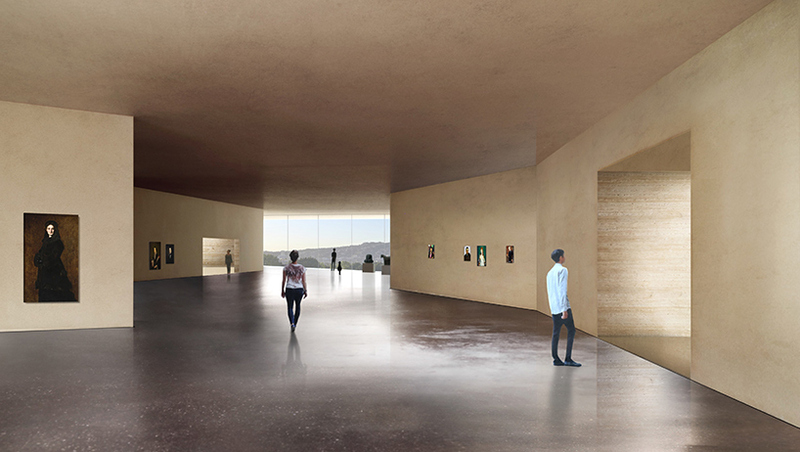 It will definitely be a place worthy of being visited and admired. 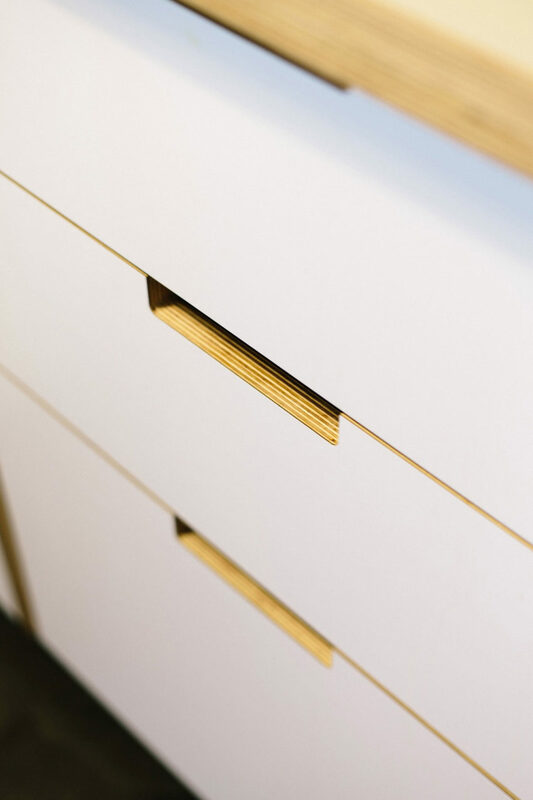 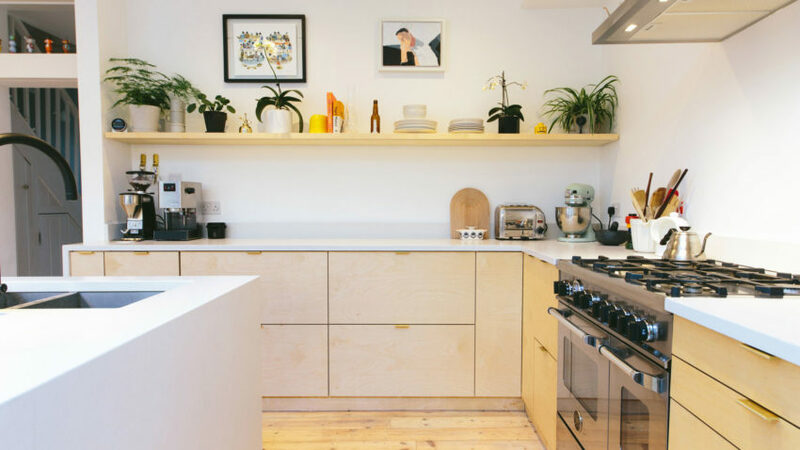 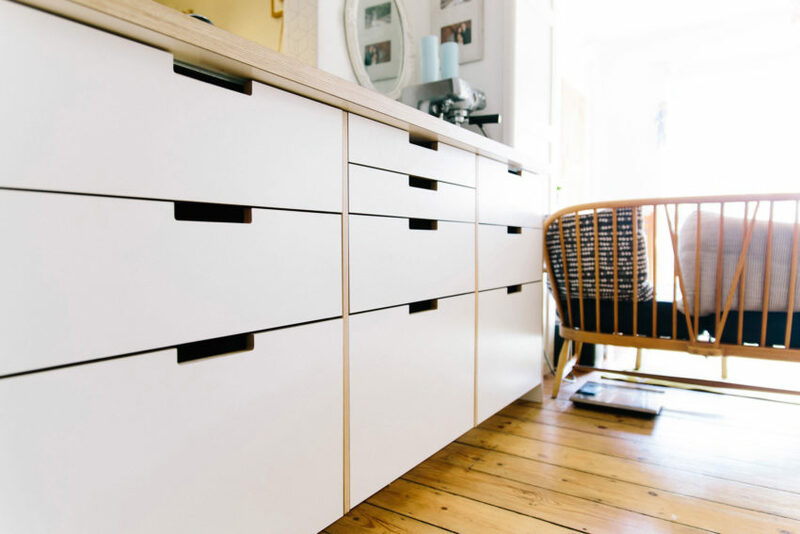 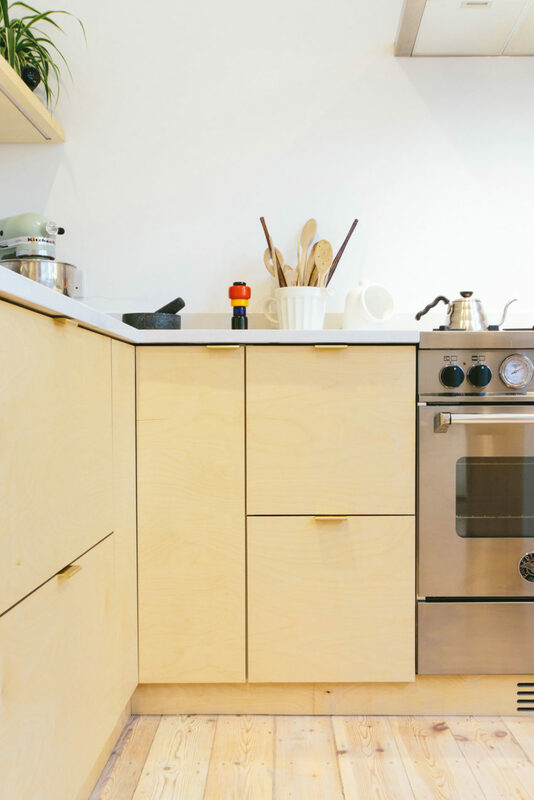 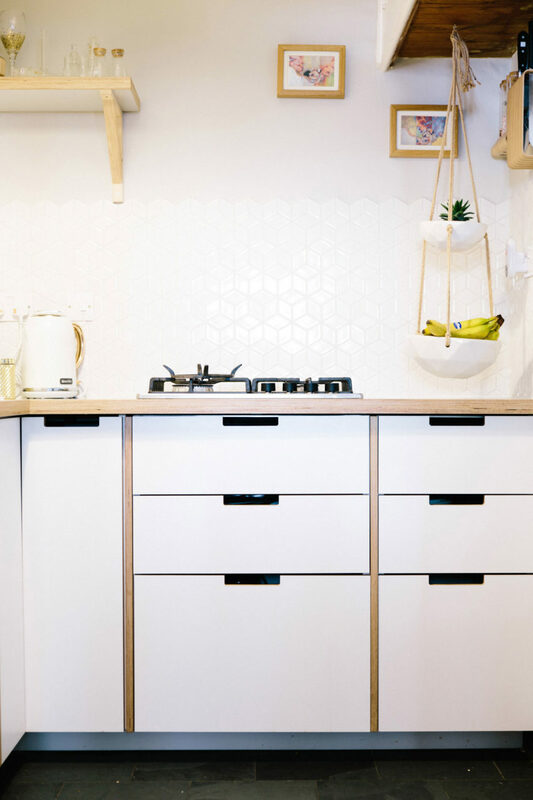 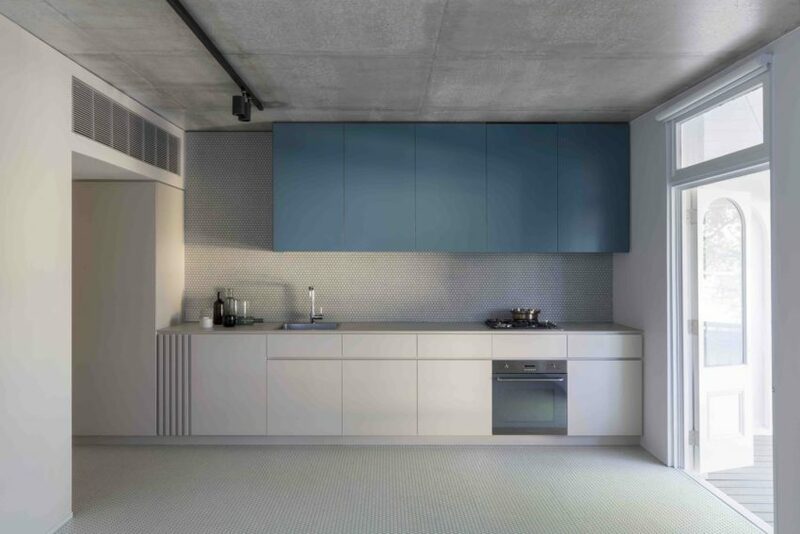 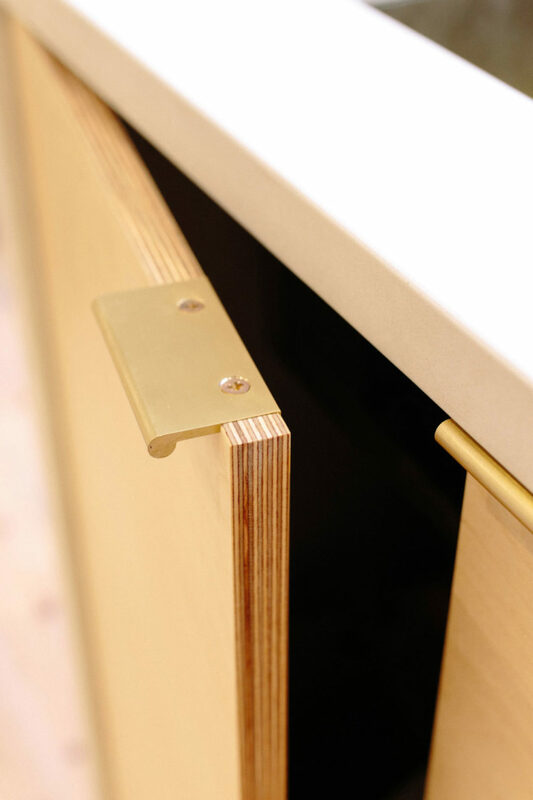 Plykea is an English startup based in Walthamstow in East London, that have launched a line of birch plywood doors, drawer fronts, cover panels, and worktops that can be easily attached to IKEA’s Metod kitchen cabinets.